Congratulations to Shannon and Tyler who just got married! 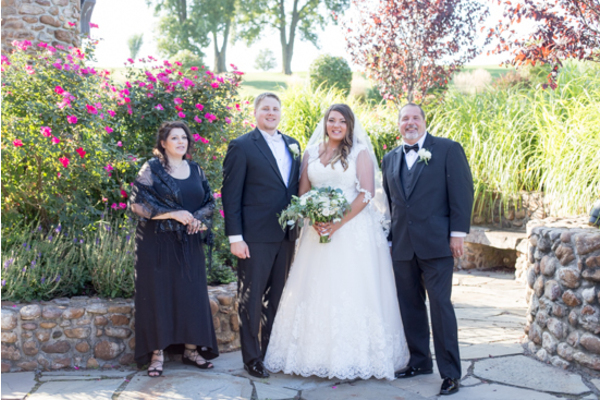 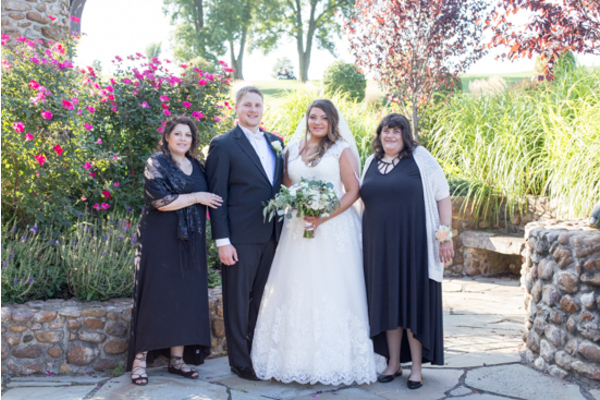 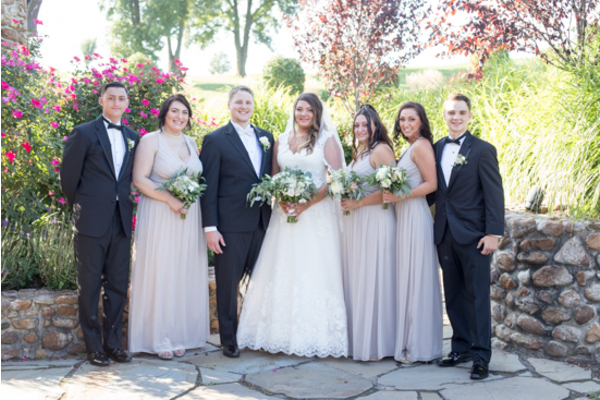 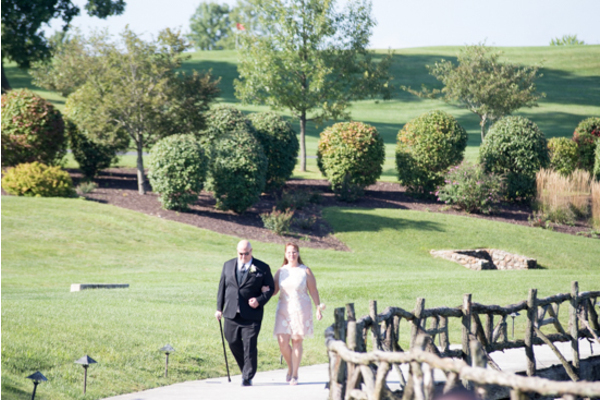 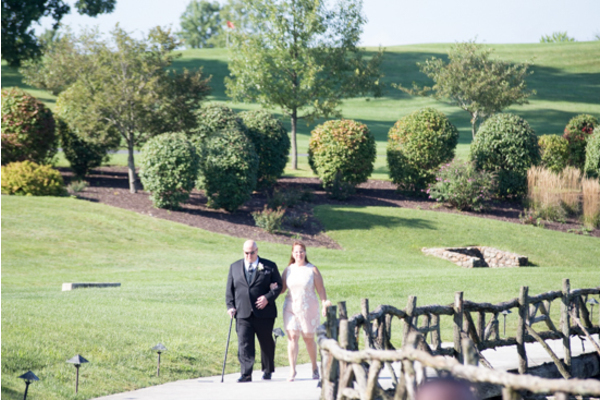 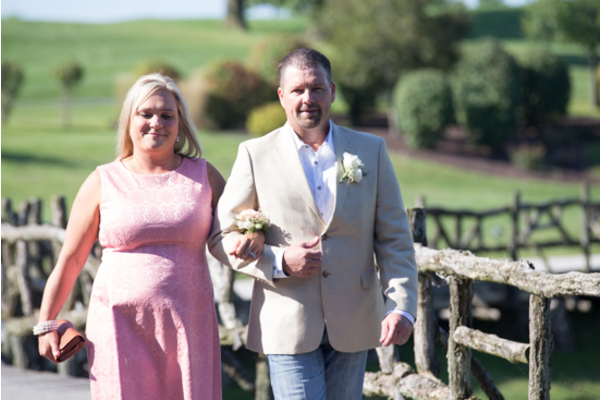 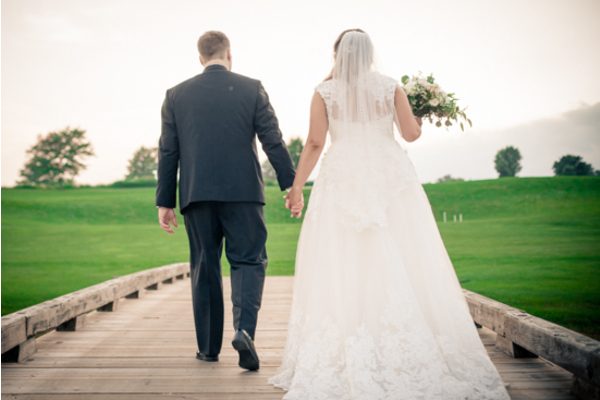 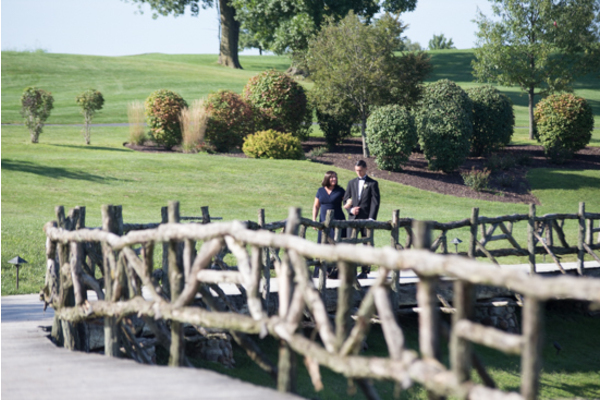 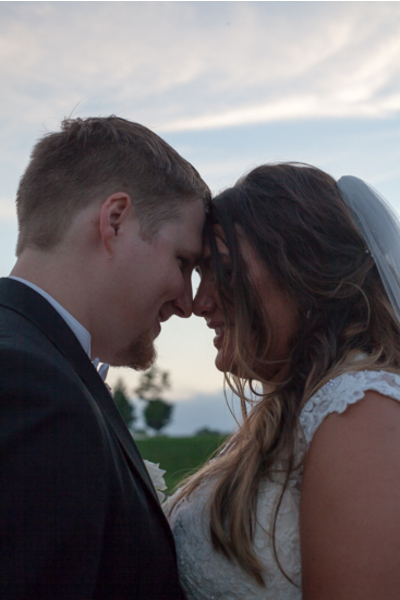 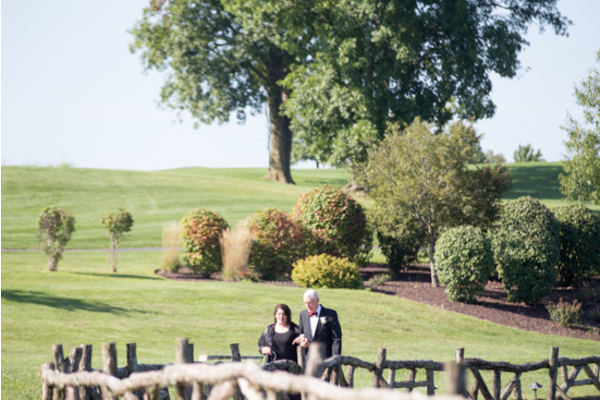 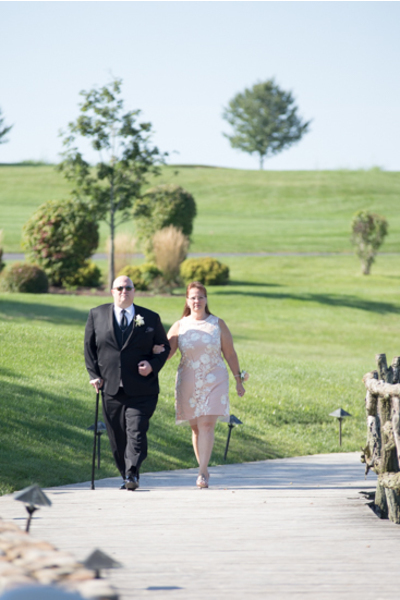 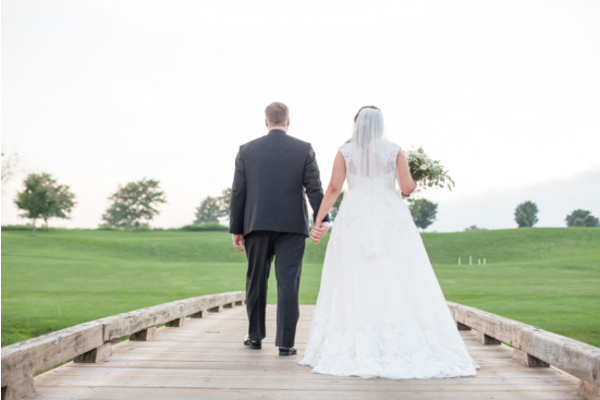 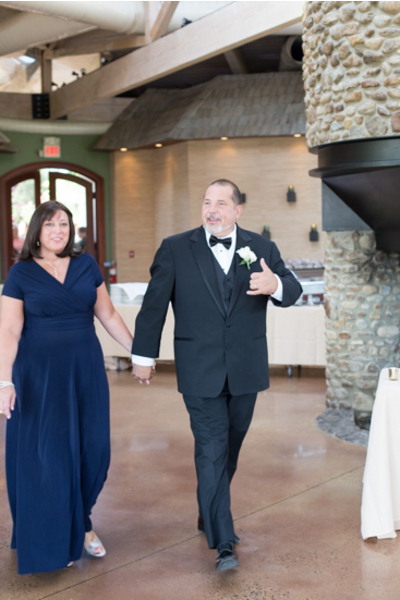 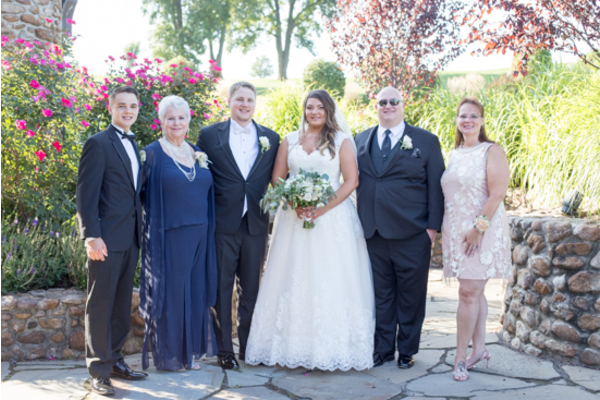 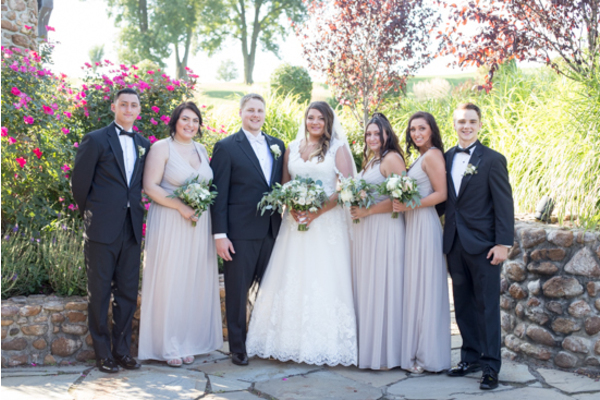 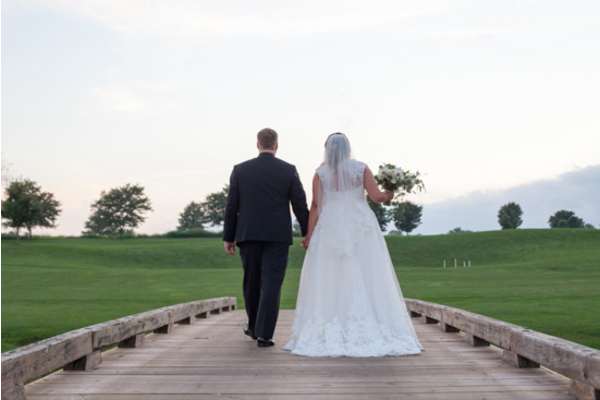 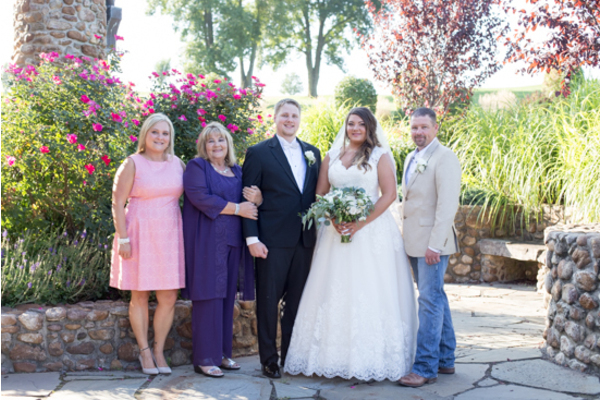 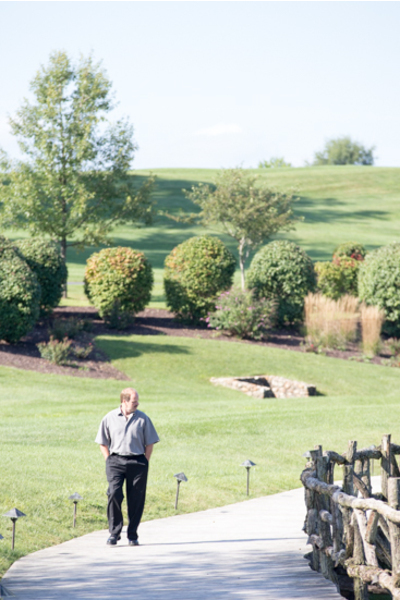 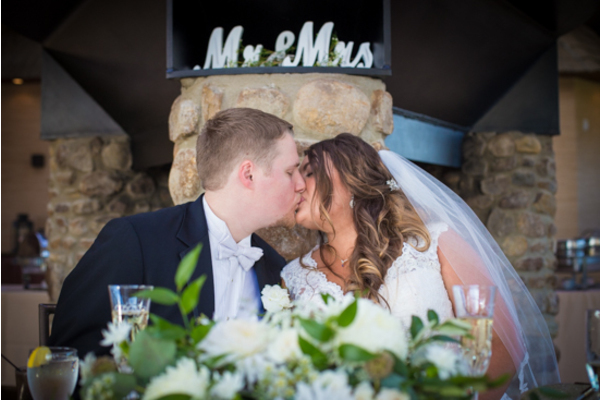 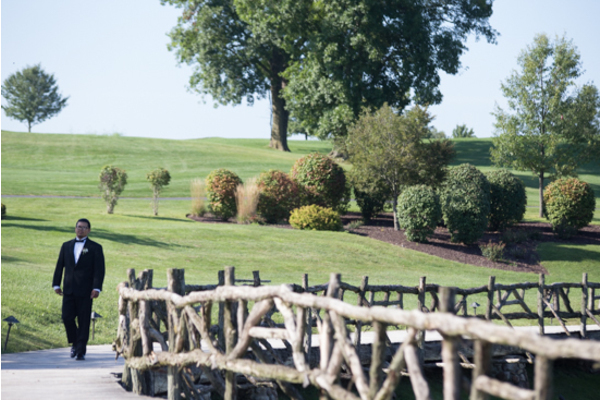 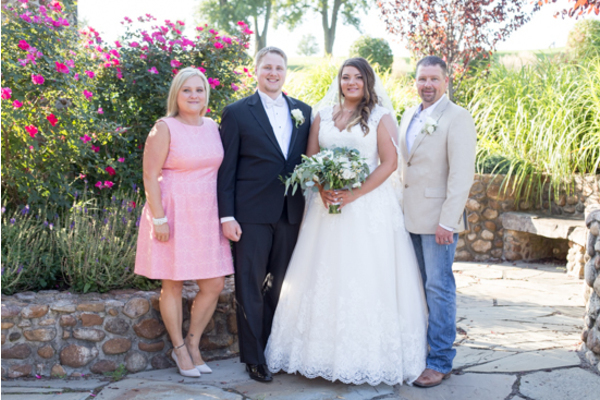 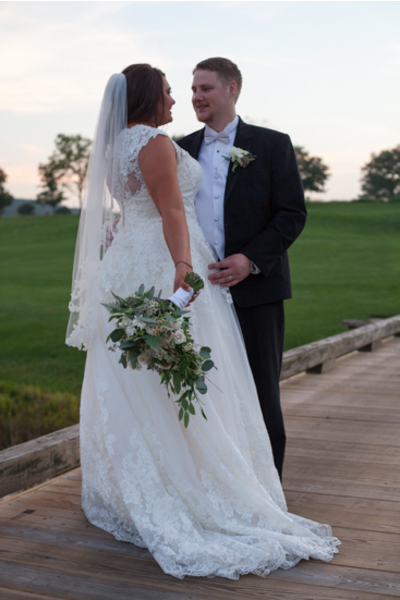 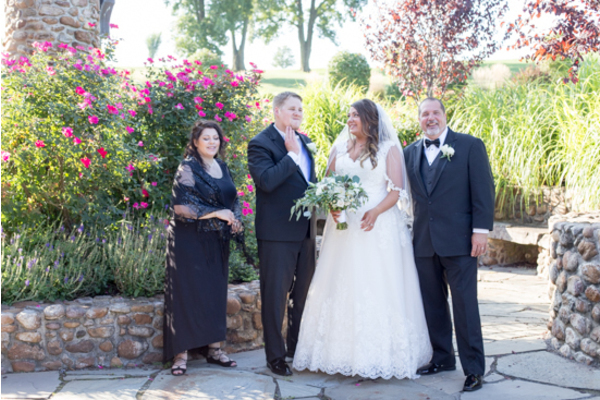 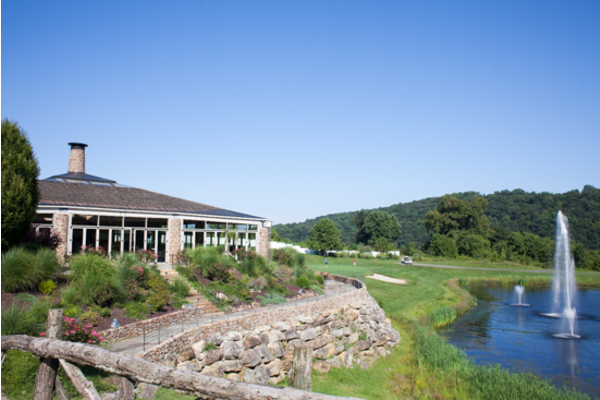 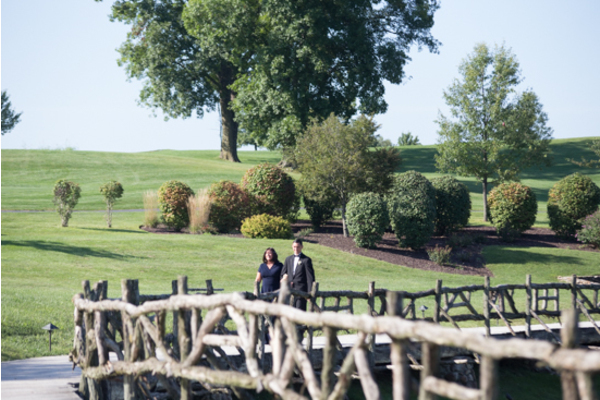 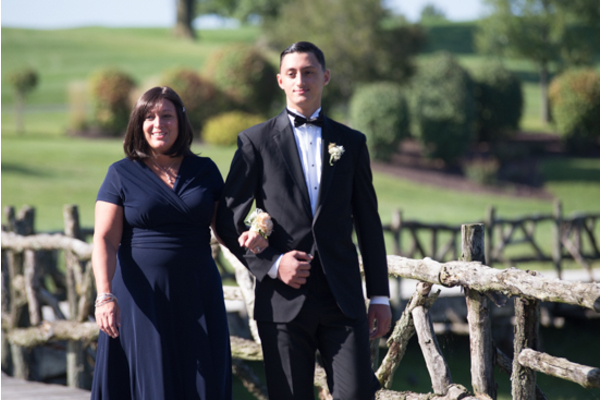 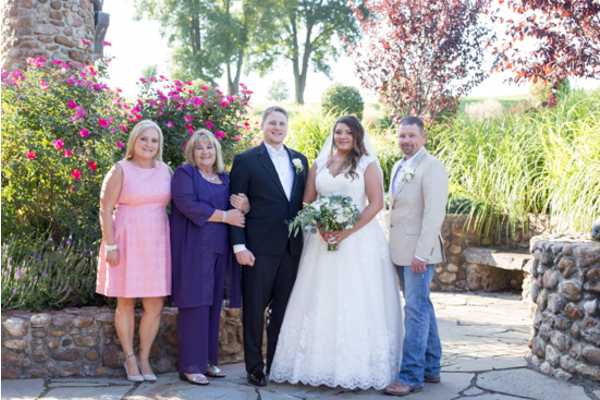 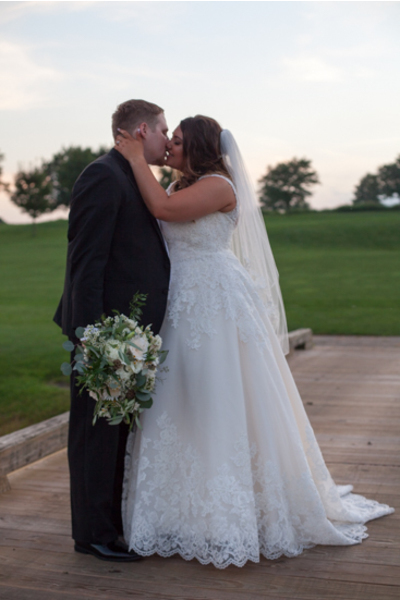 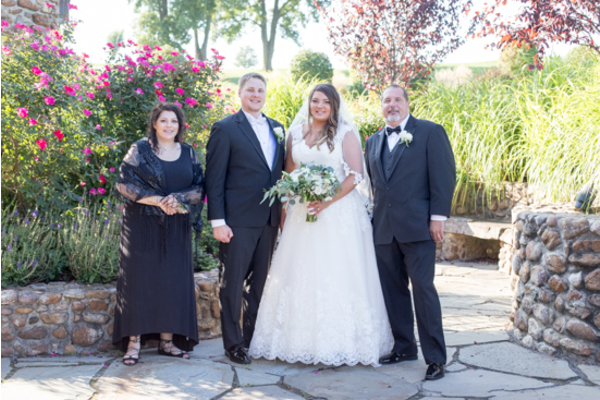 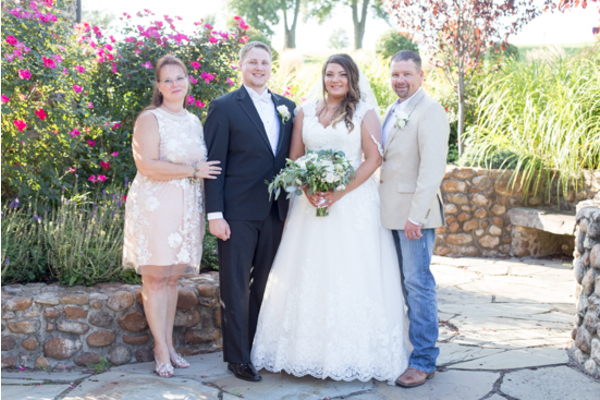 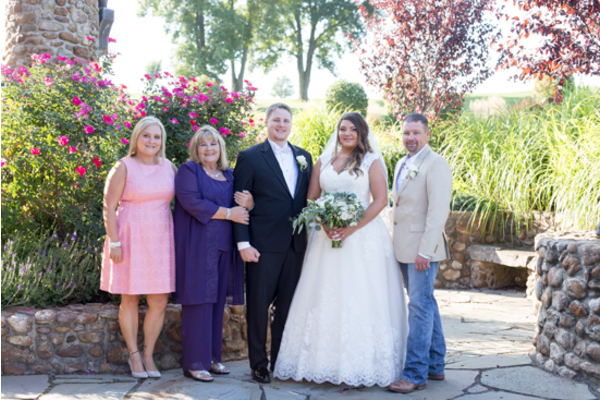 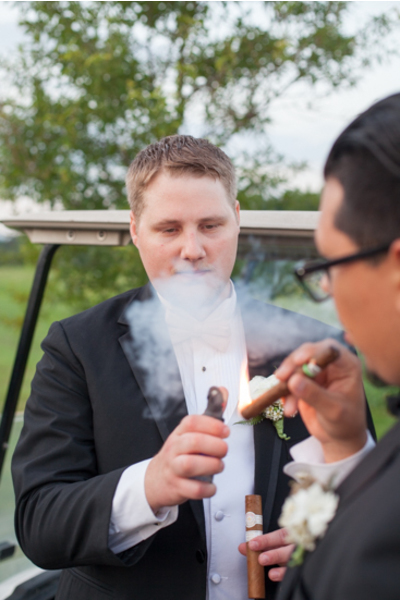 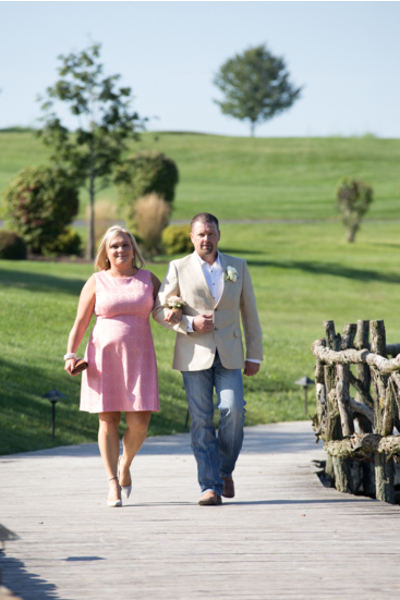 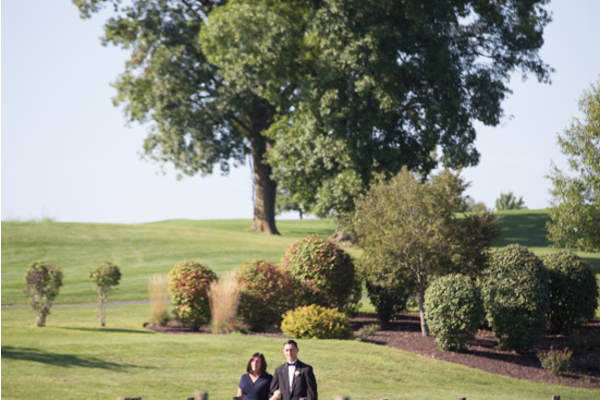 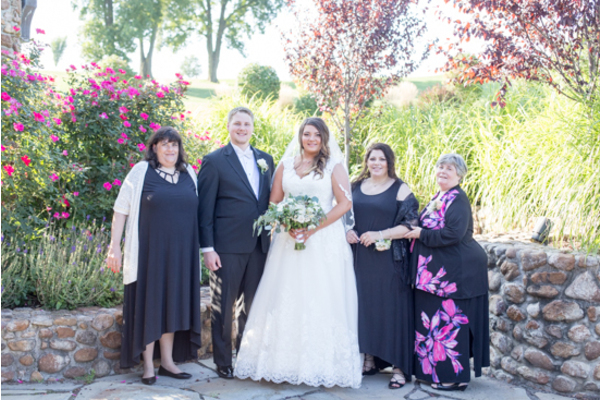 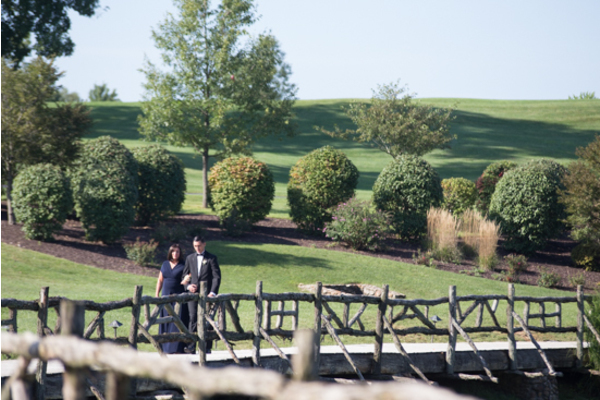 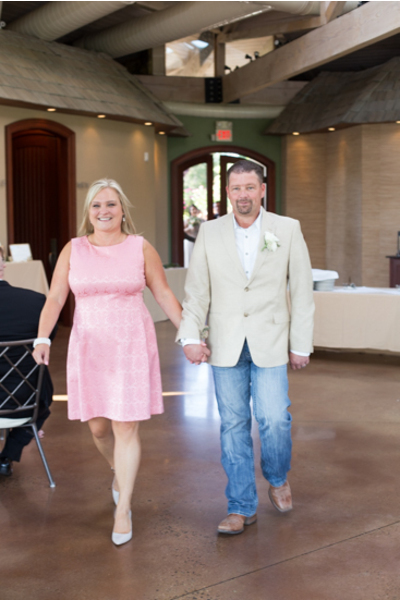 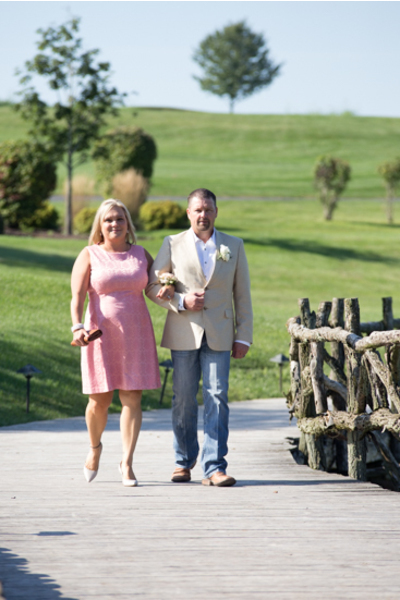 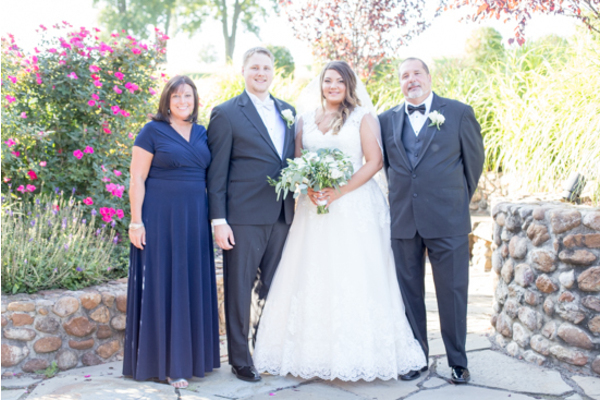 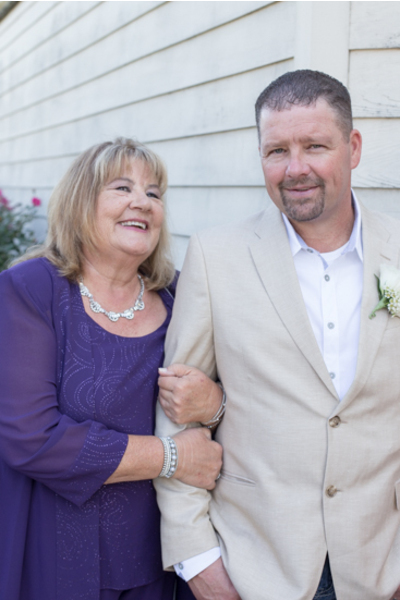 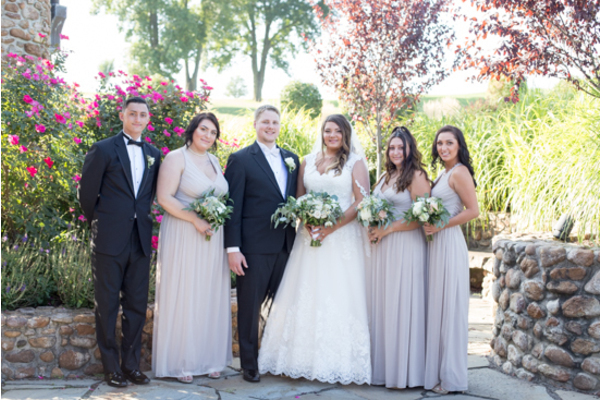 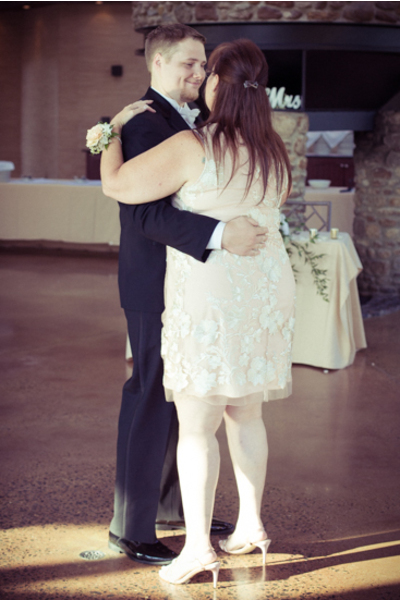 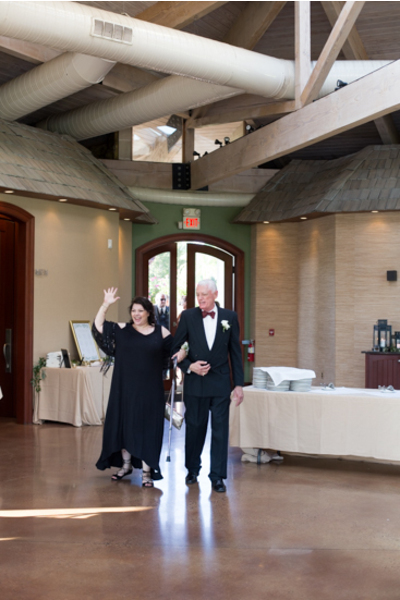 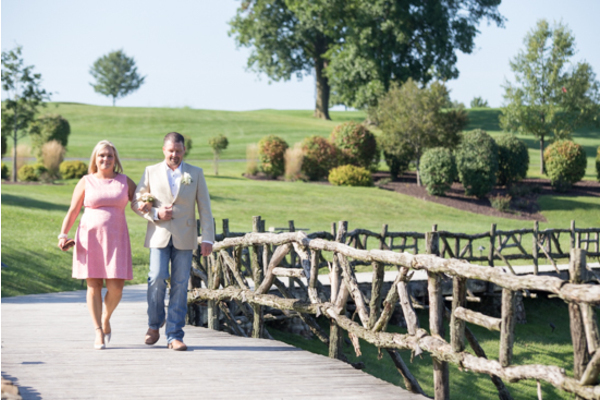 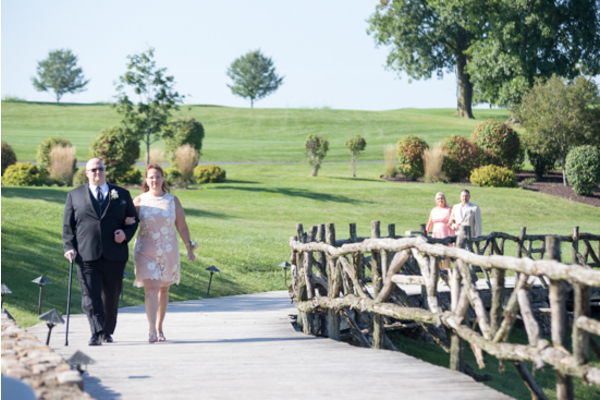 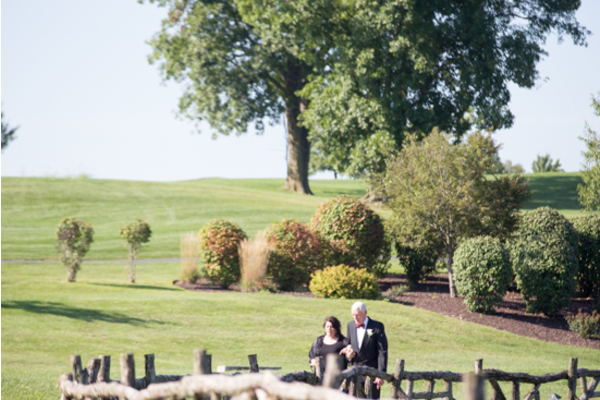 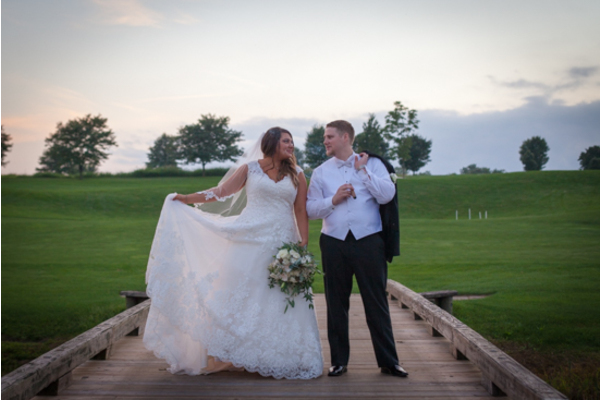 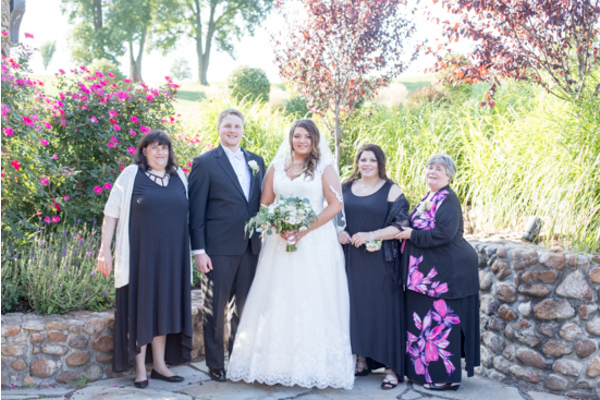 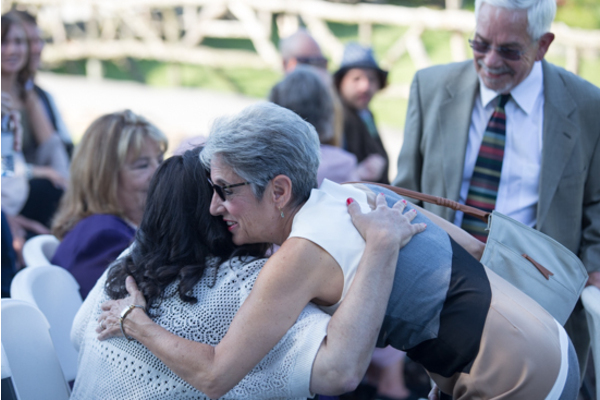 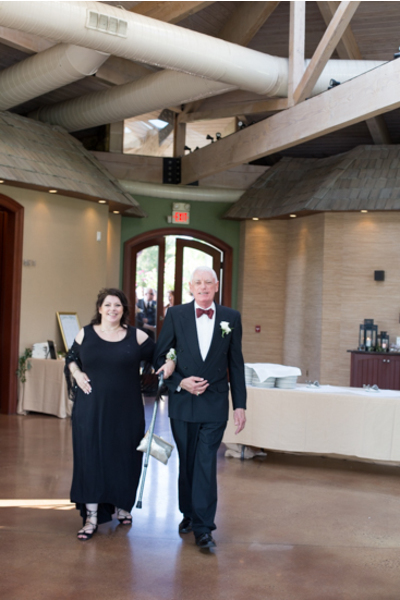 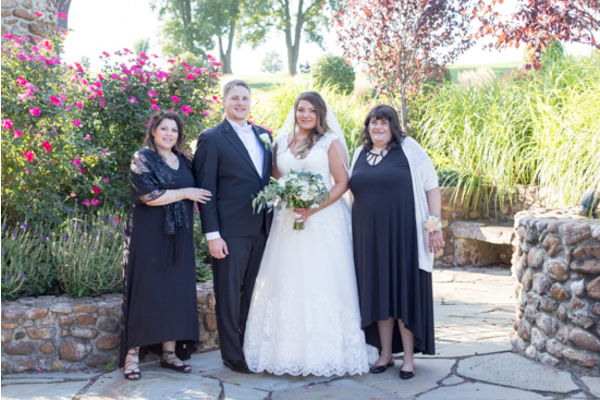 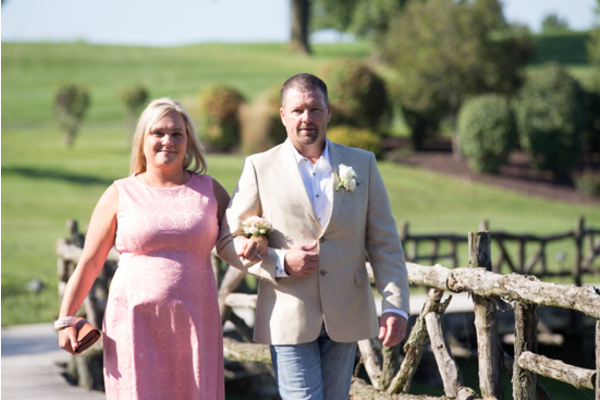 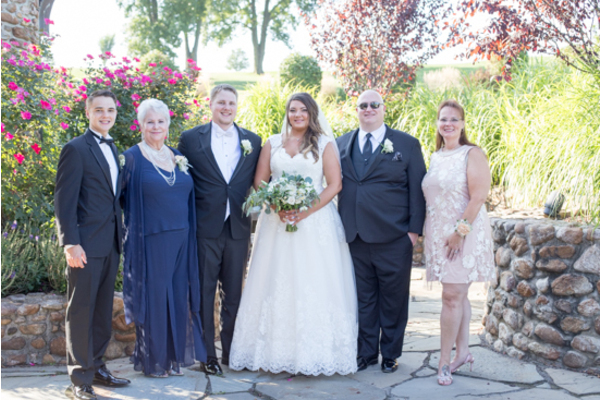 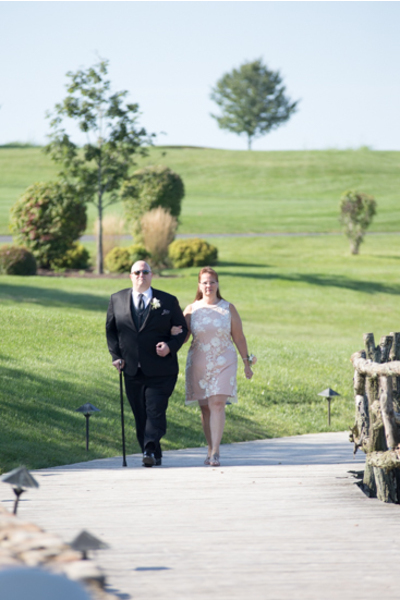 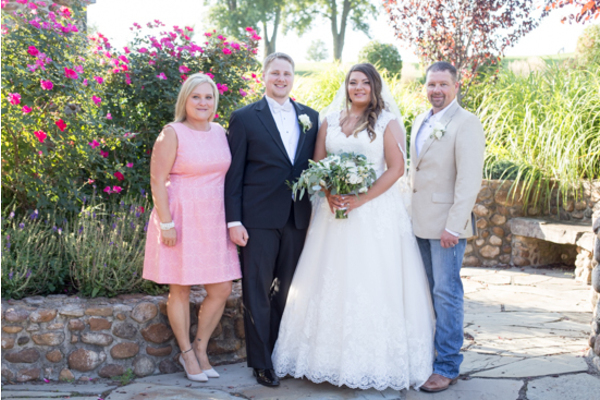 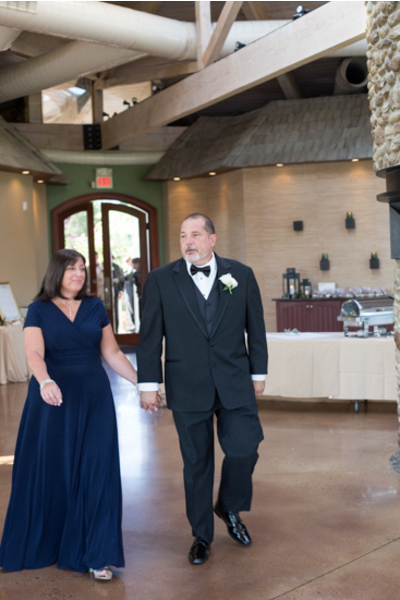 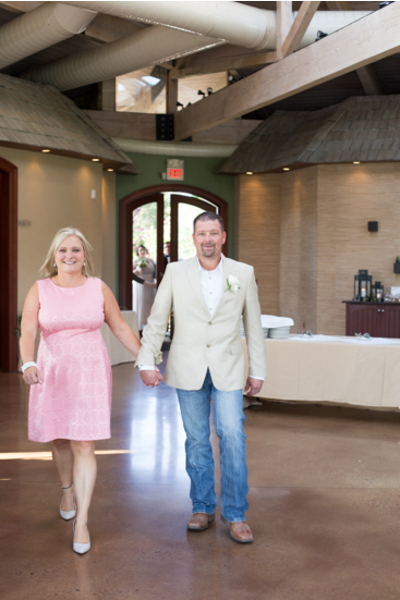 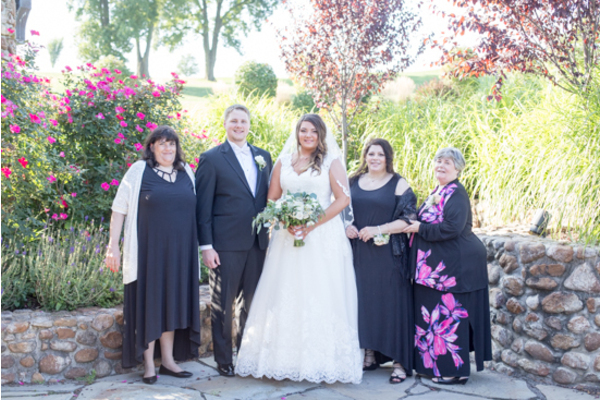 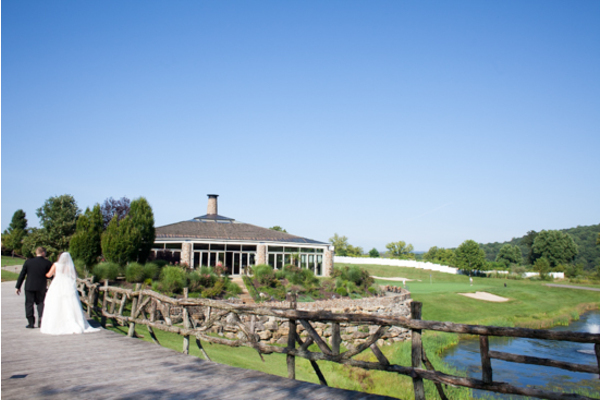 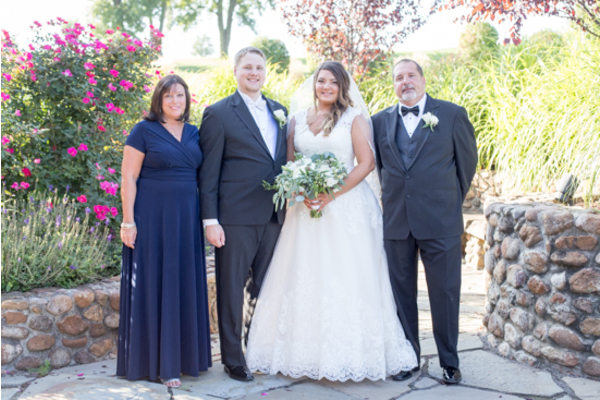 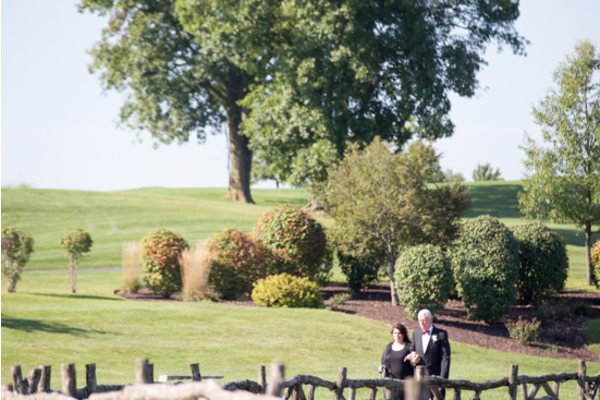 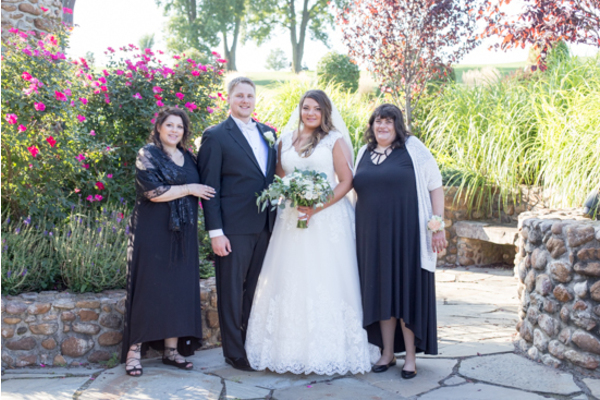 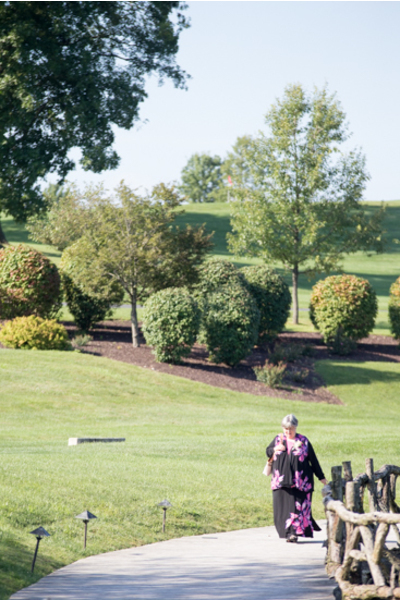 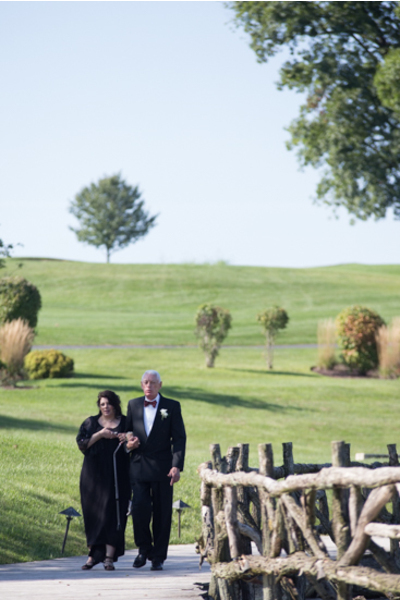 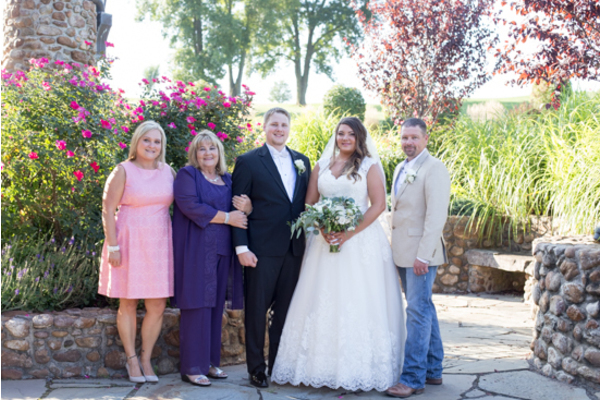 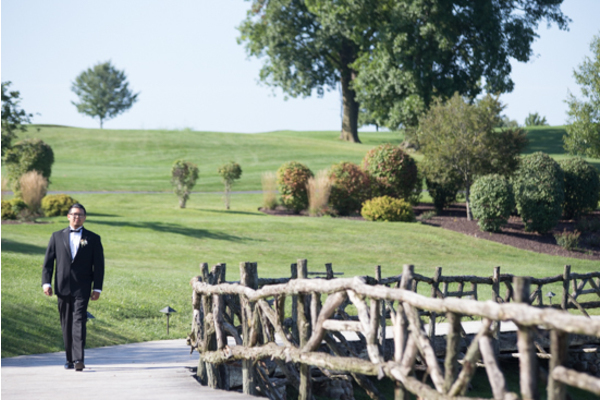 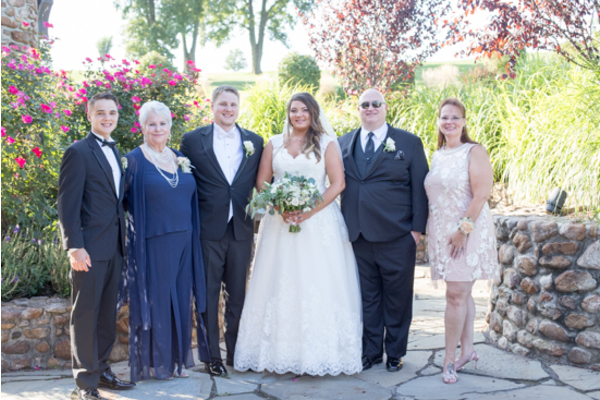 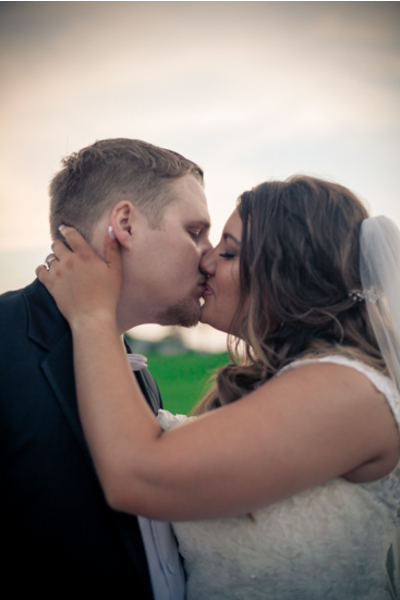 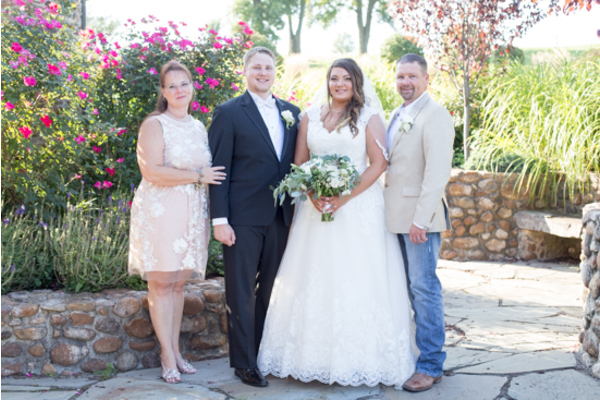 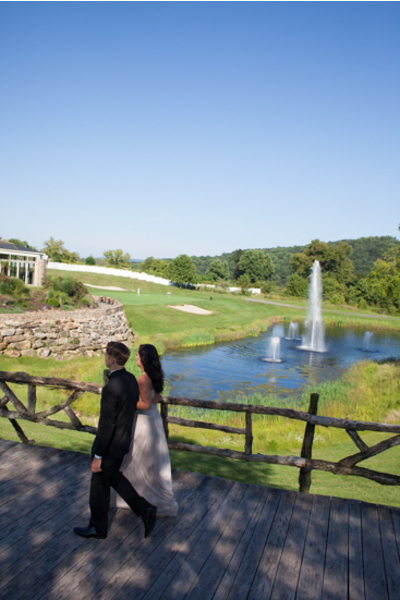 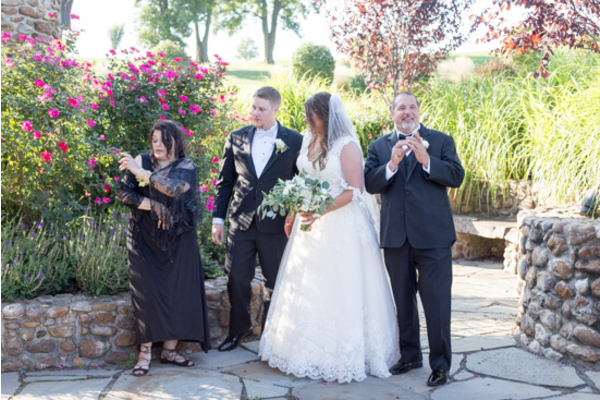 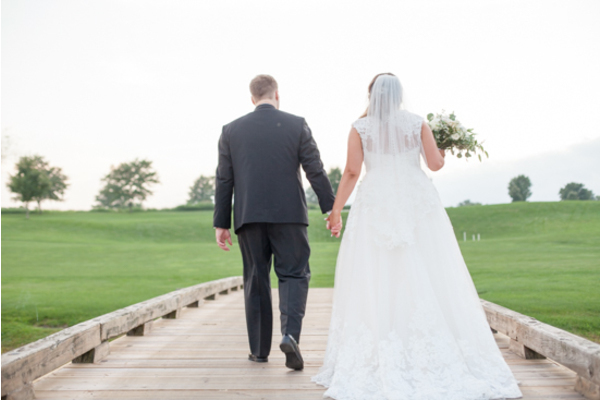 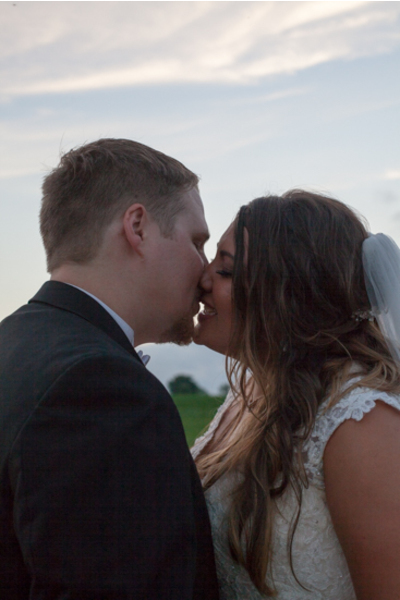 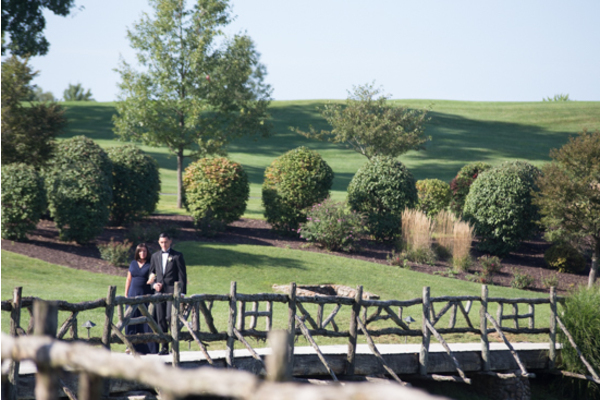 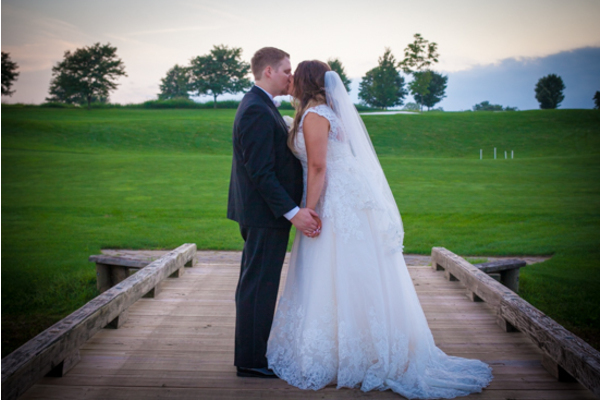 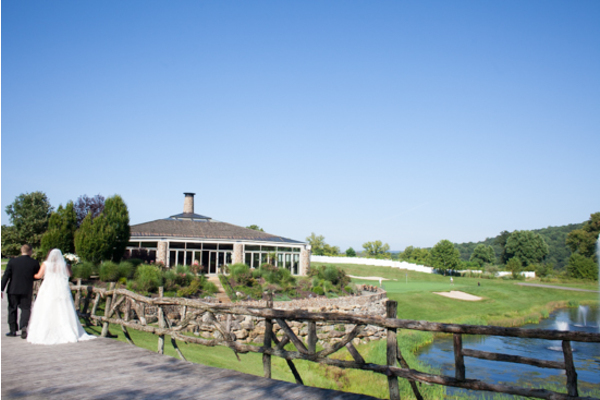 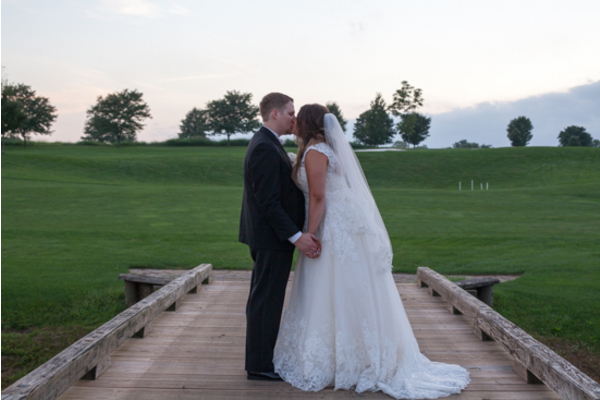 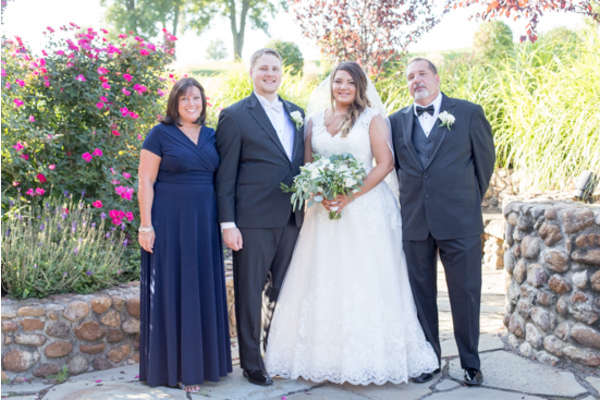 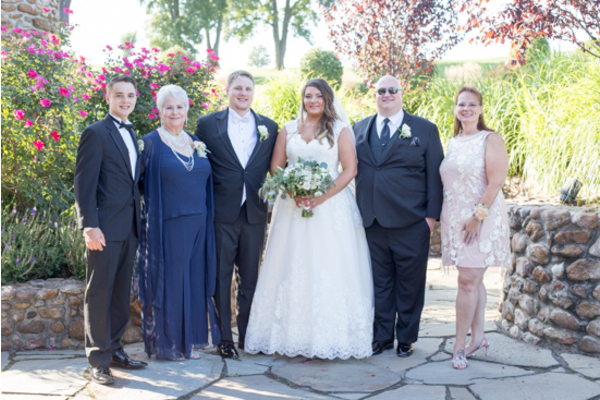 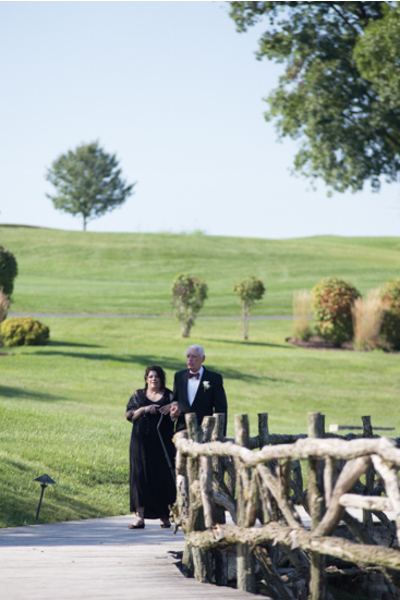 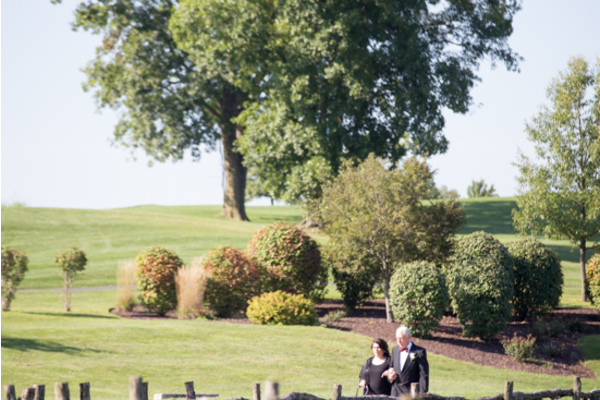 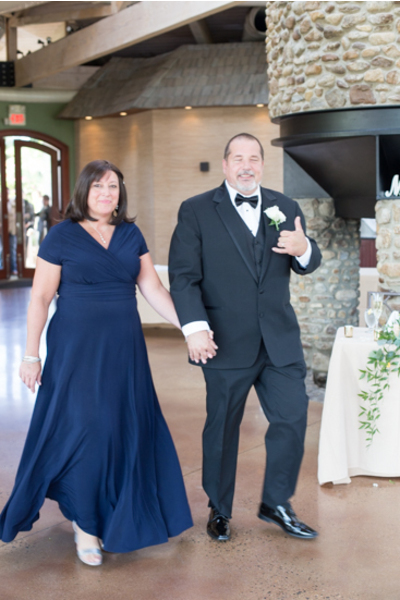 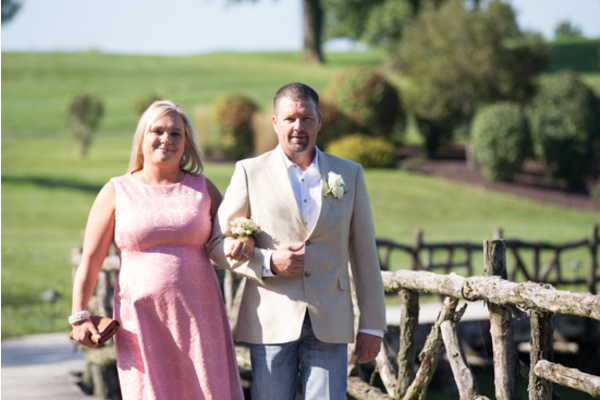 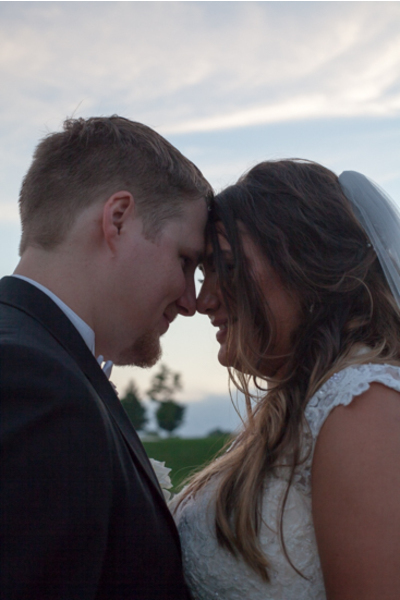 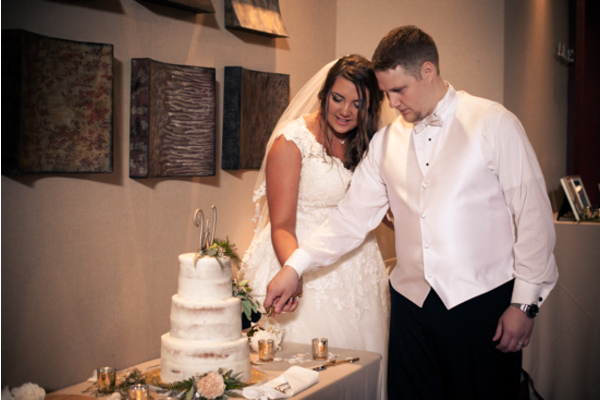 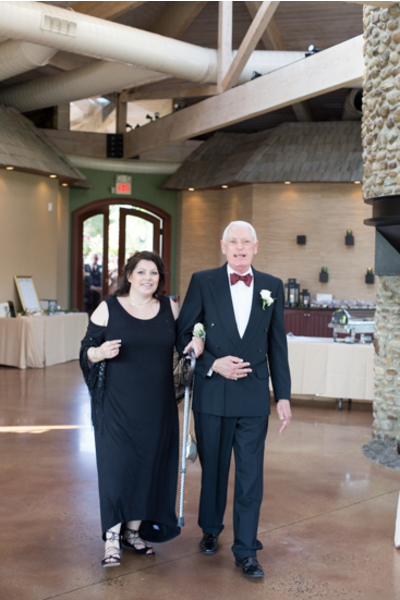 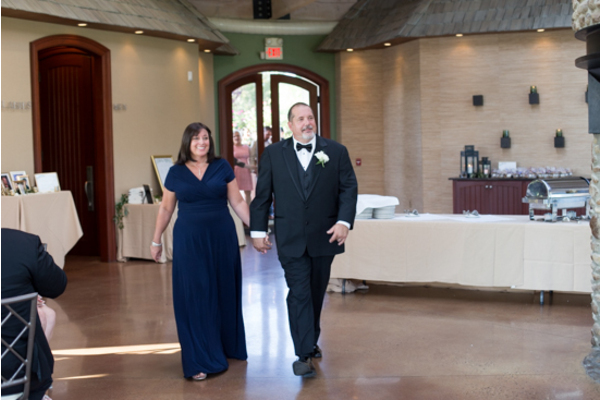 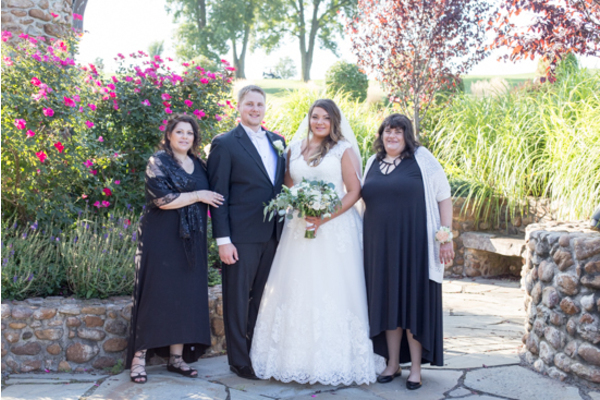 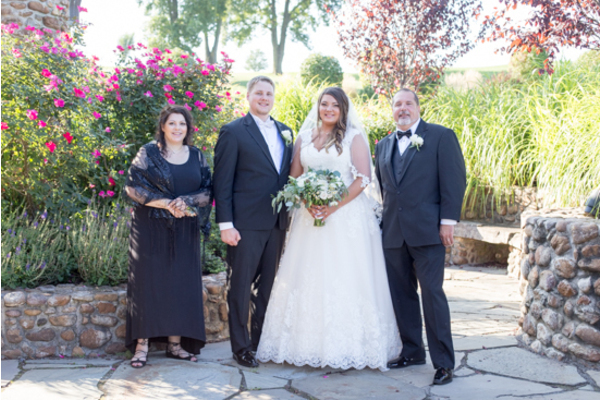 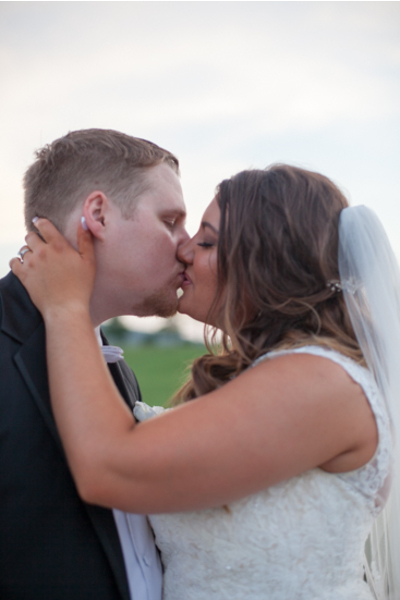 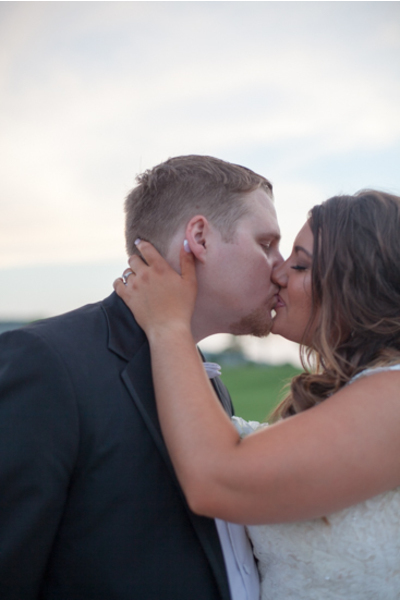 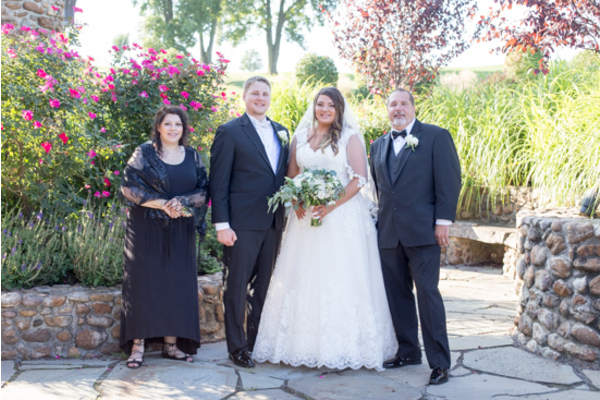 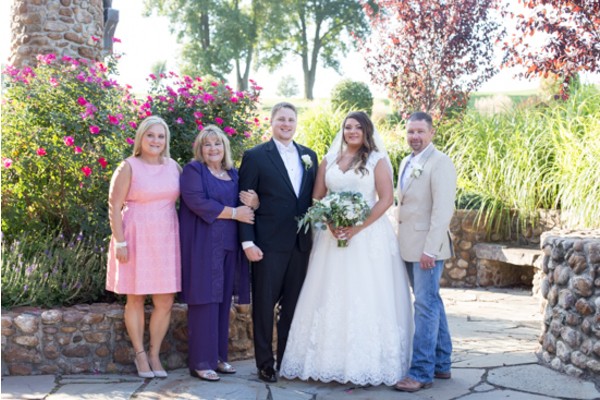 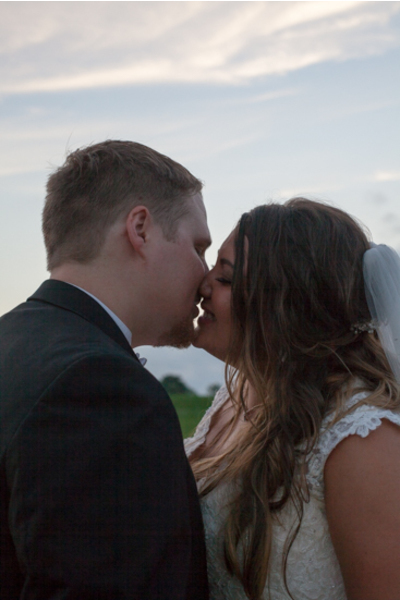 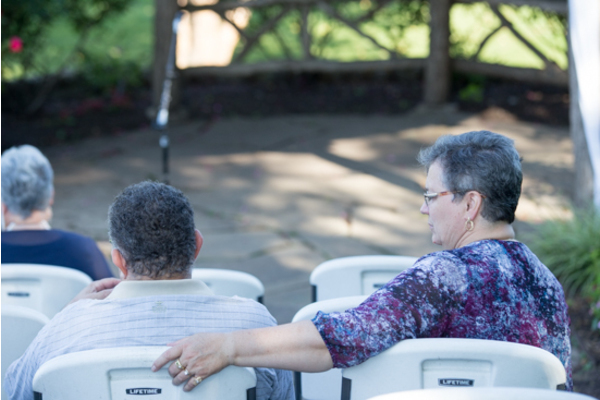 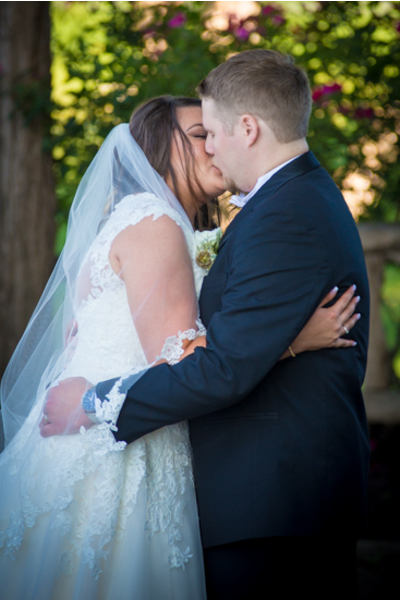 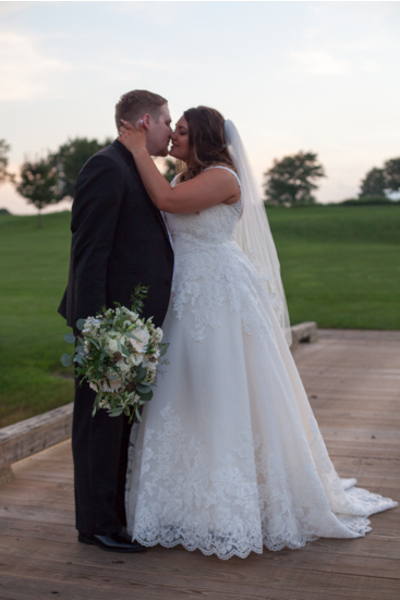 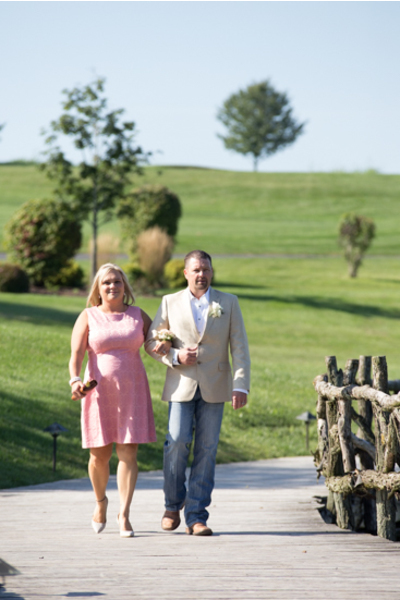 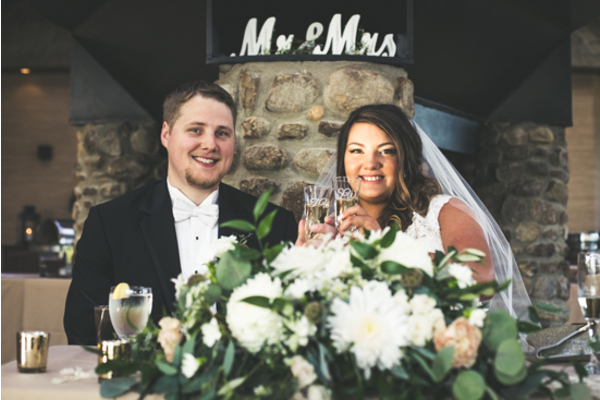 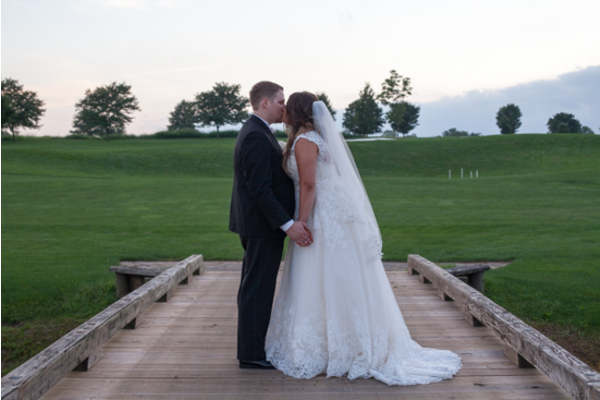 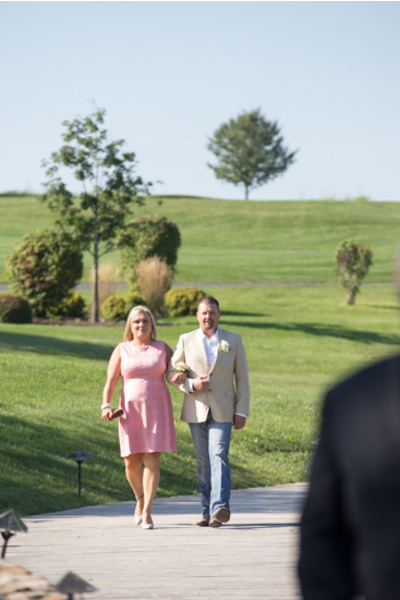 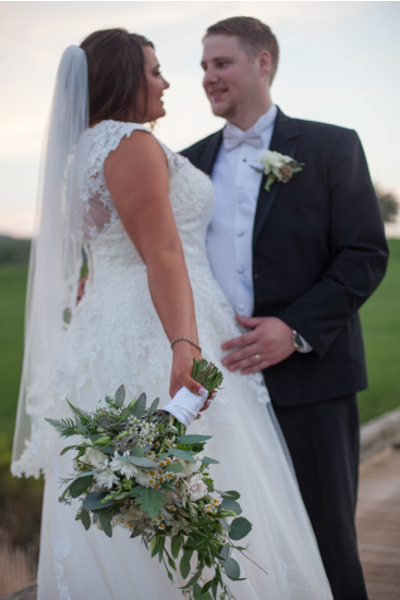 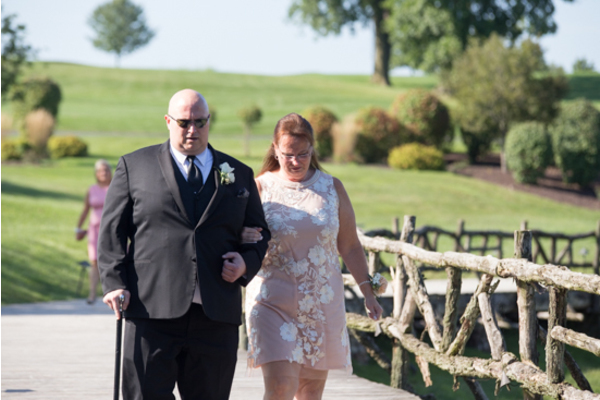 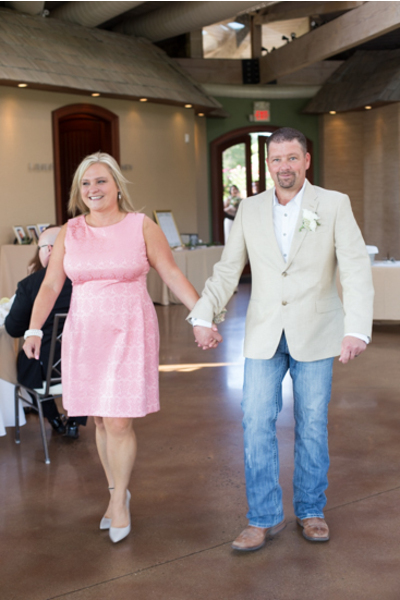 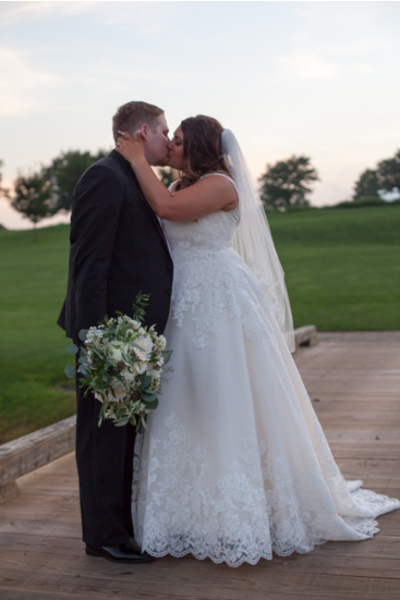 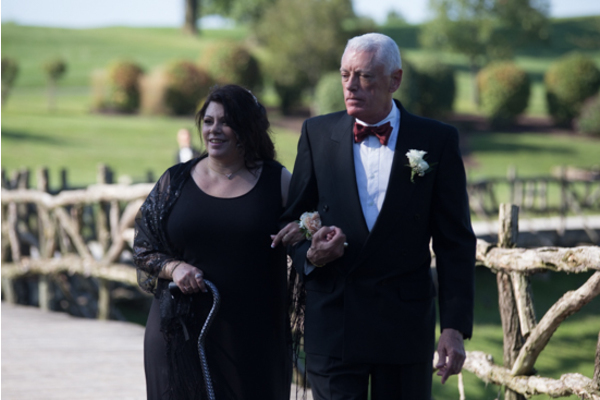 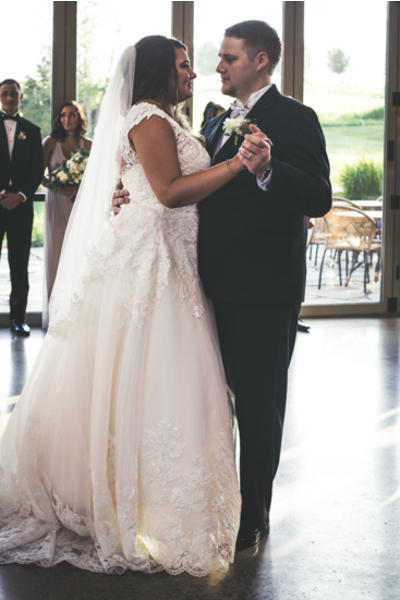 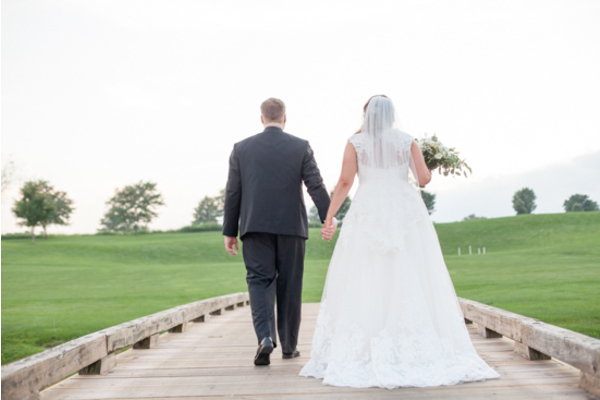 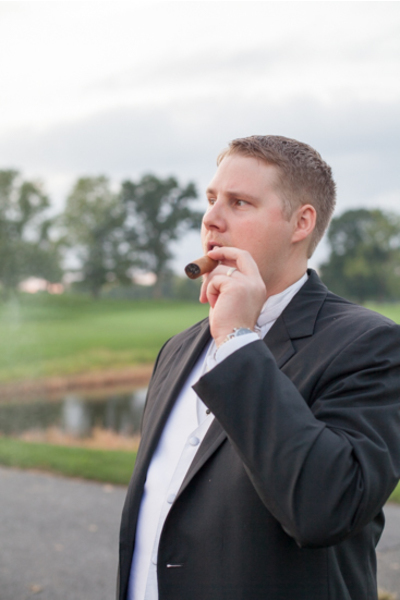 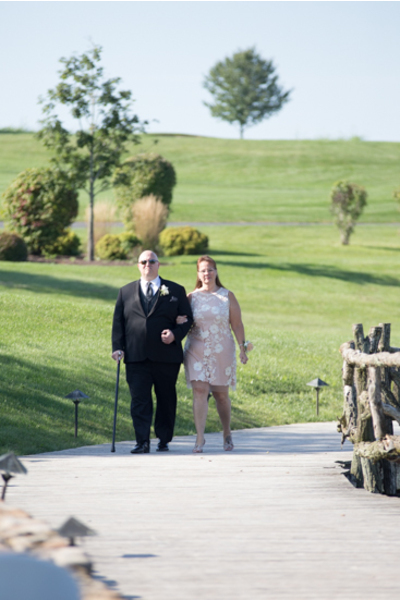 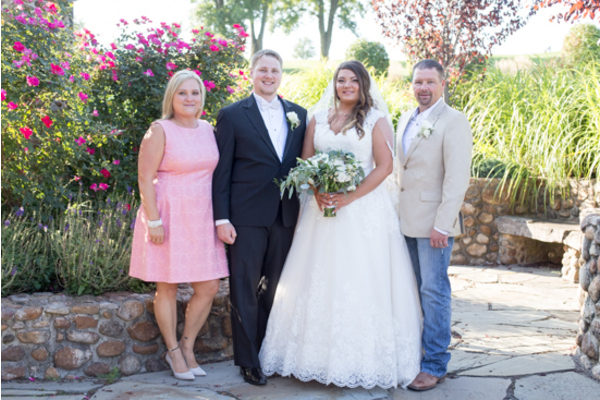 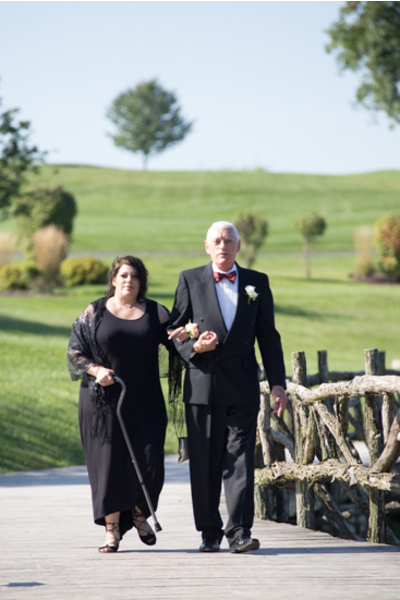 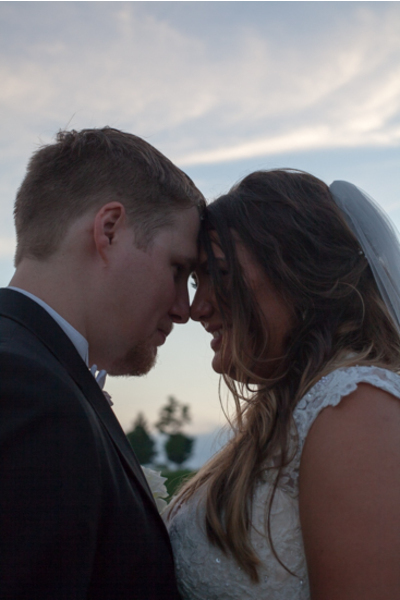 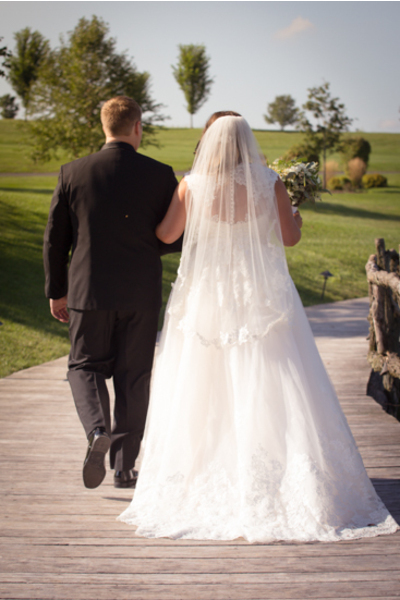 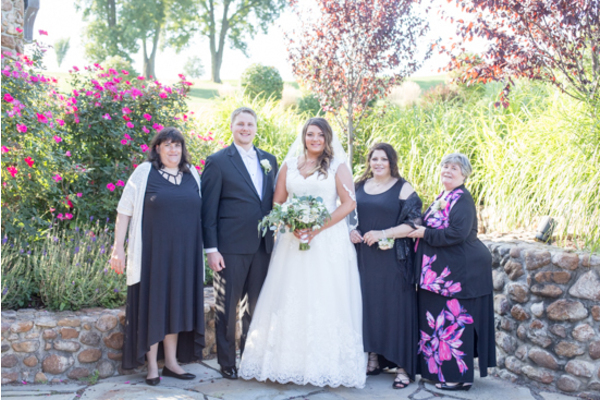 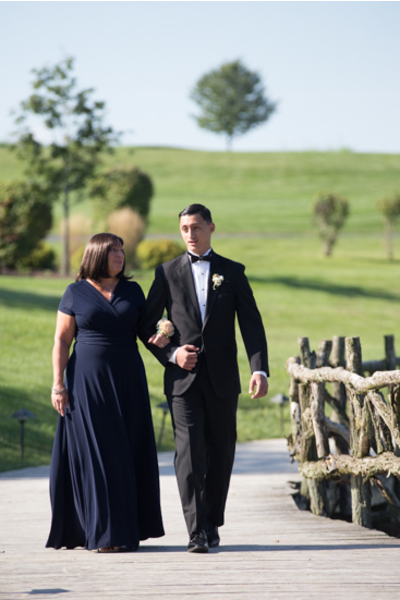 These two tied the knot this September at Riverview Country Club in Easton, Pennsylvania! 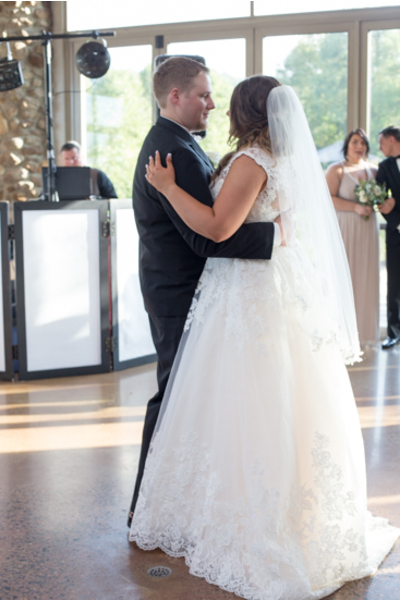 It couldn’t have been a better day! 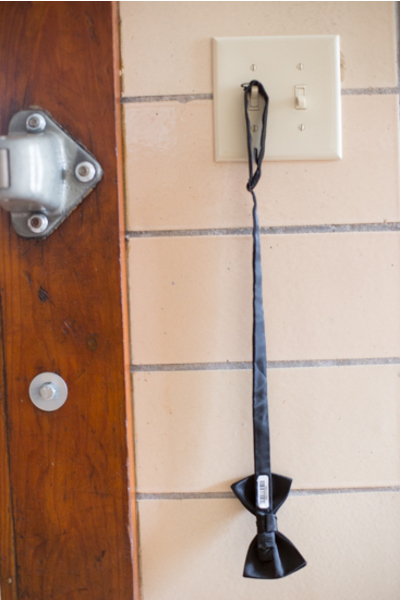 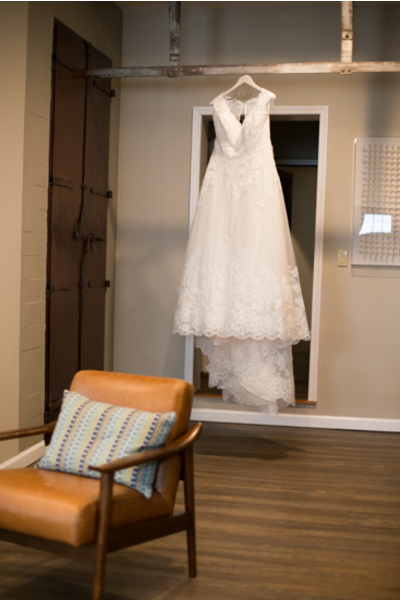 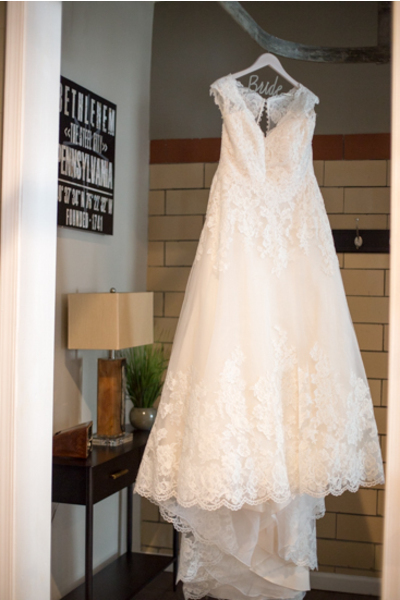 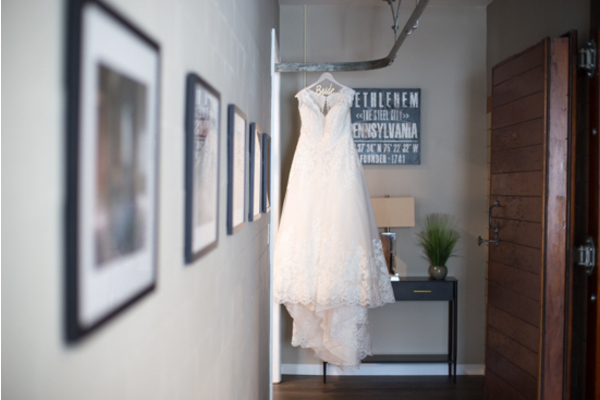 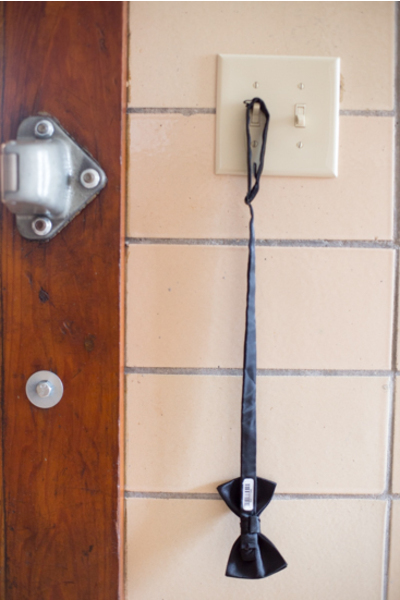 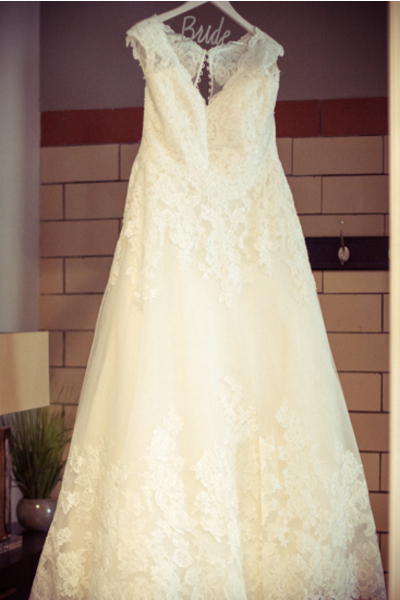 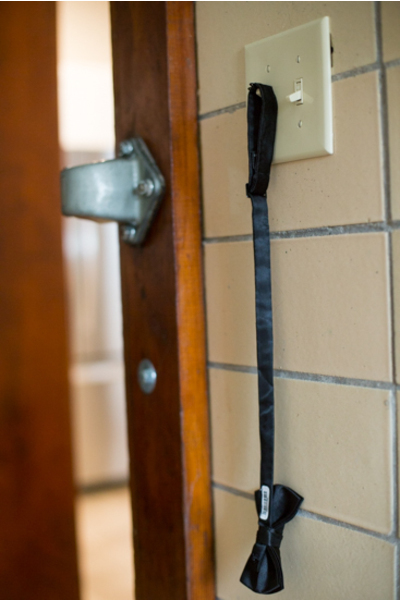 During the early hours of the day Shannon’s gown hung in perfection. 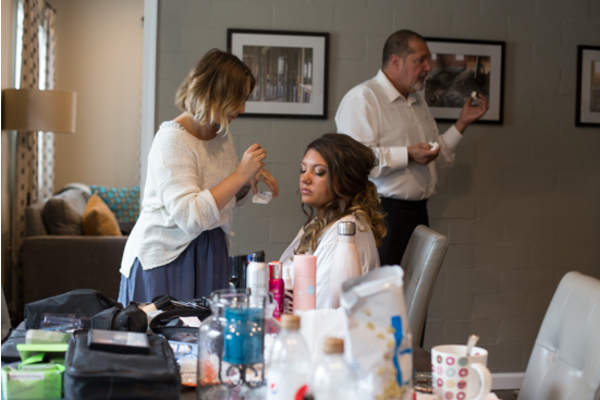 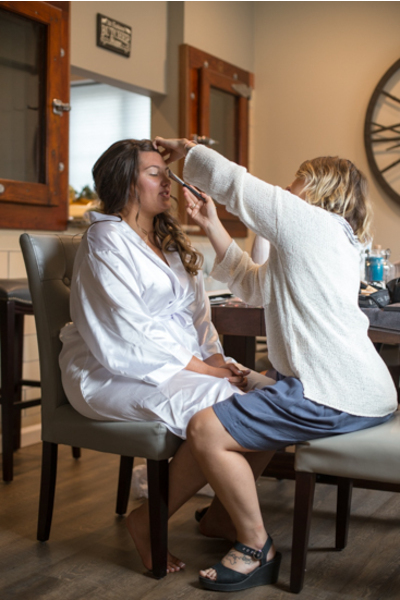 The warm September sun was shining through as the bride got her hair and make up done with her bridesmaids by her side. 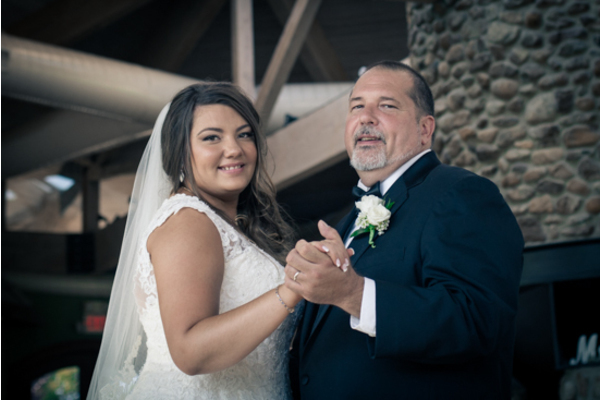 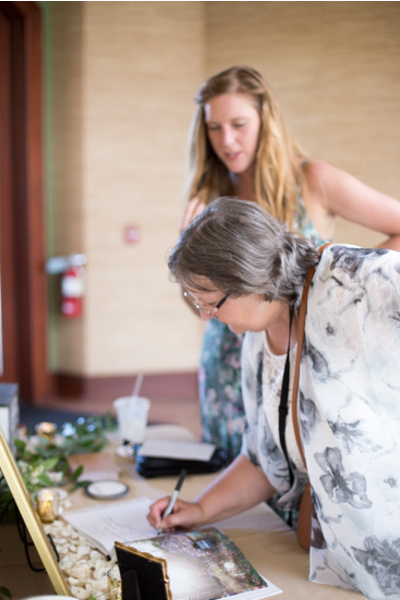 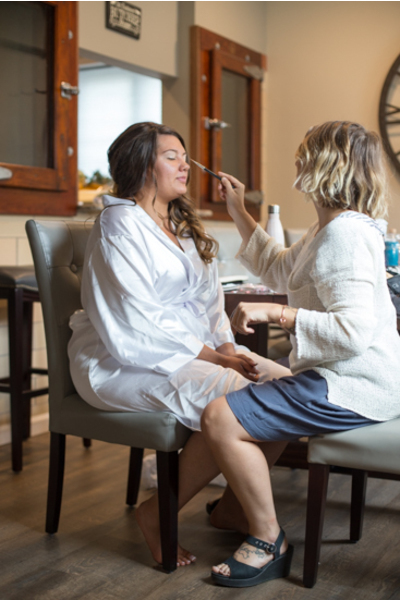 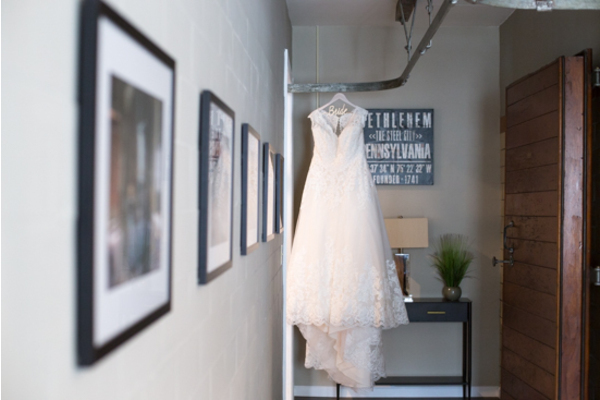 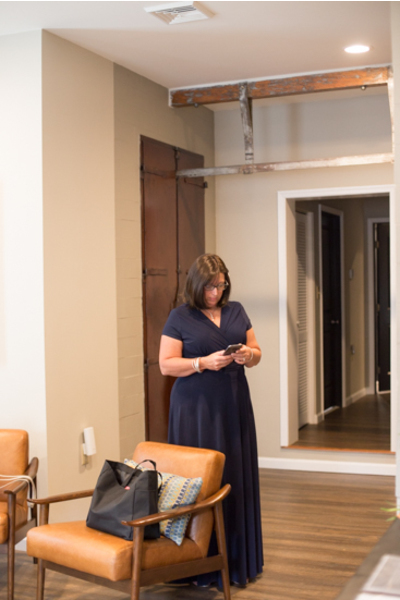 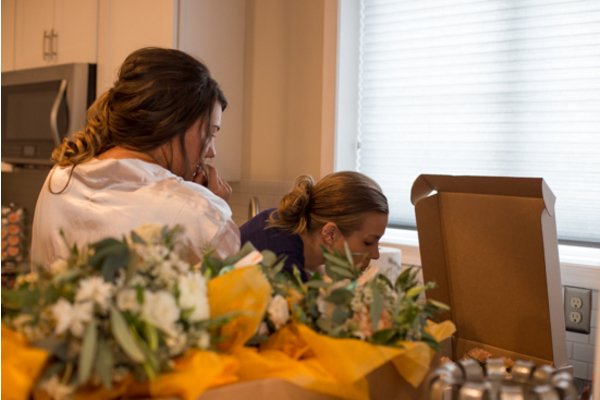 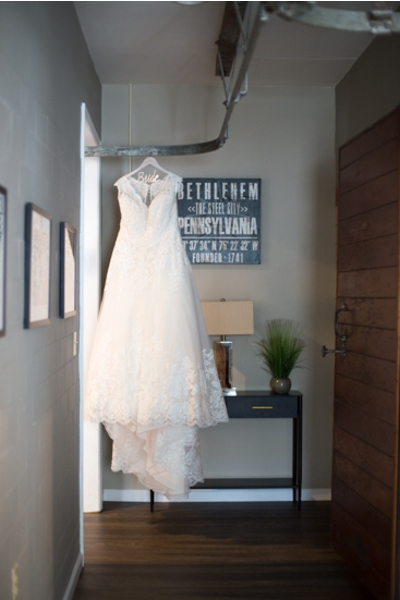 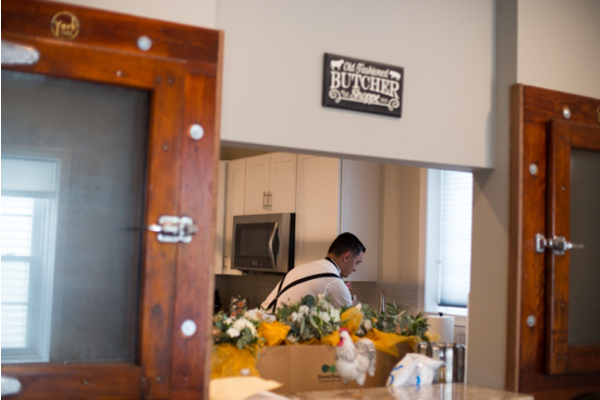 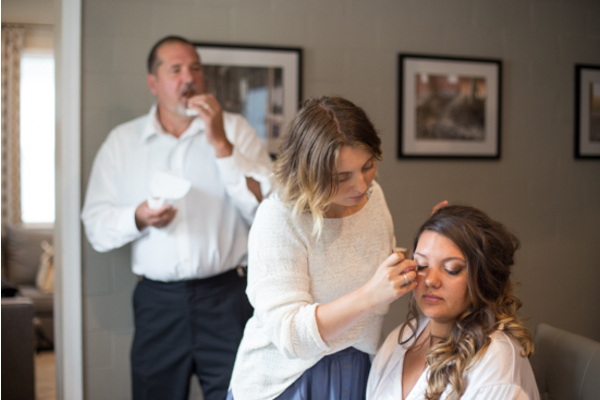 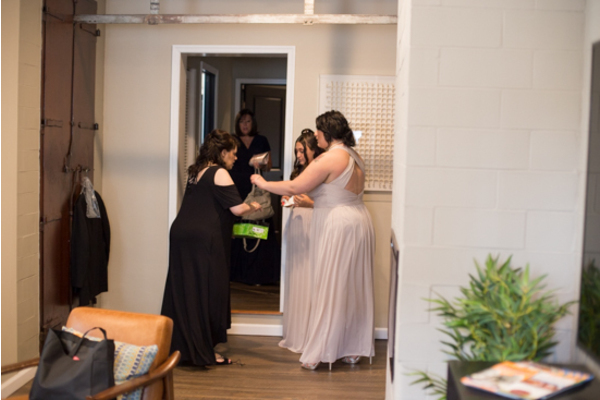 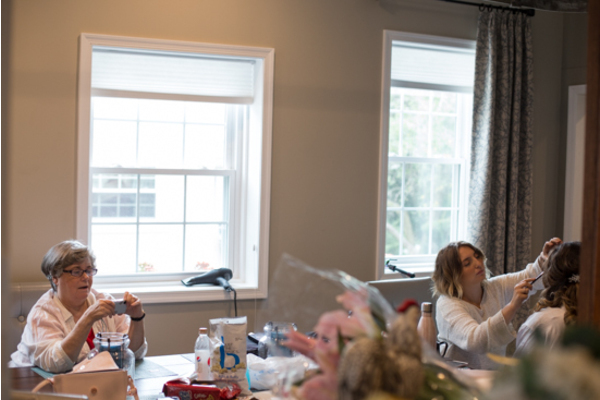 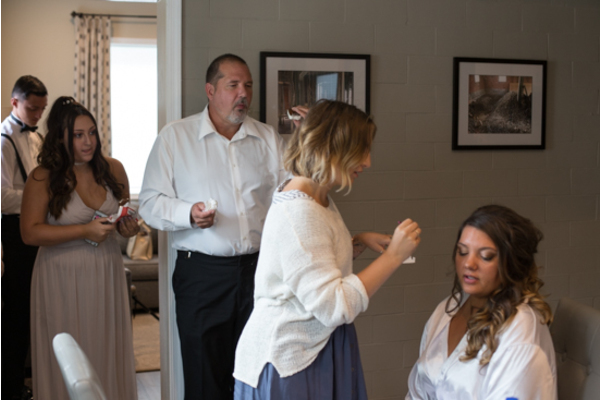 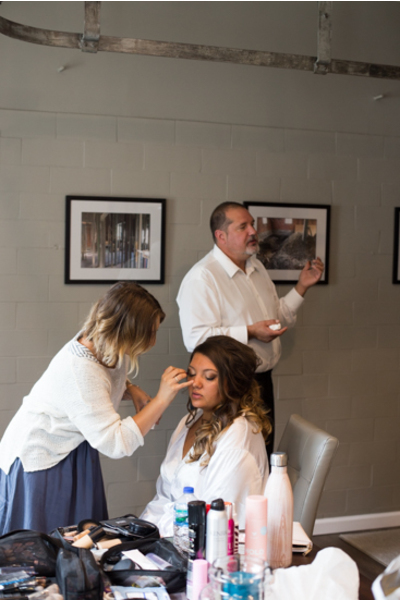 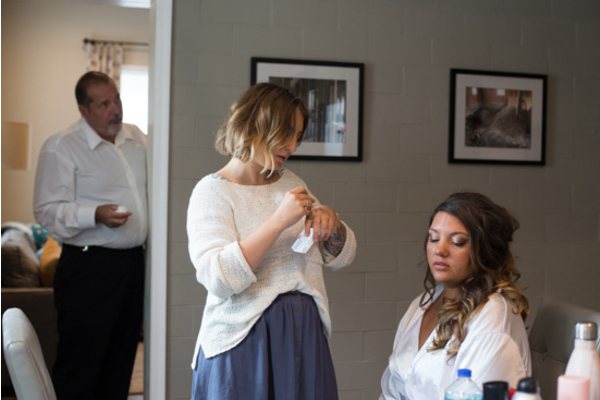 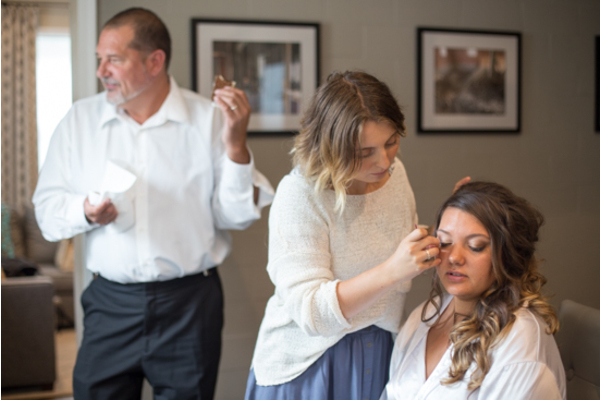 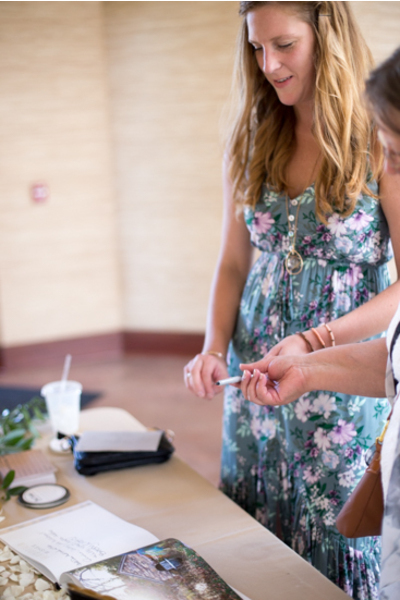 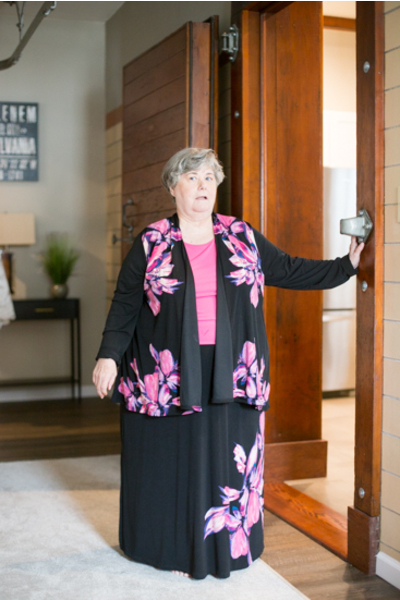 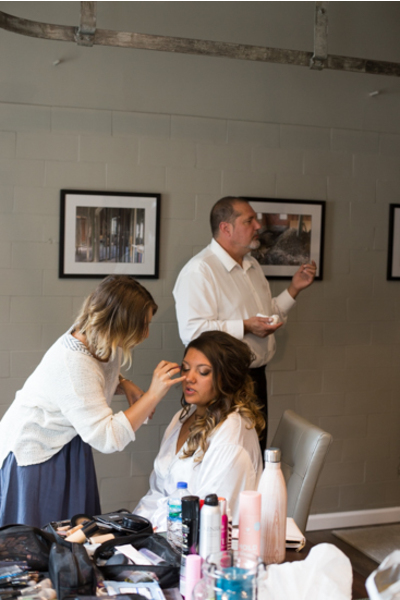 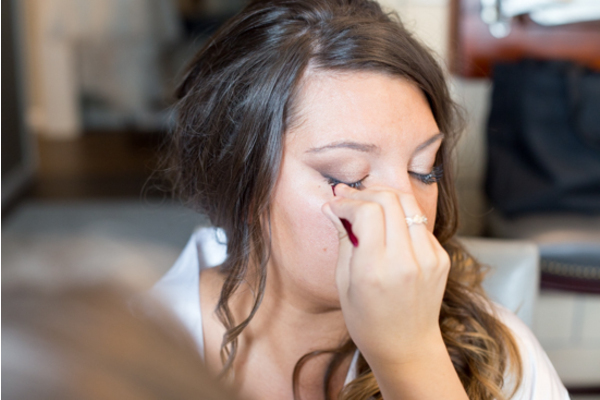 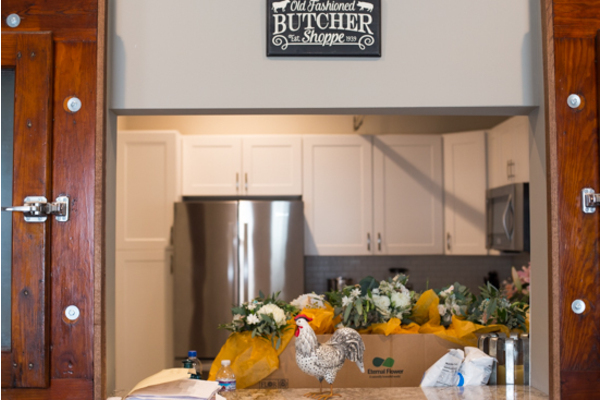 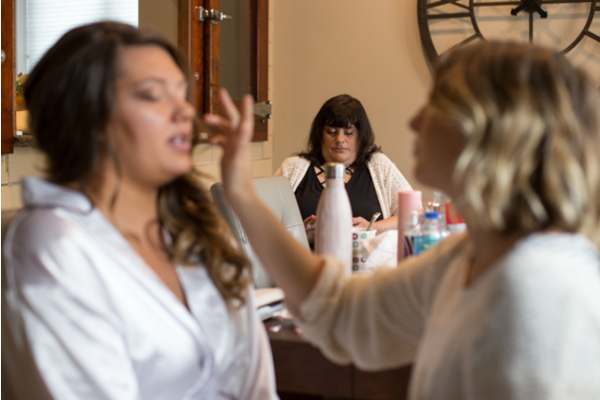 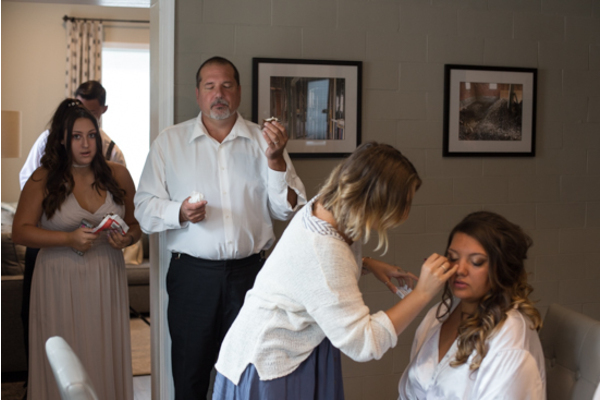 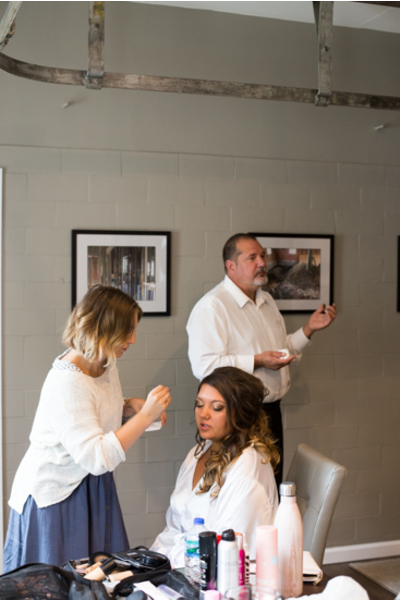 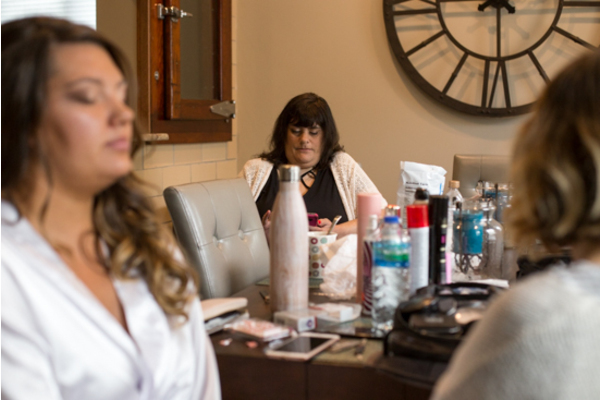 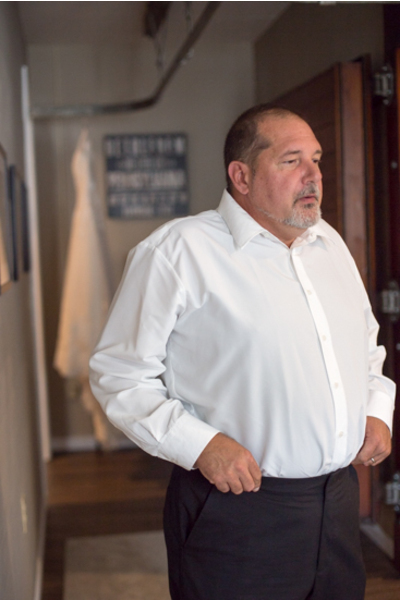 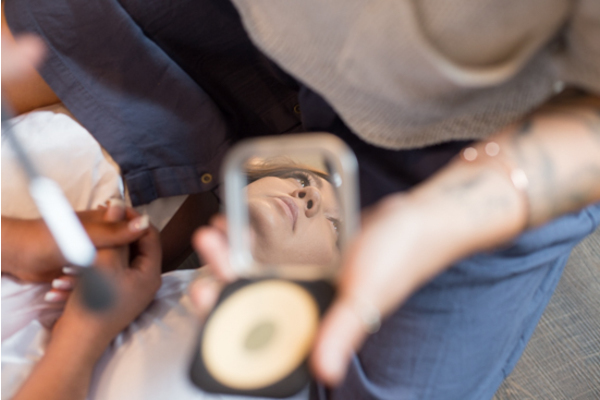 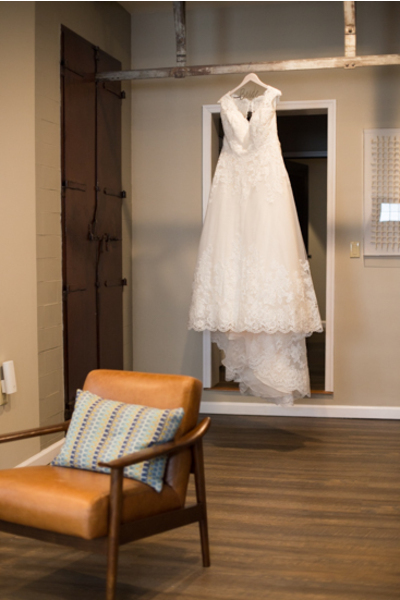 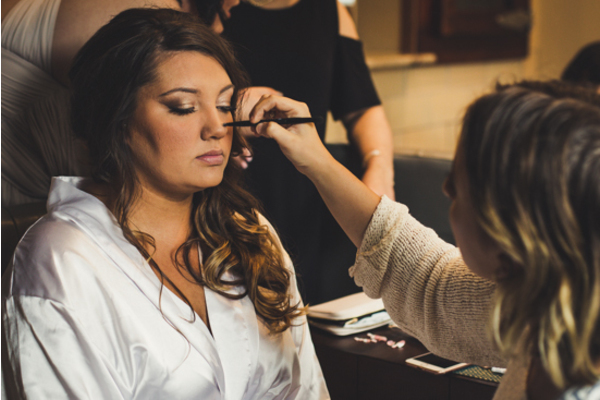 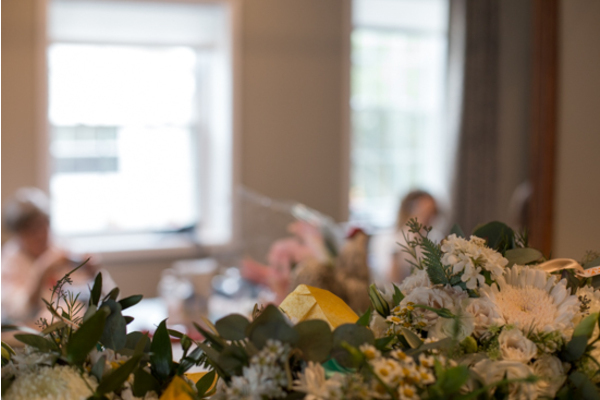 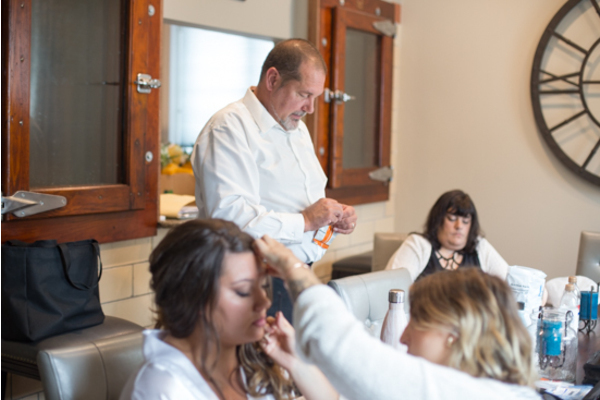 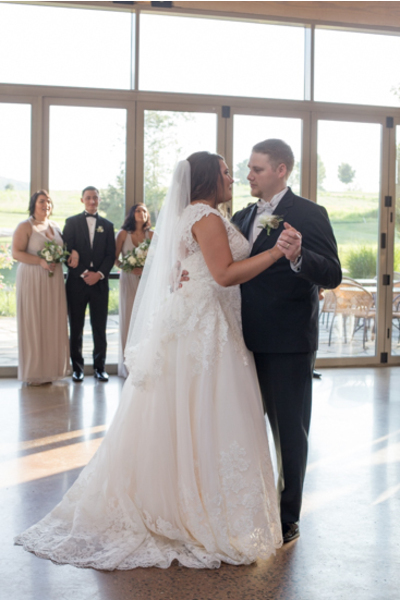 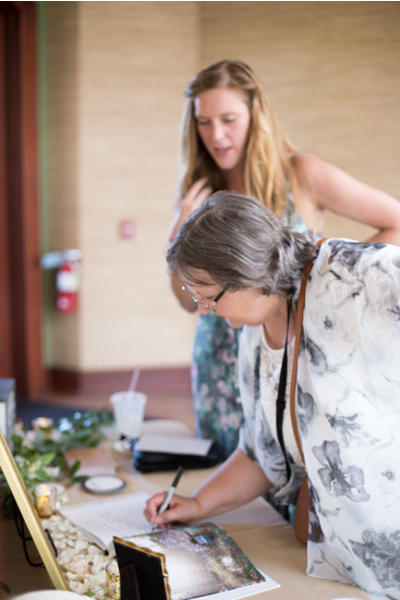 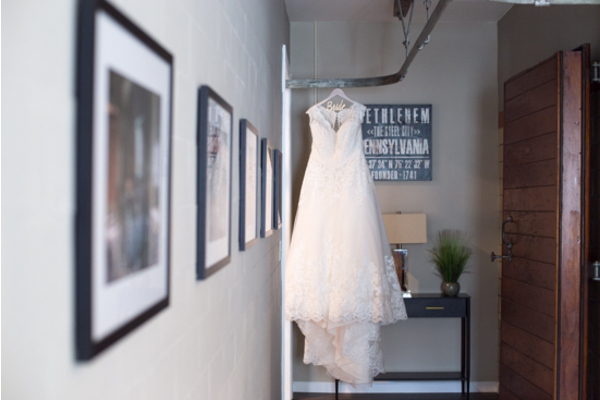 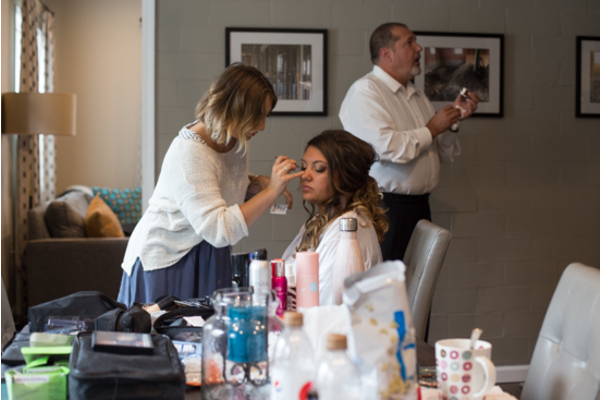 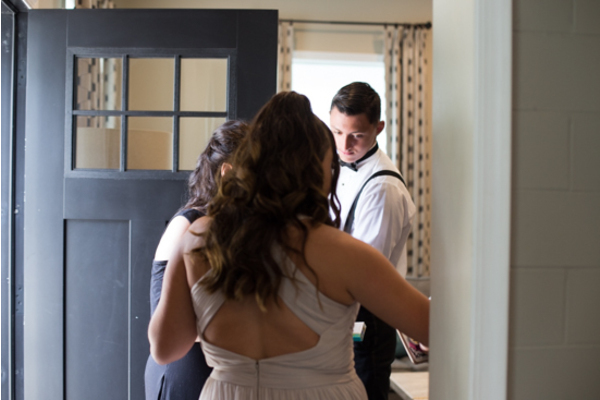 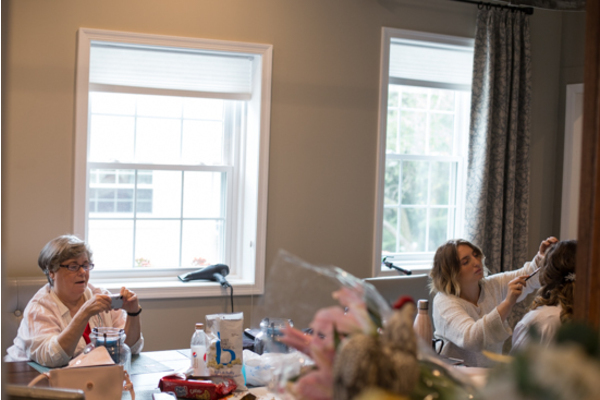 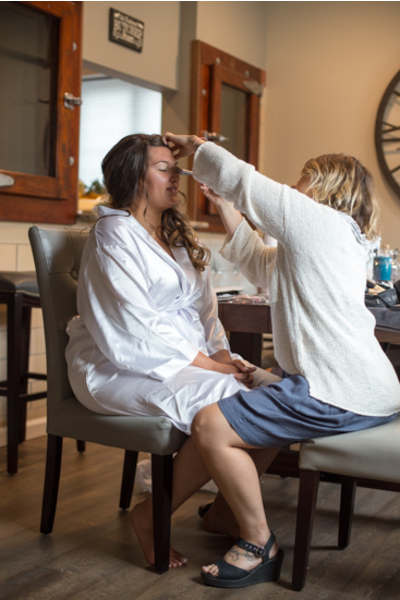 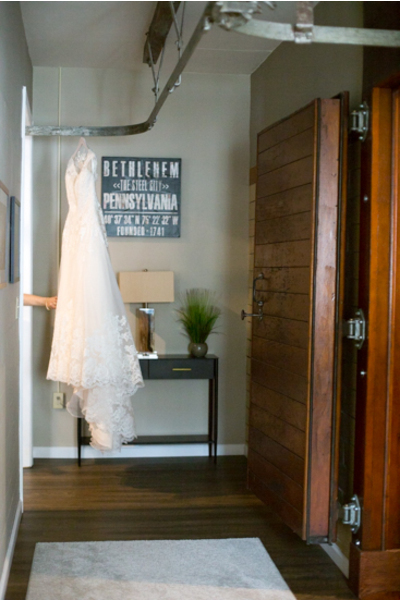 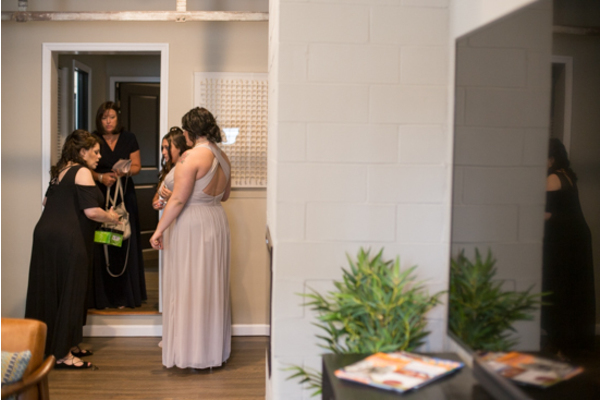 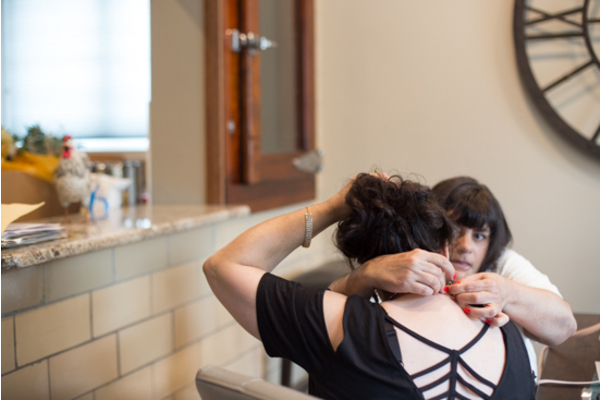 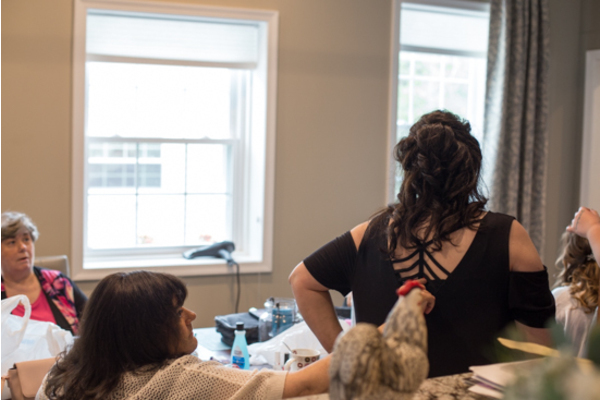 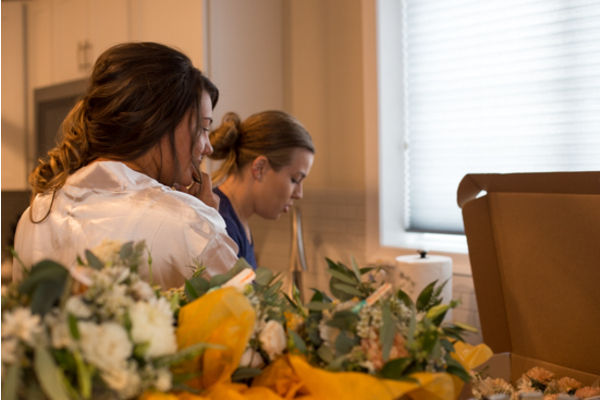 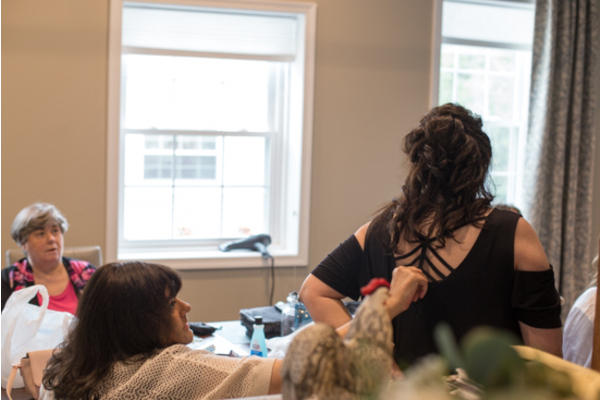 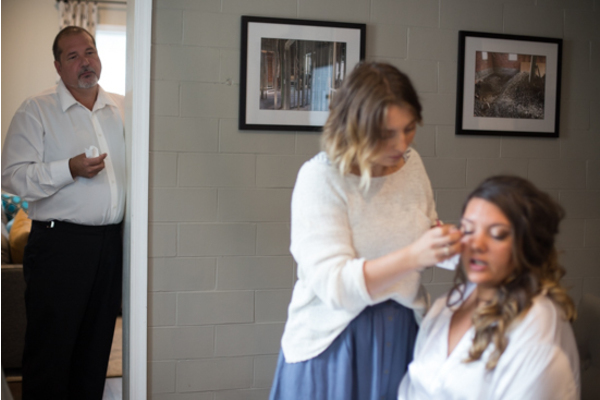 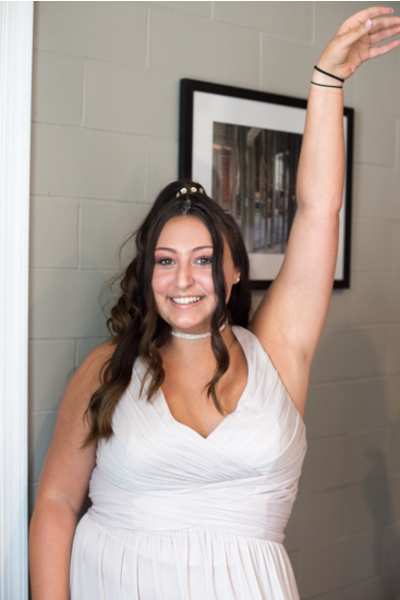 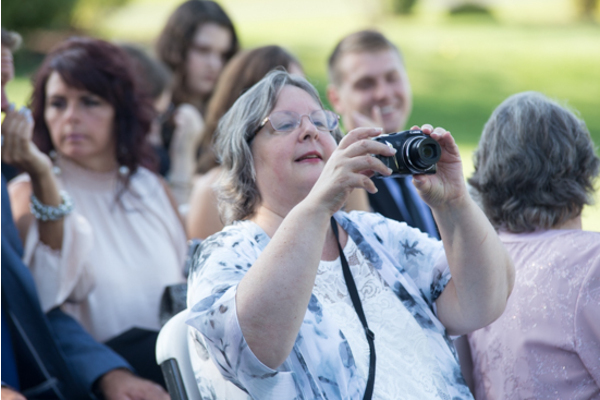 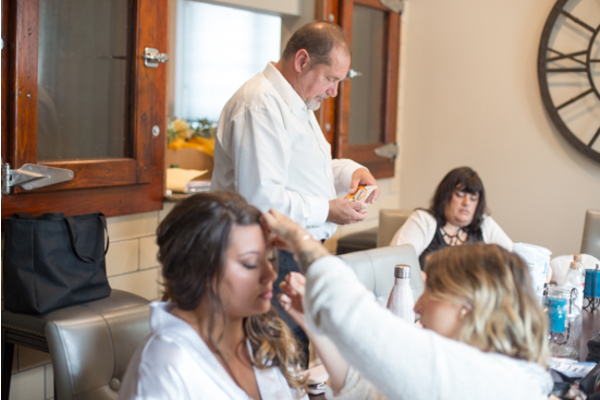 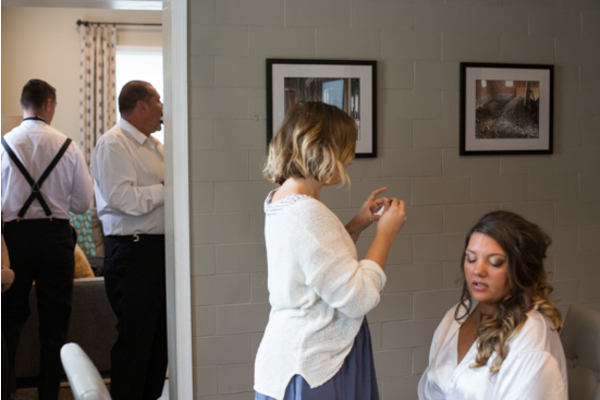 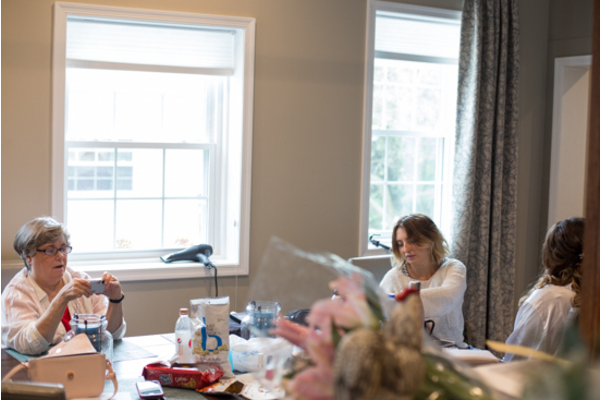 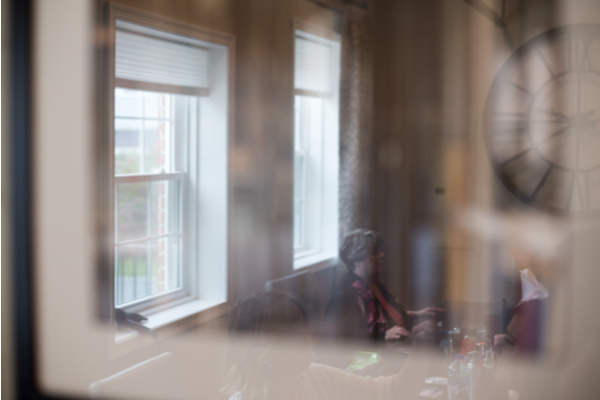 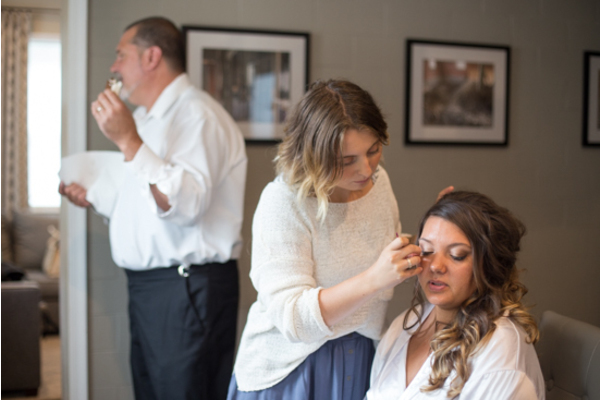 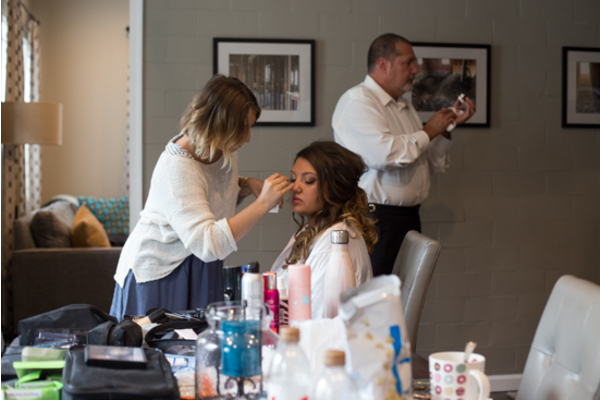 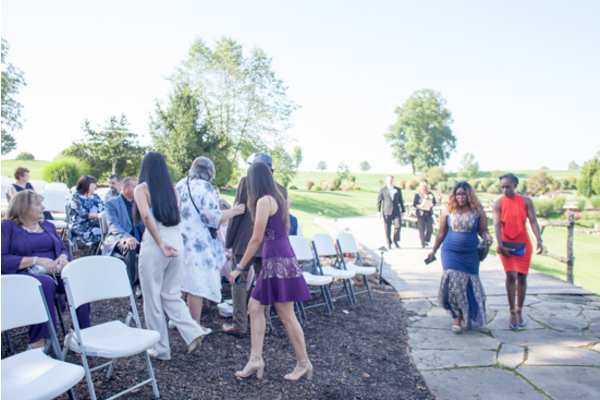 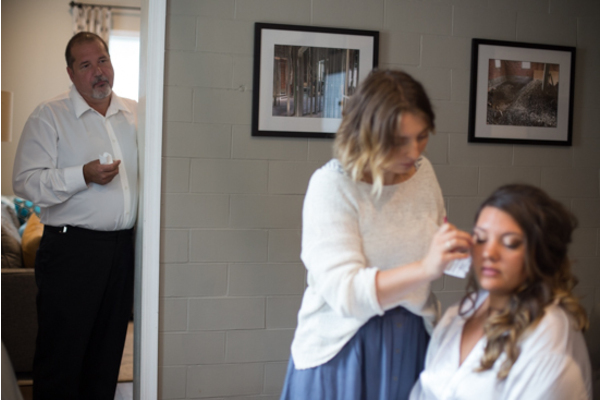 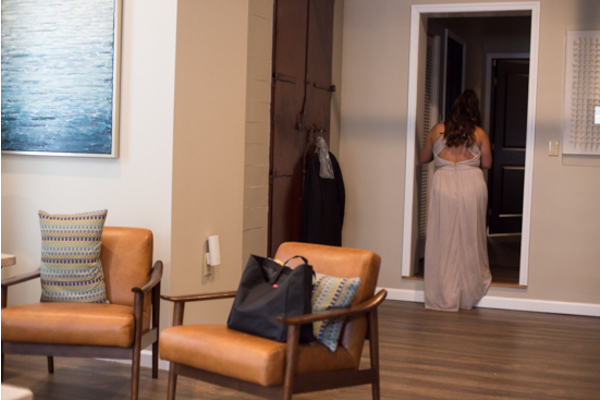 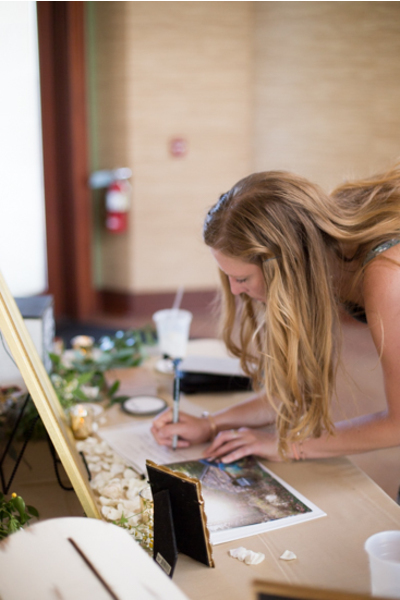 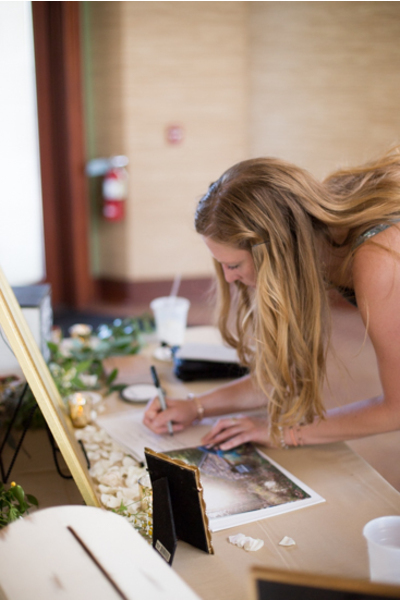 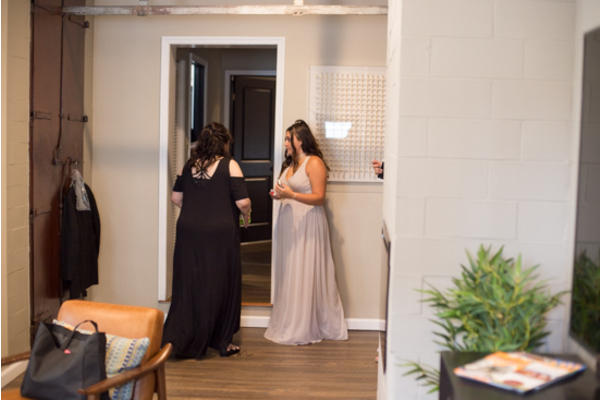 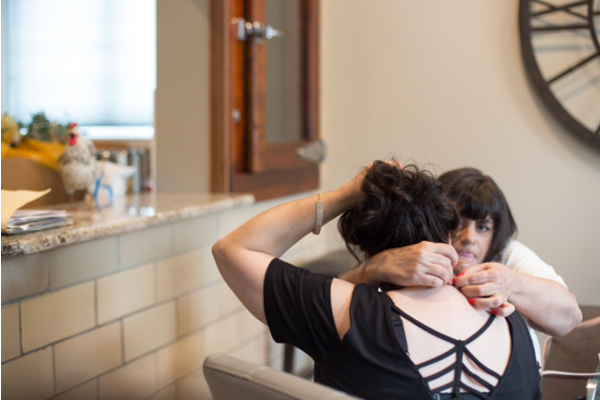 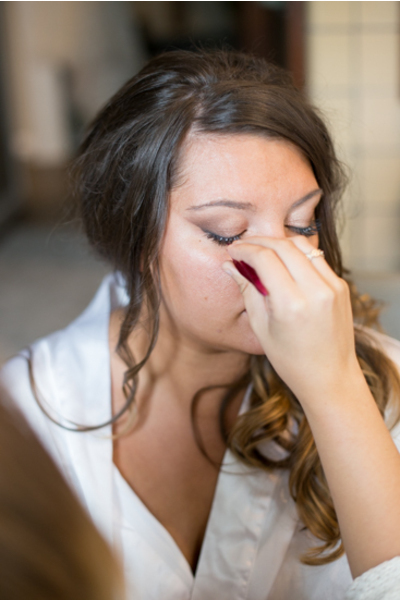 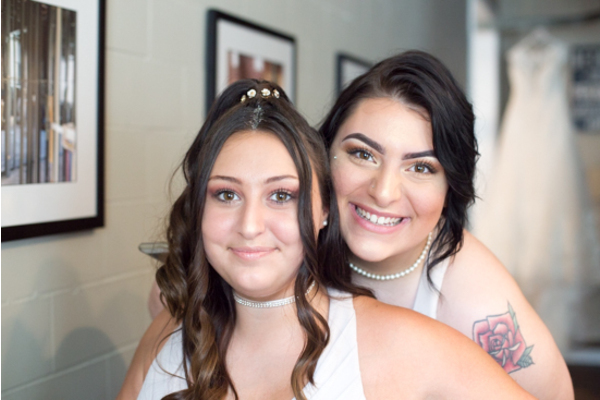 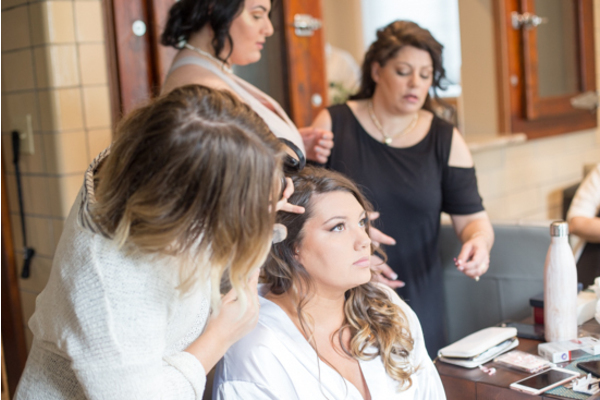 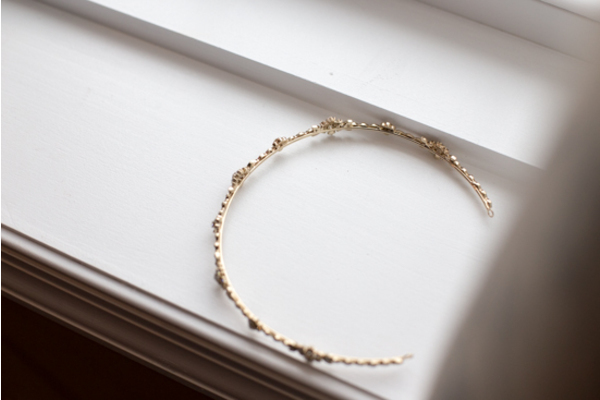 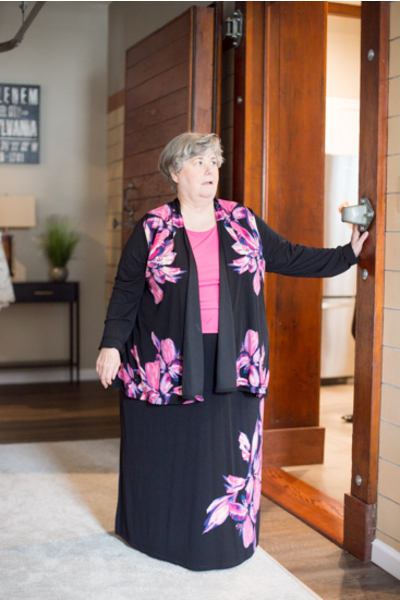 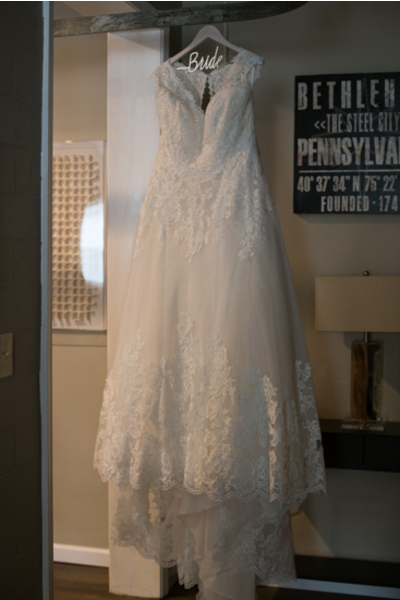 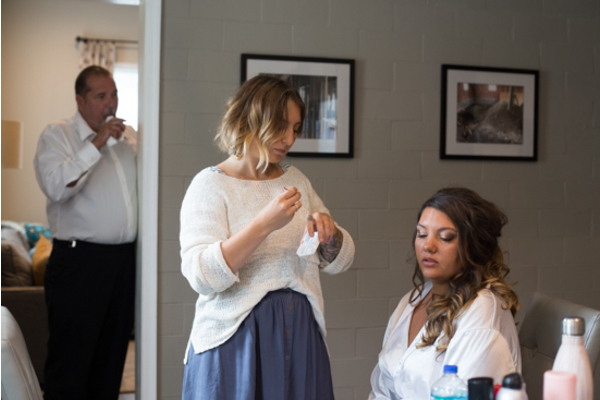 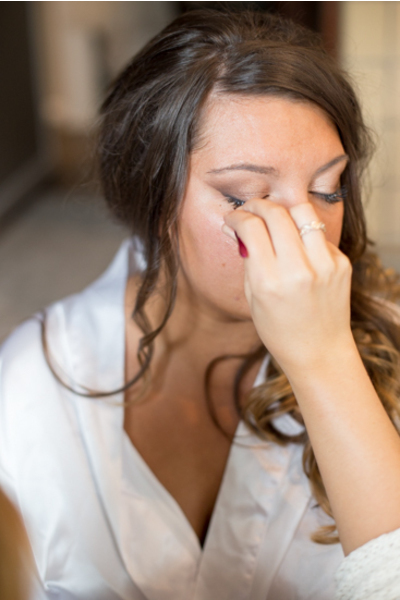 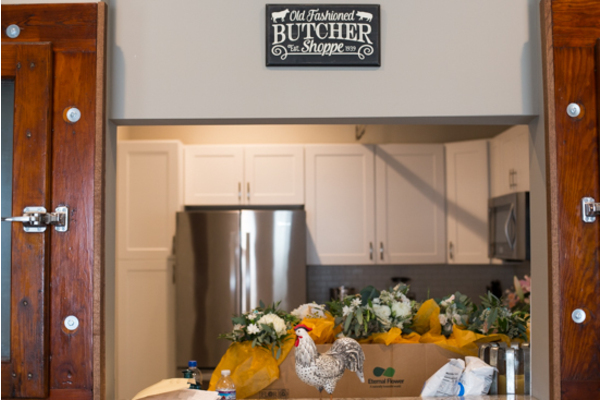 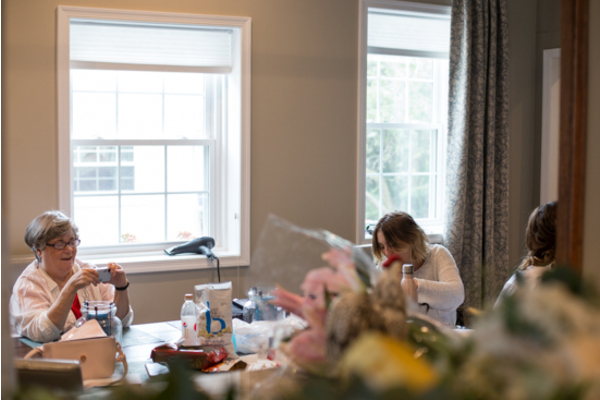 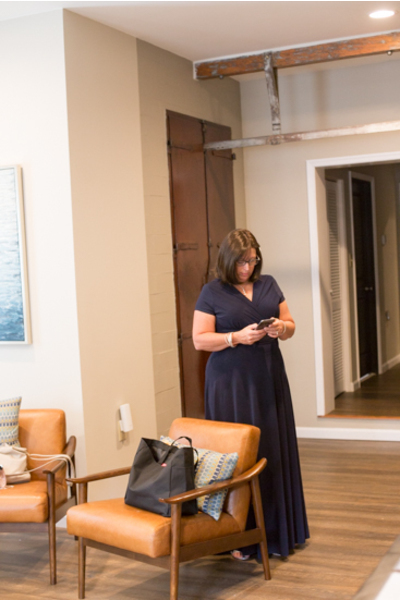 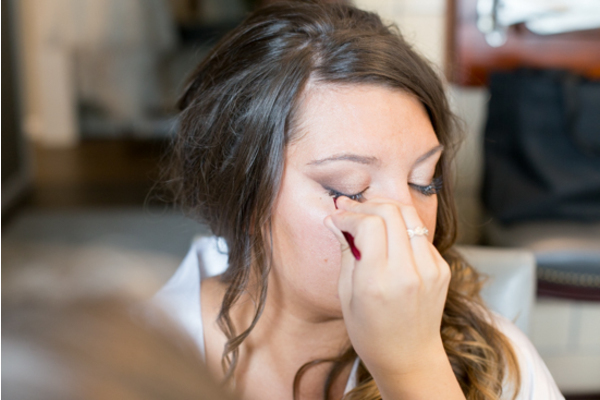 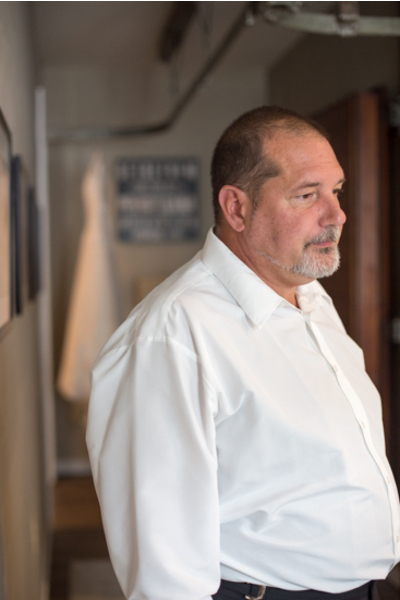 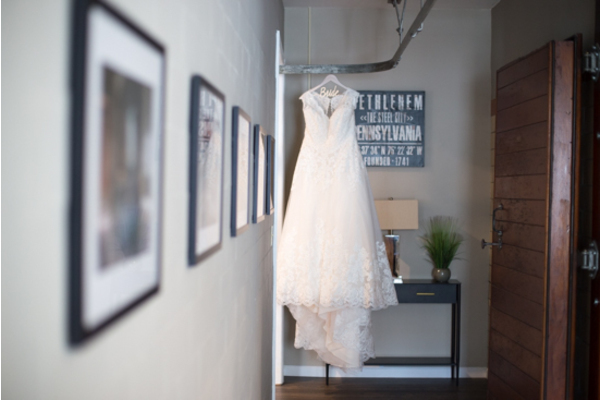 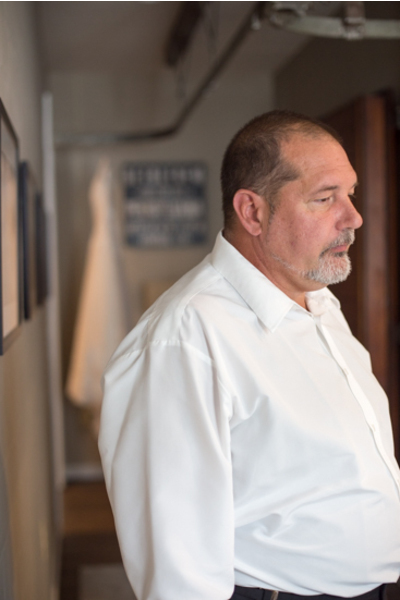 Our PA Wedding Photographer captured every moment that morning from nails being done, to gowns being slipped on ,and it was a day to remember! 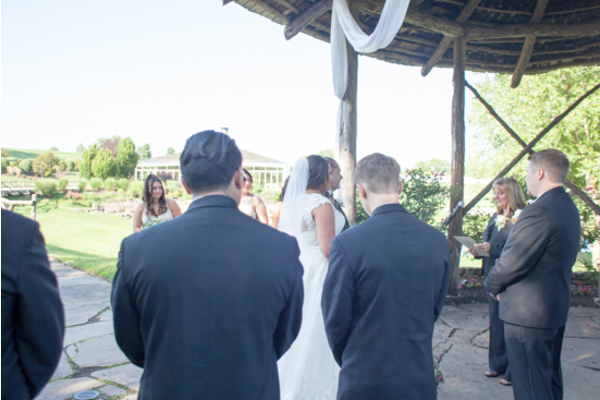 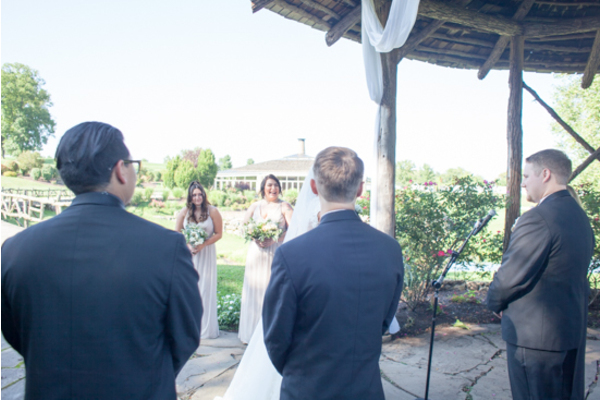 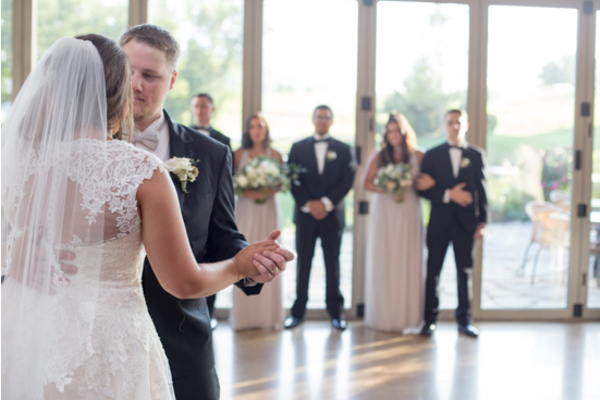 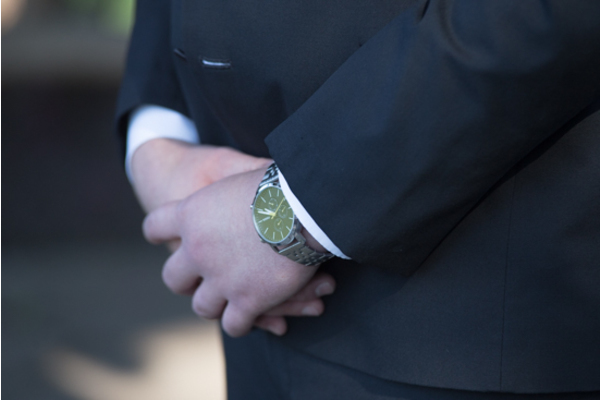 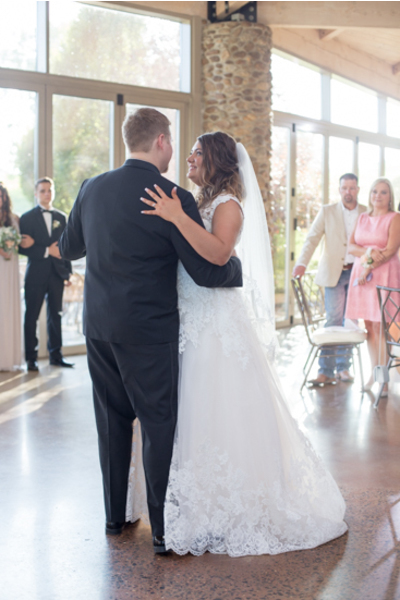 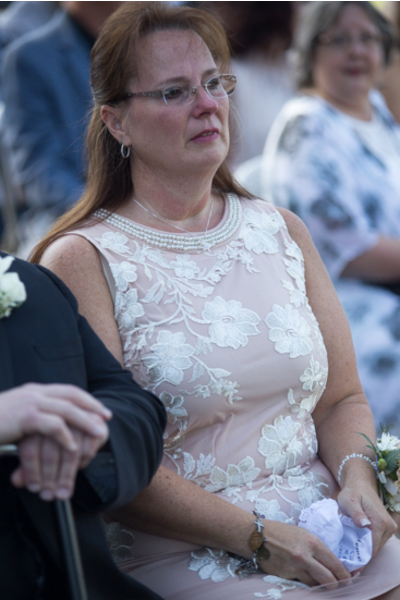 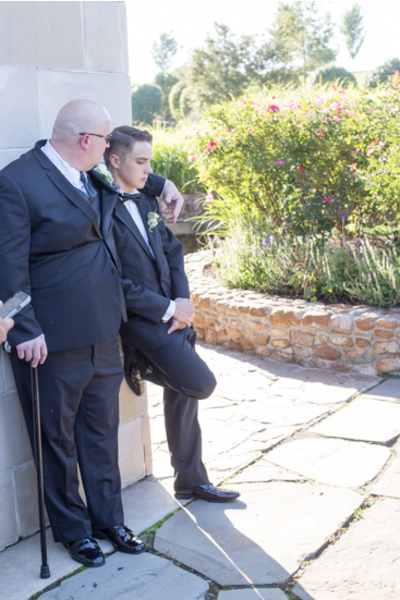 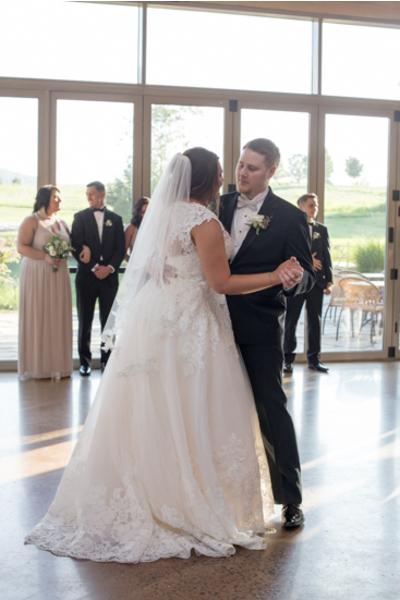 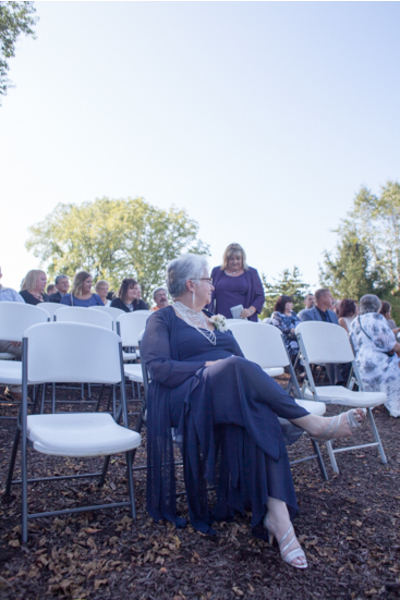 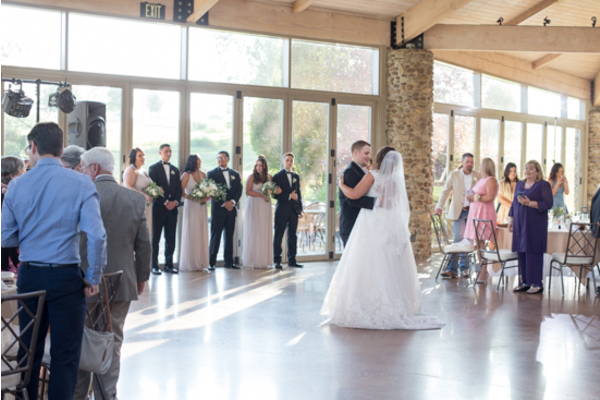 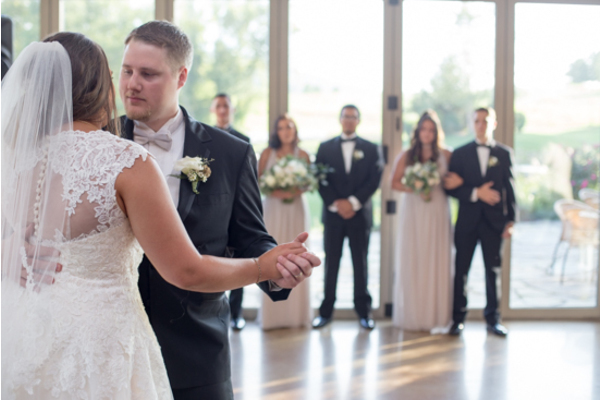 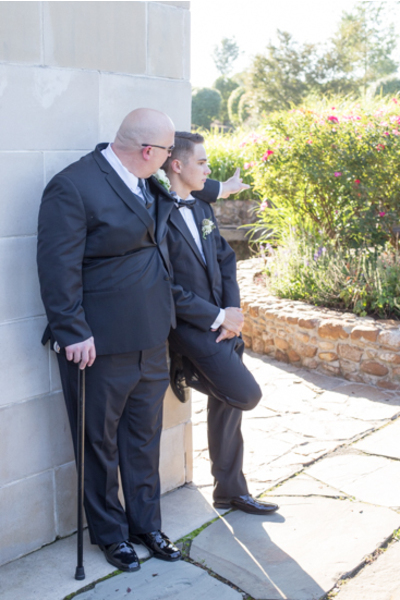 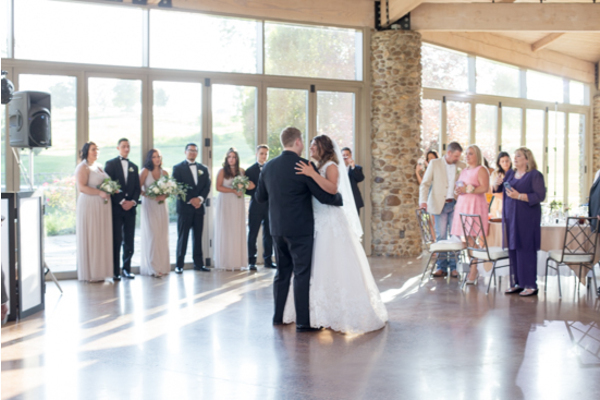 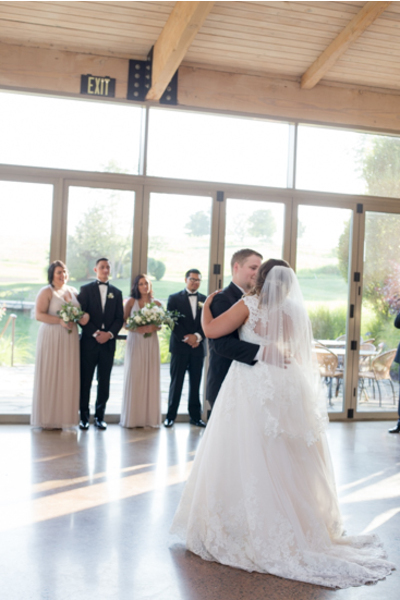 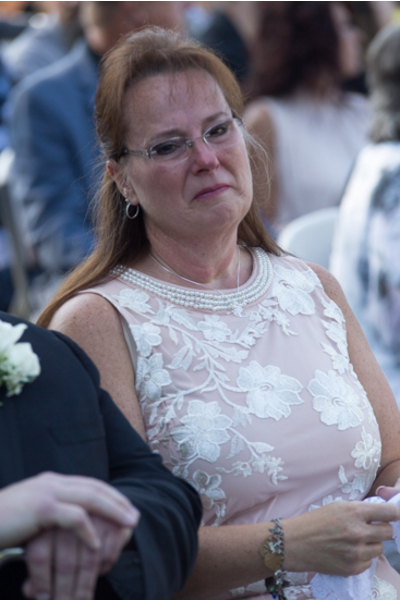 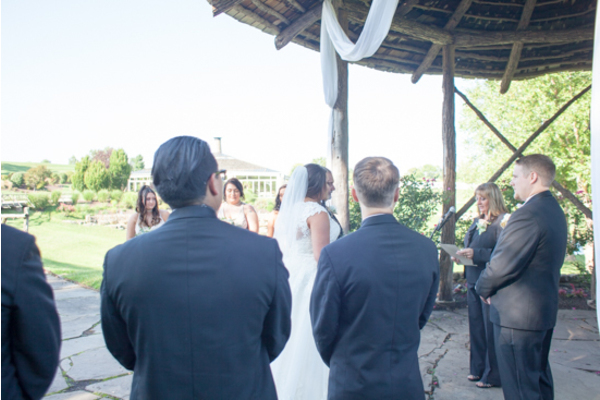 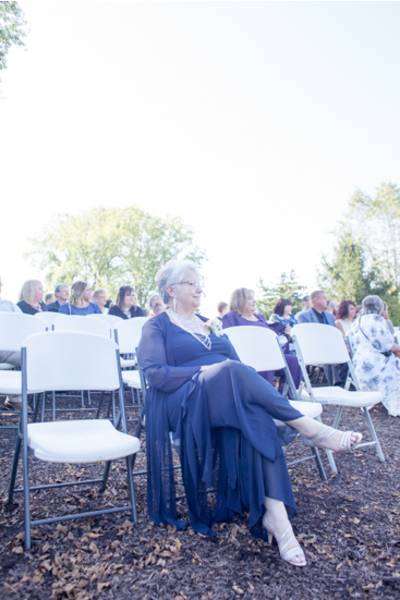 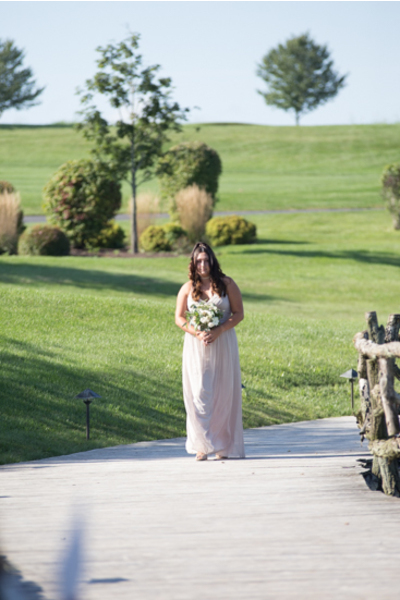 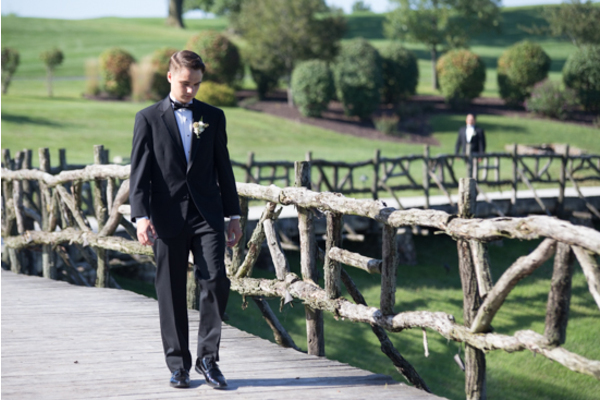 After the bride and groom were both ready, Tyler awaited Shannon outside at the ceremony, patiently to see his gorgeous bride! 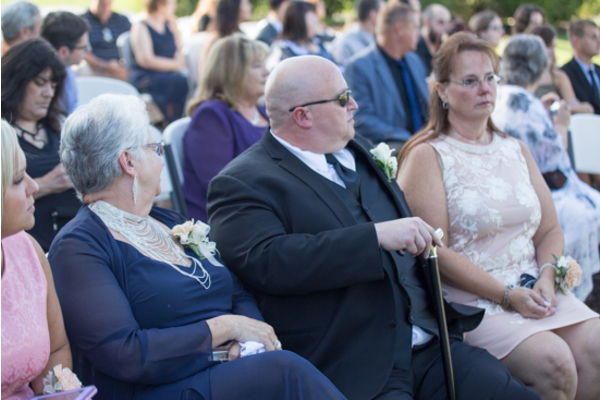 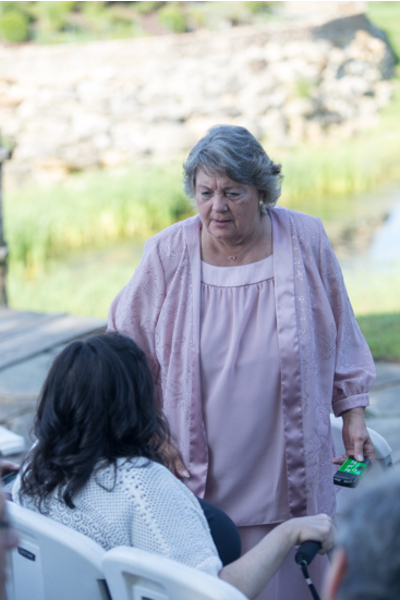 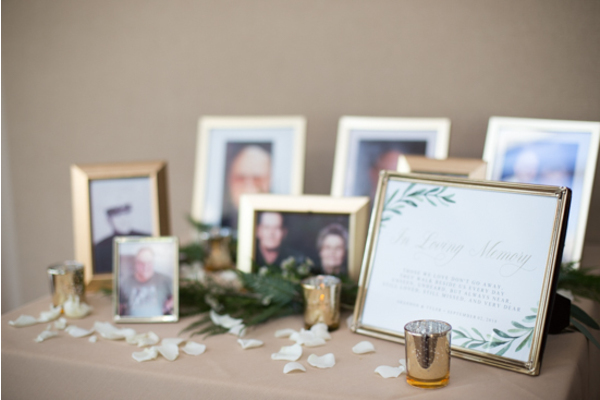 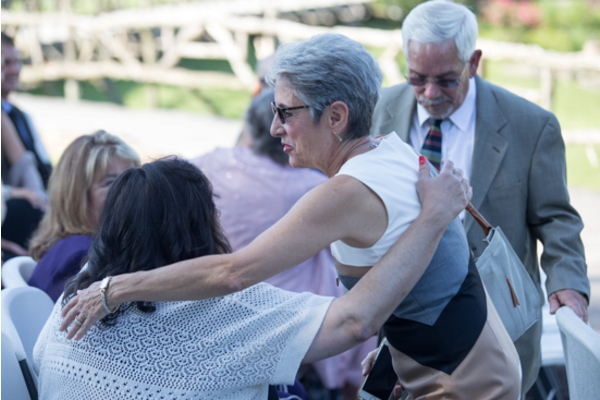 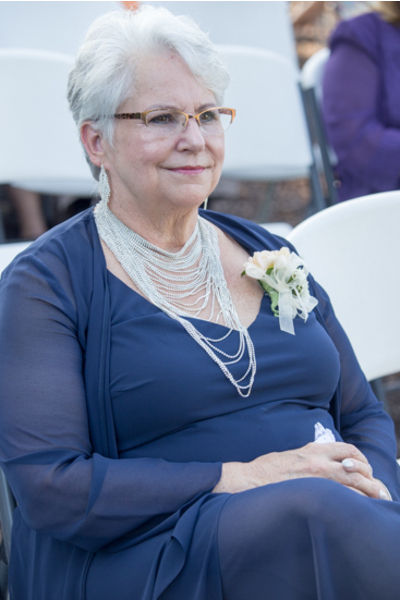 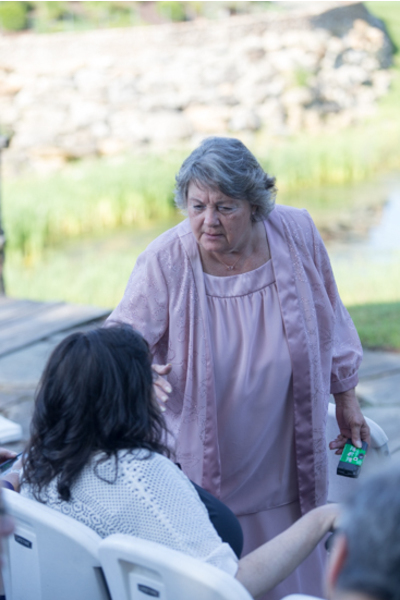 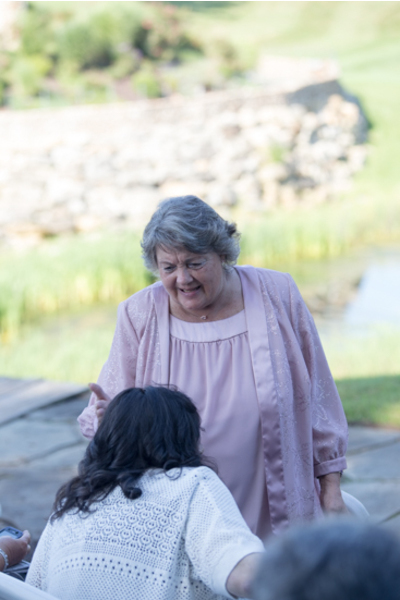 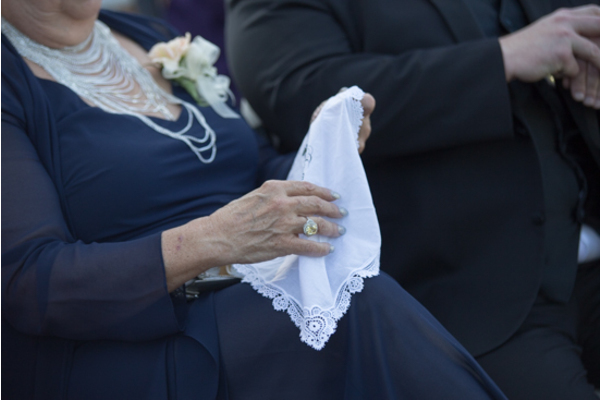 Family and friends gathered at the ceremony as well for this very special occasion! 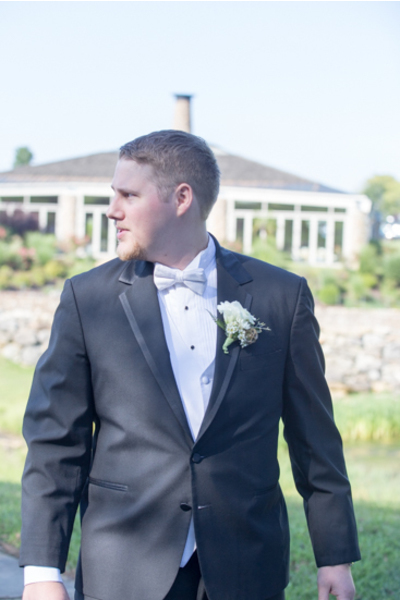 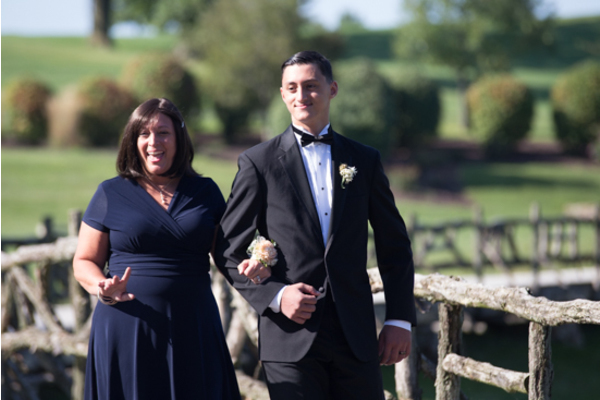 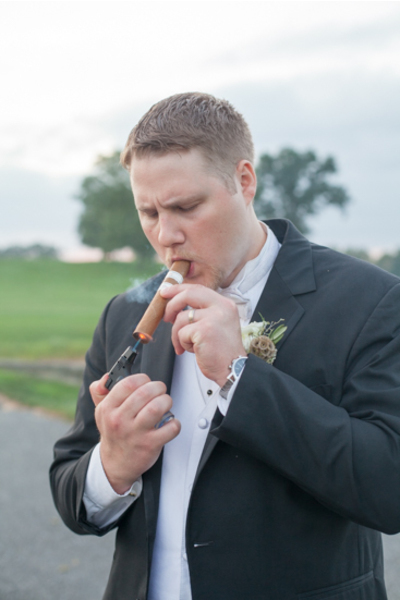 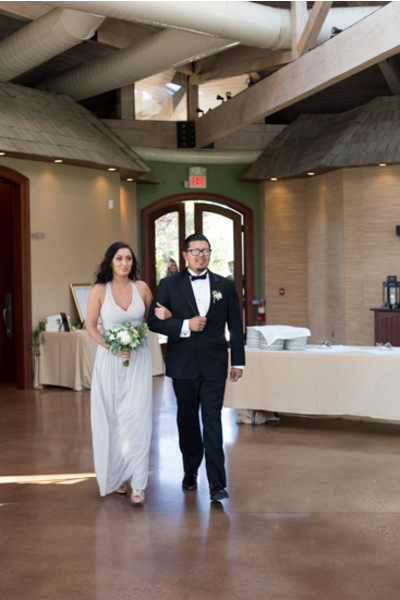 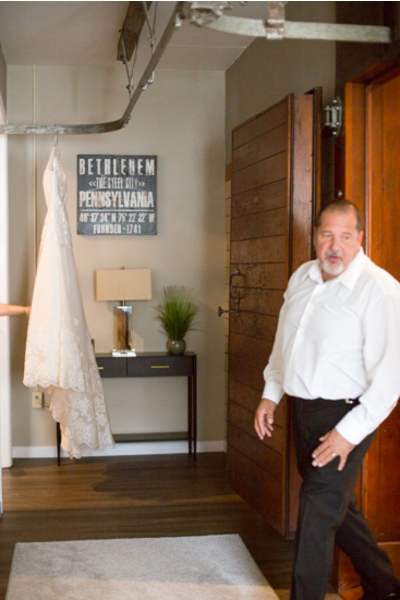 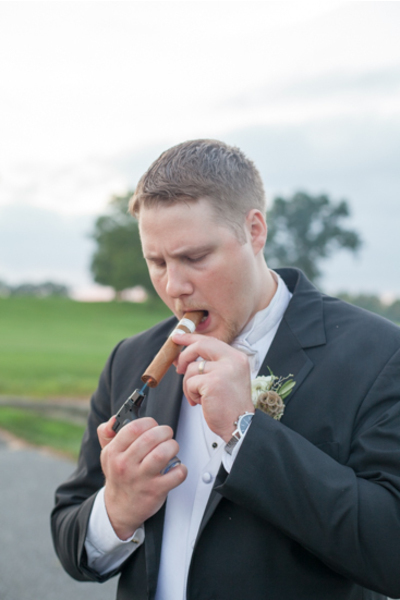 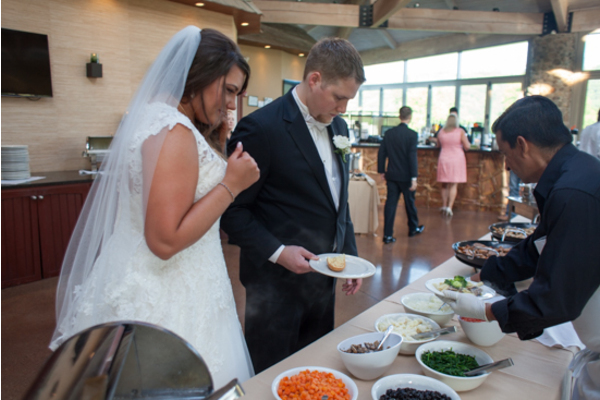 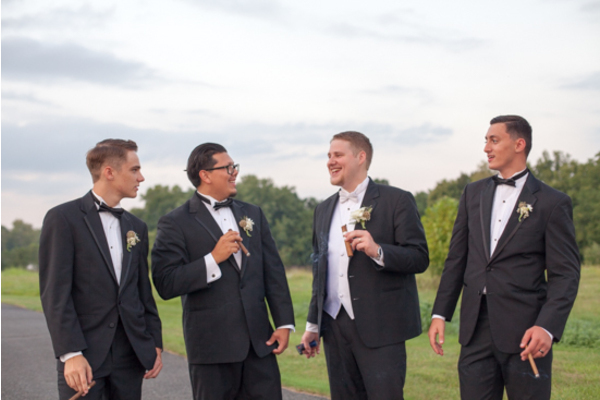 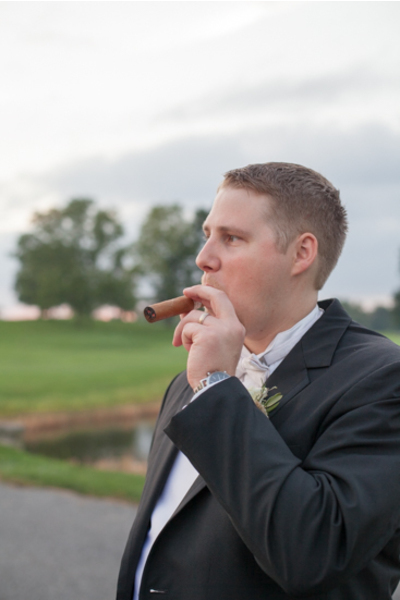 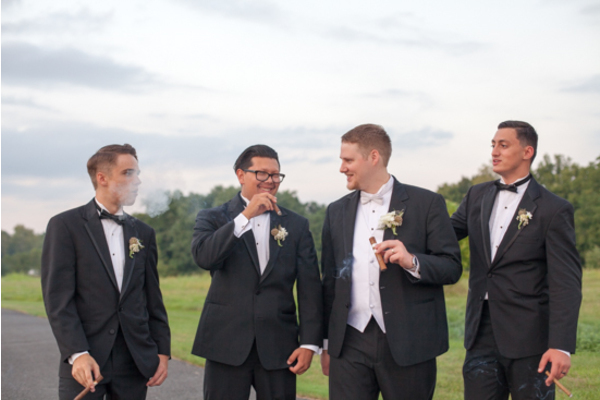 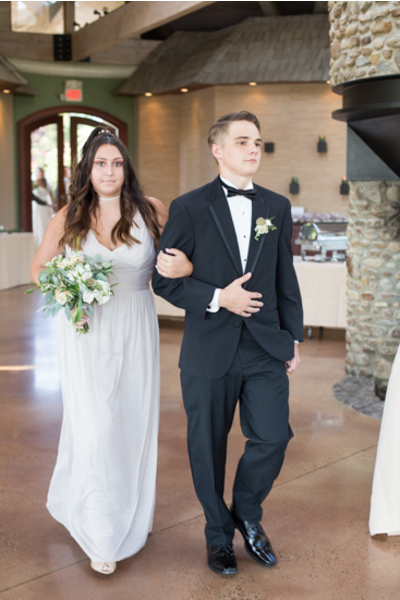 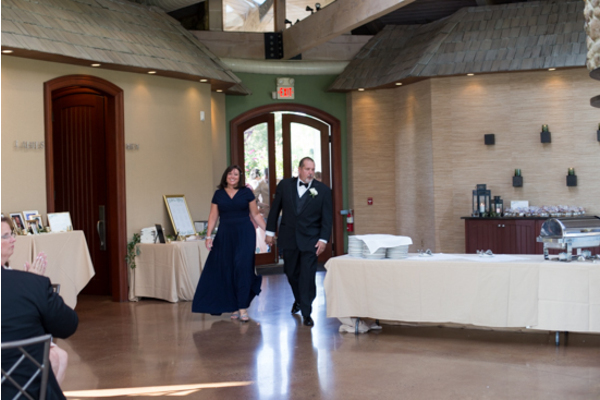 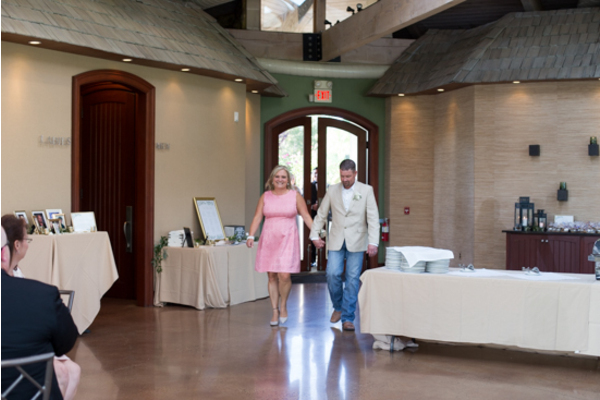 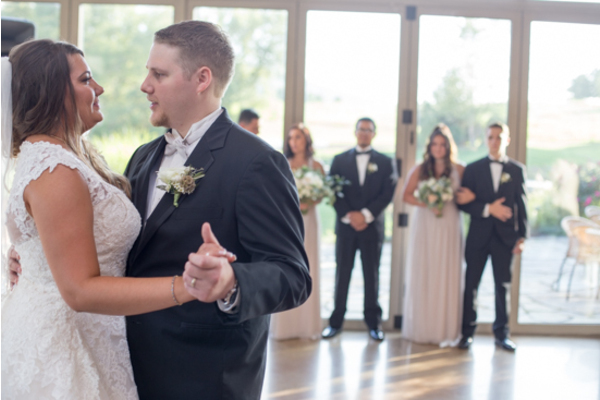 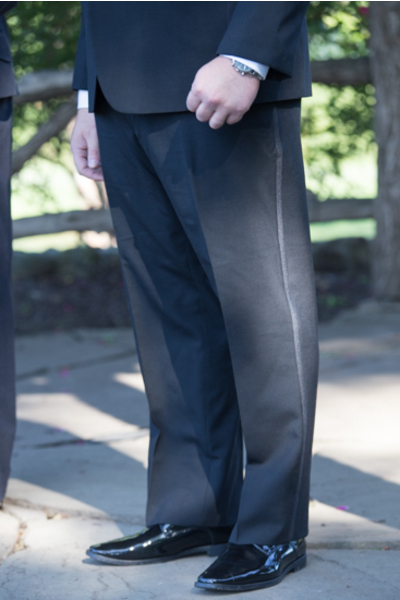 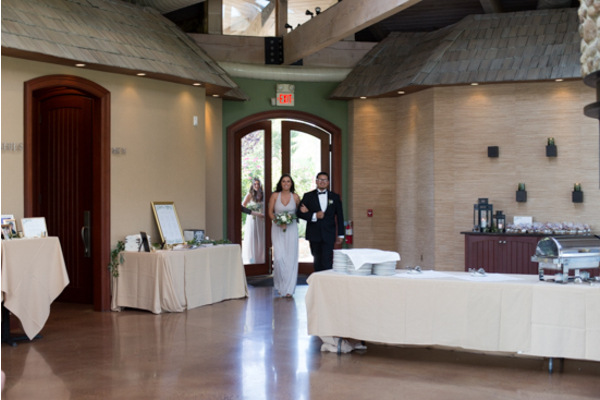 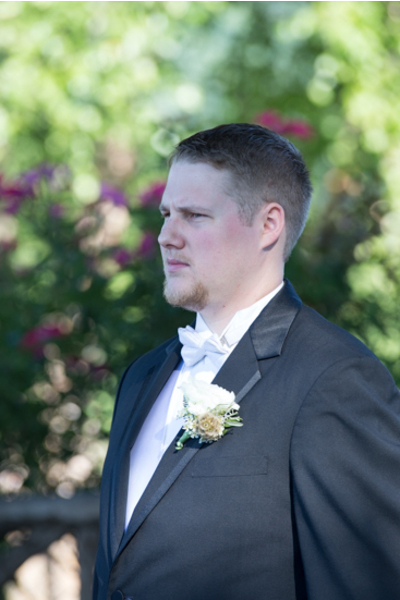 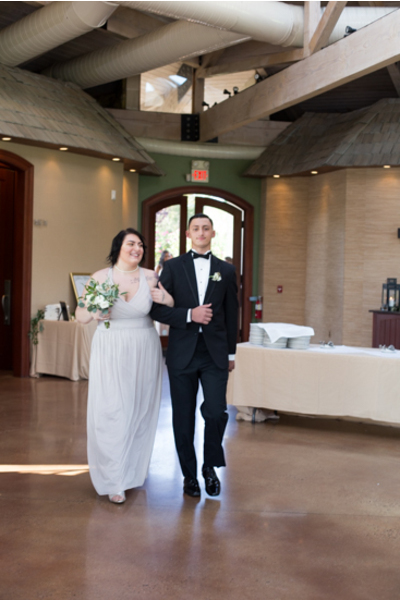 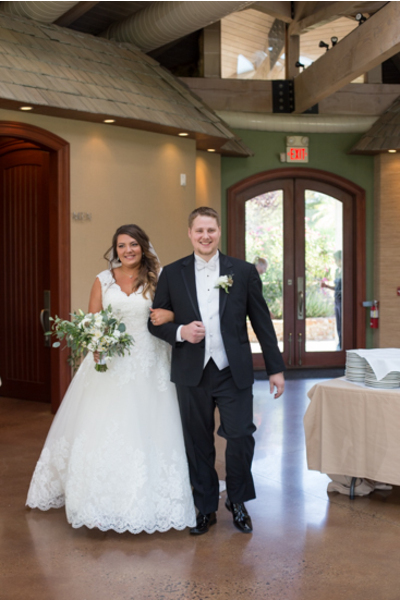 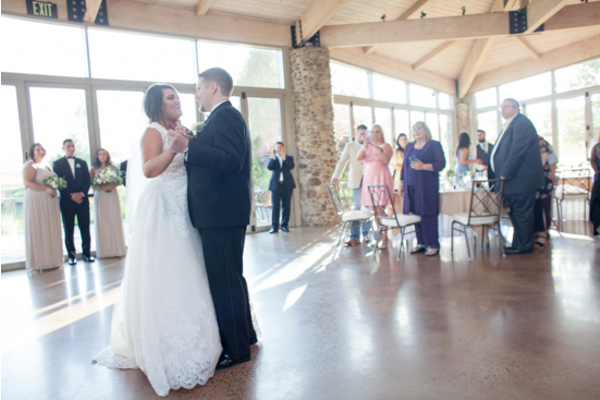 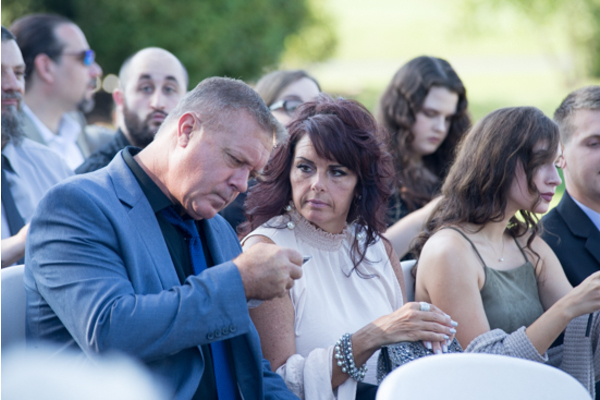 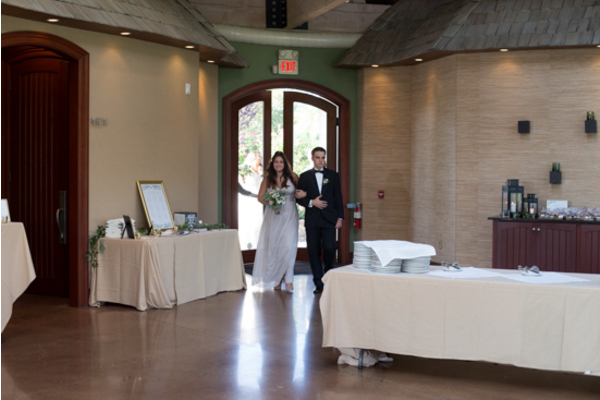 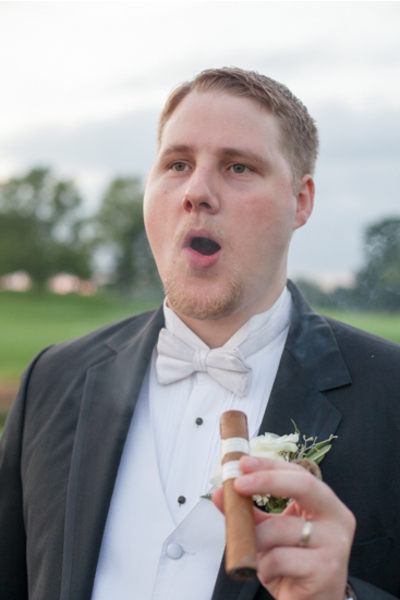 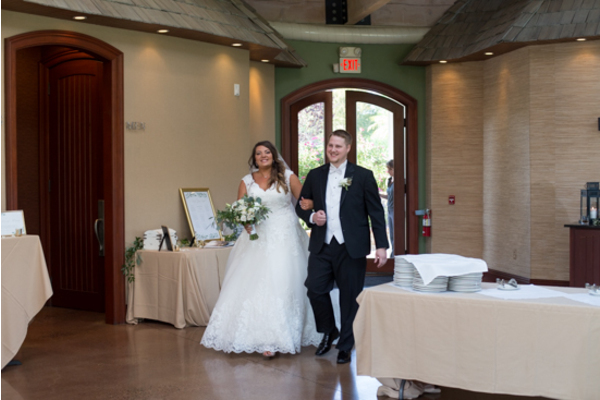 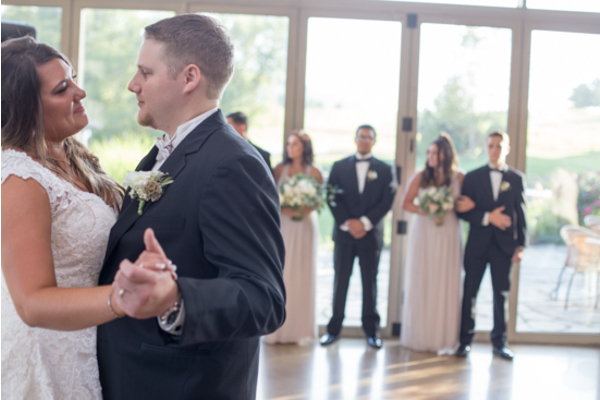 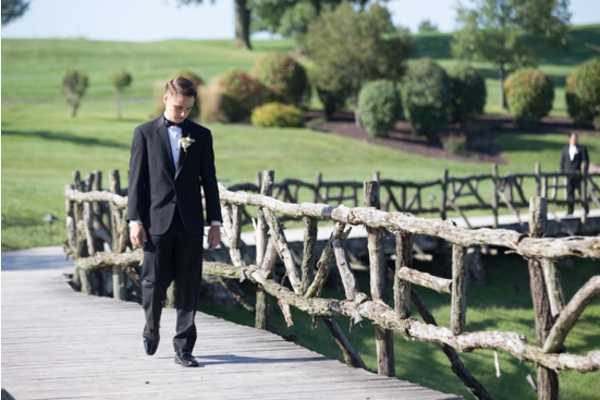 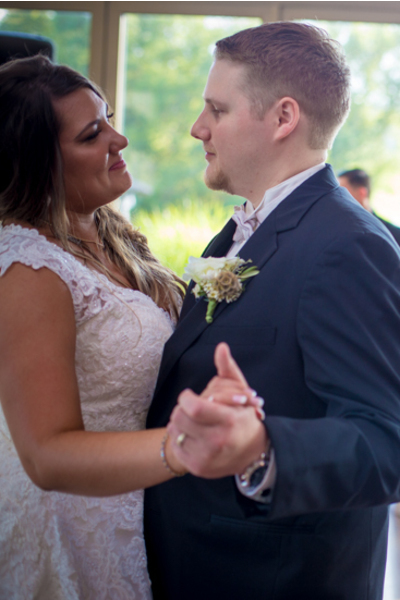 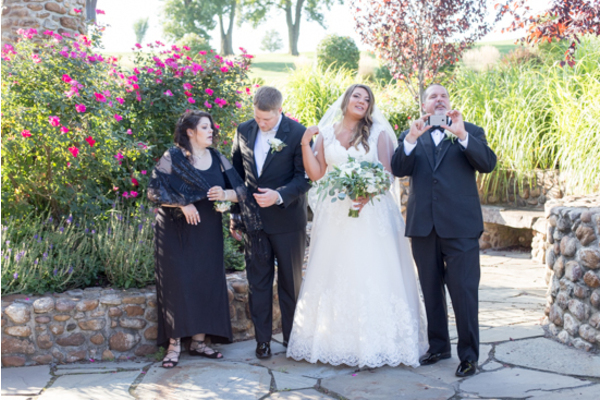 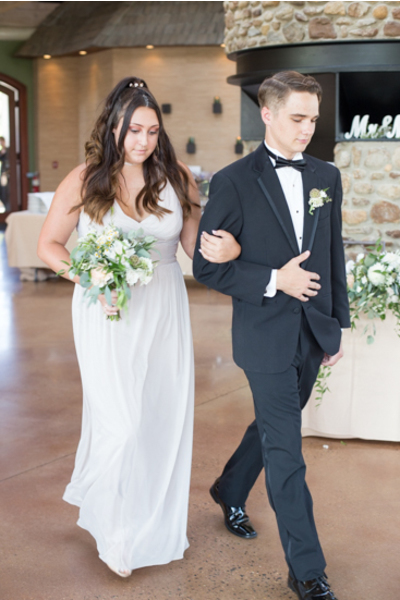 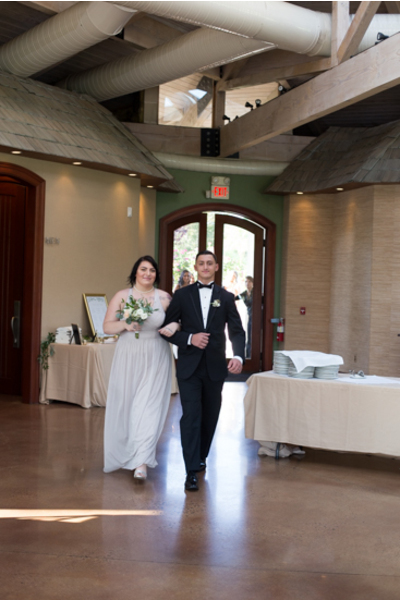 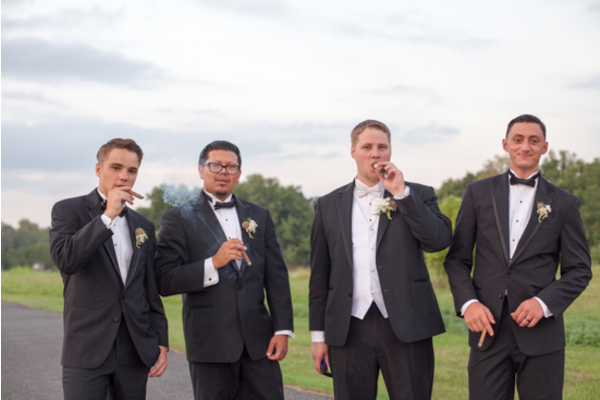 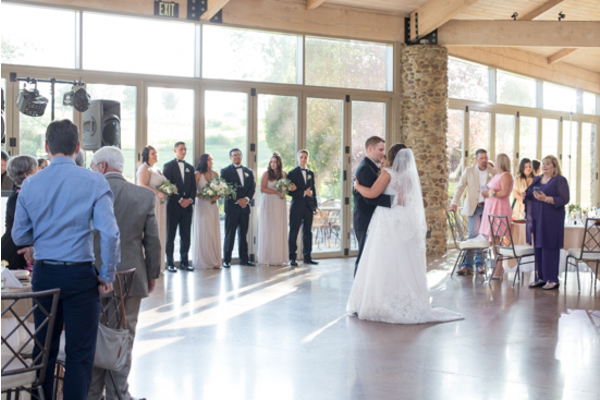 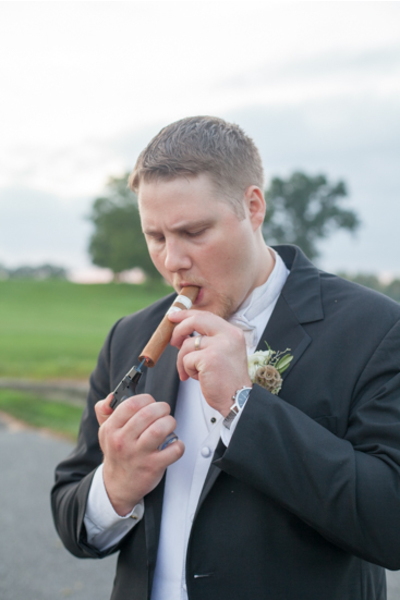 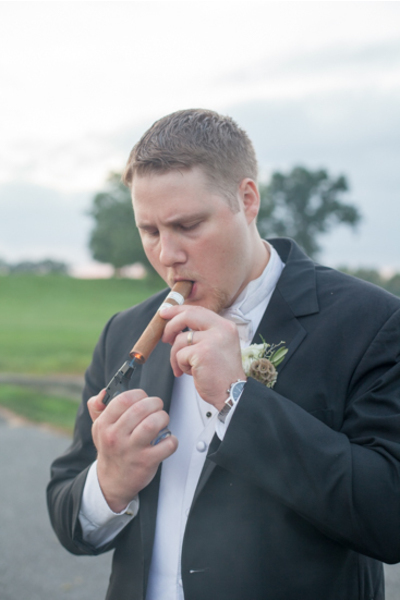 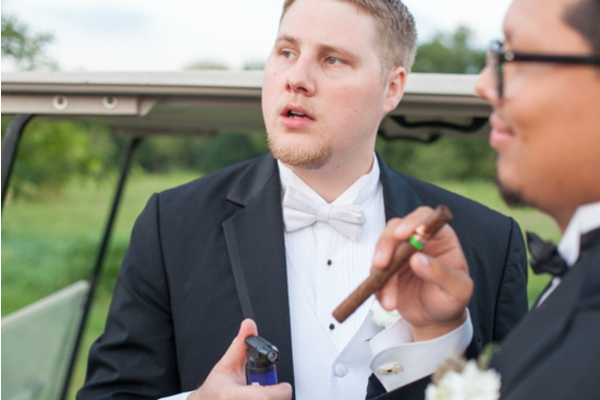 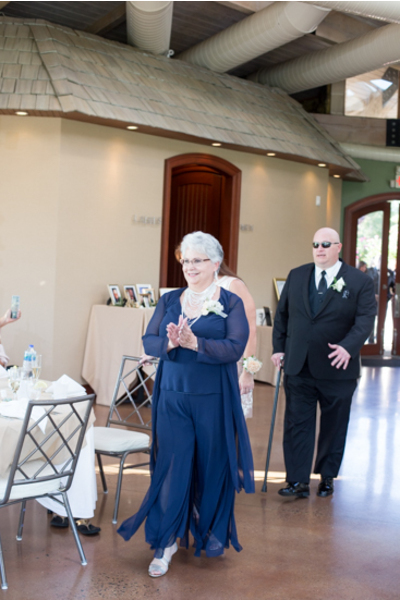 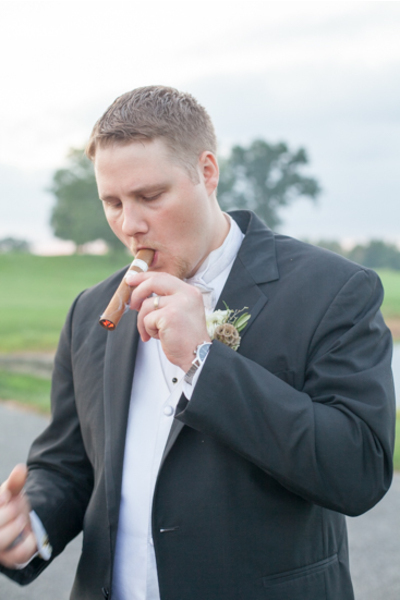 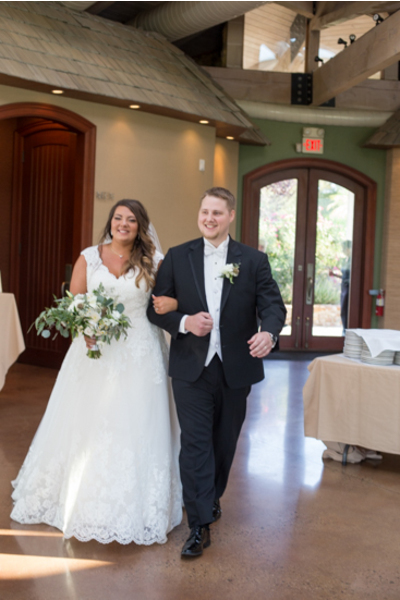 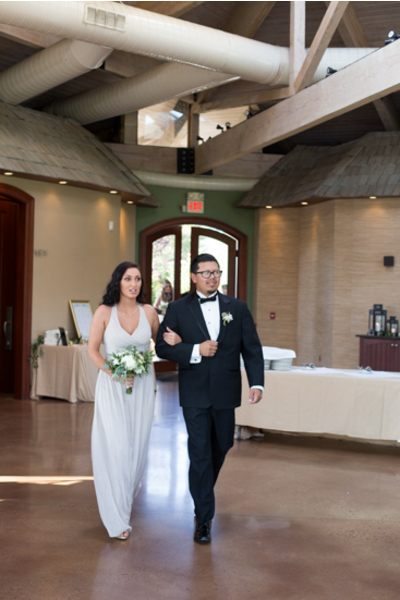 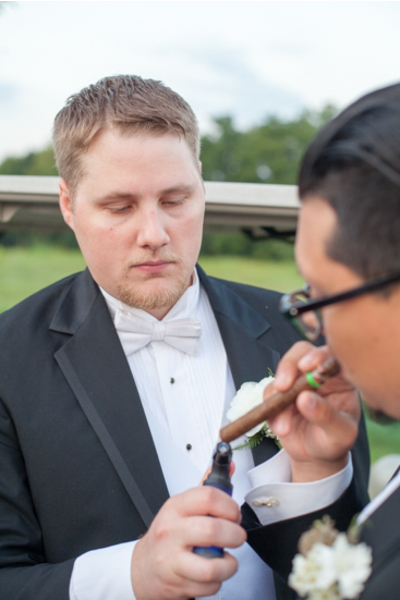 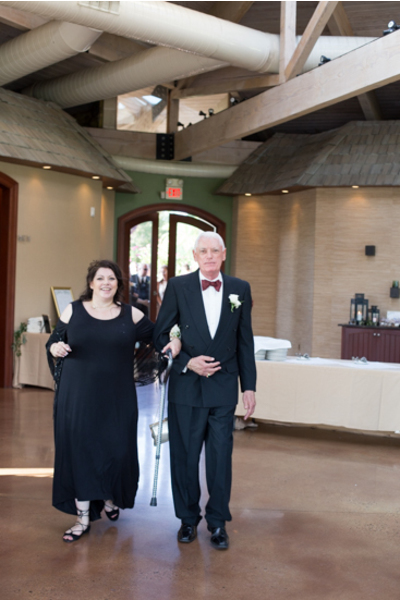 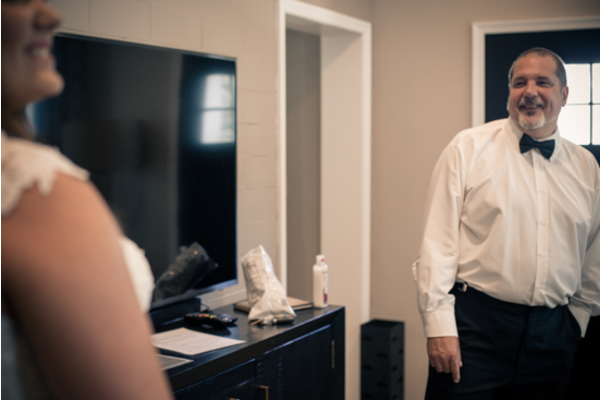 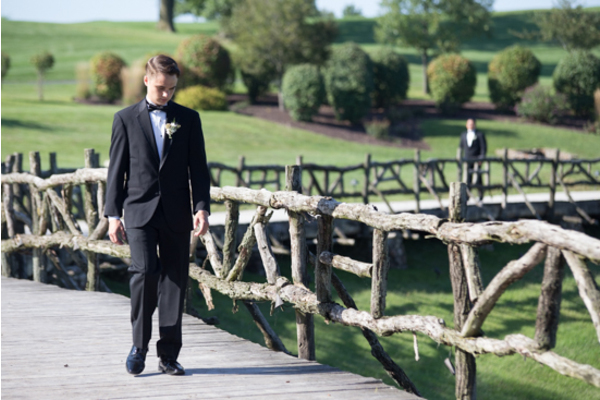 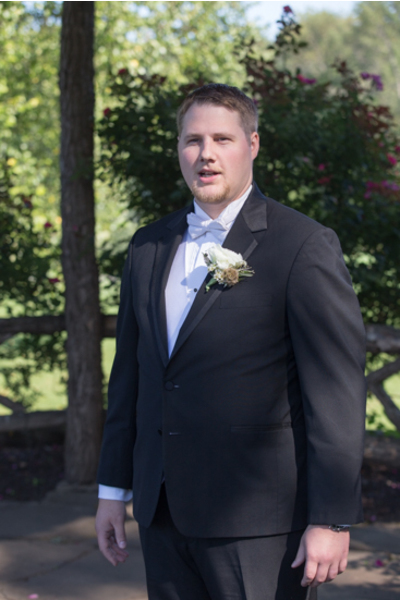 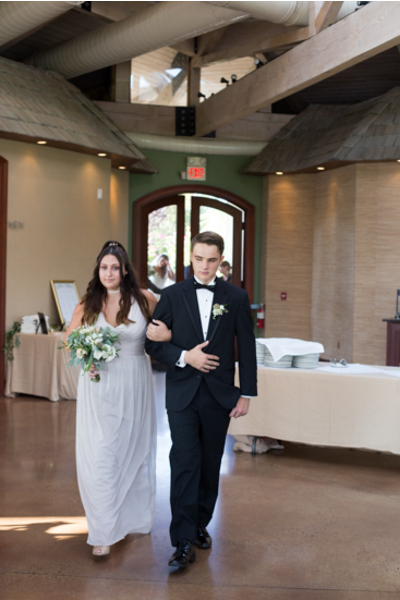 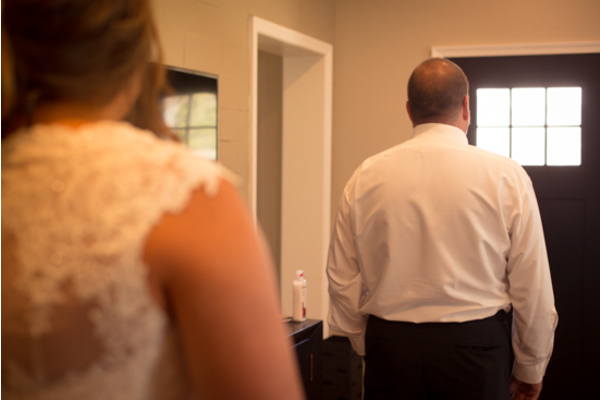 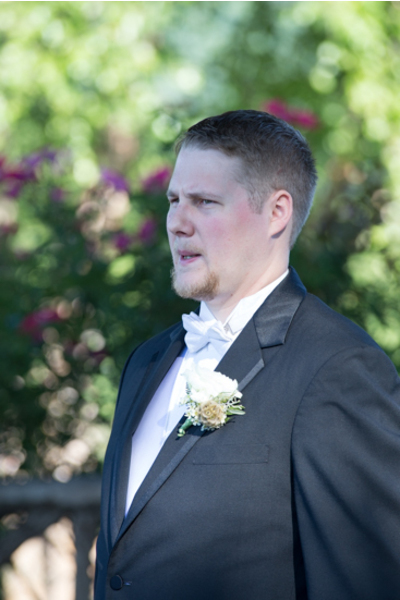 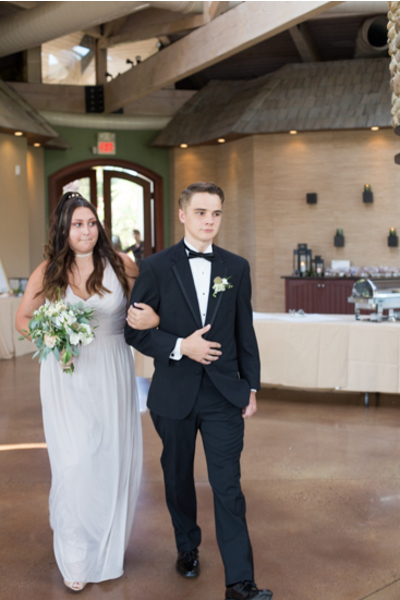 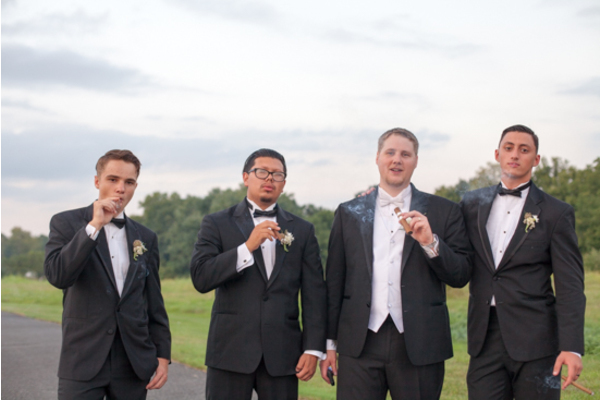 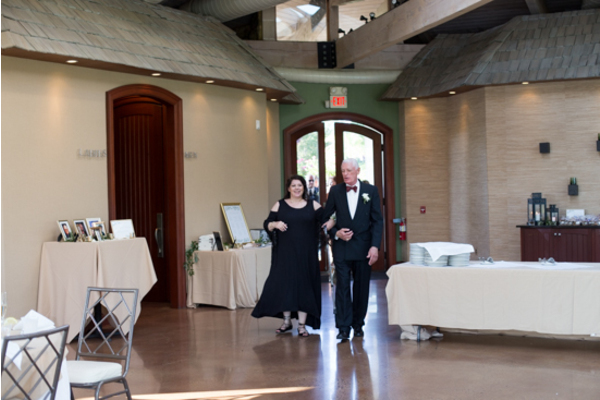 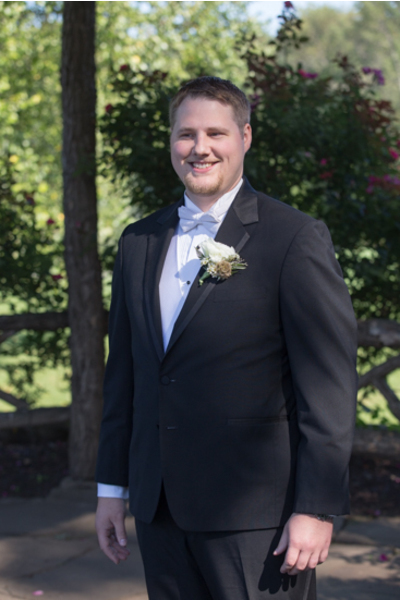 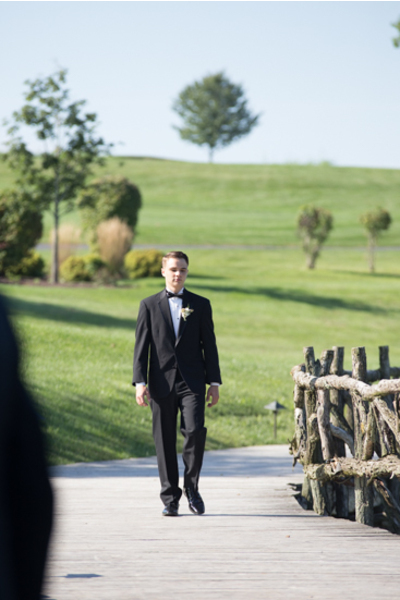 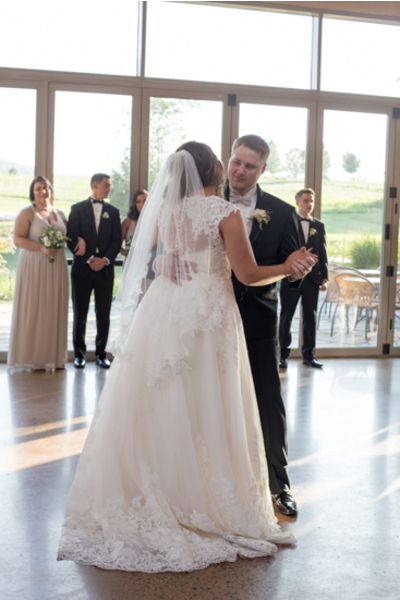 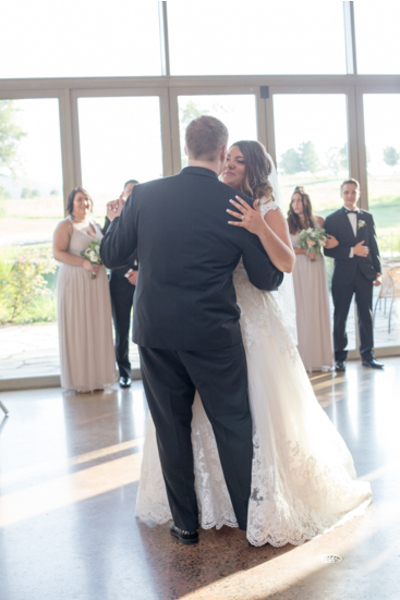 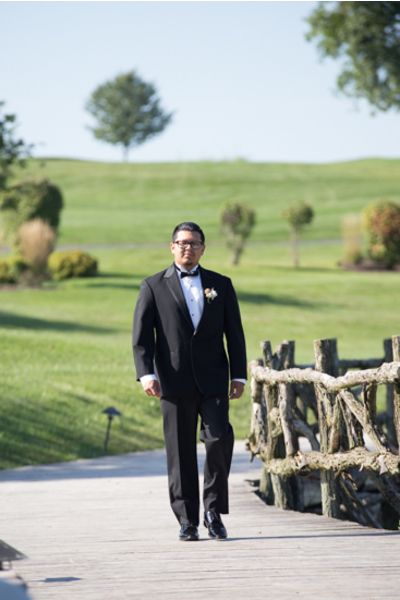 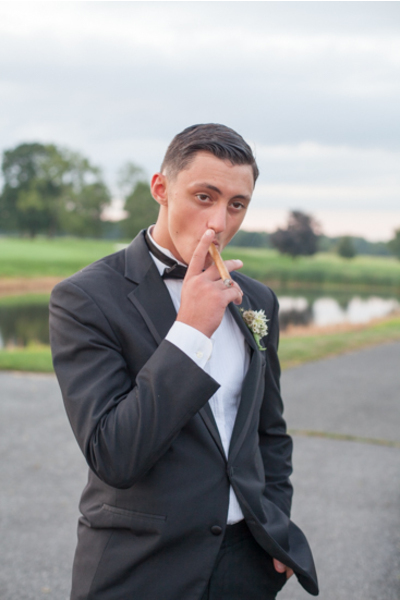 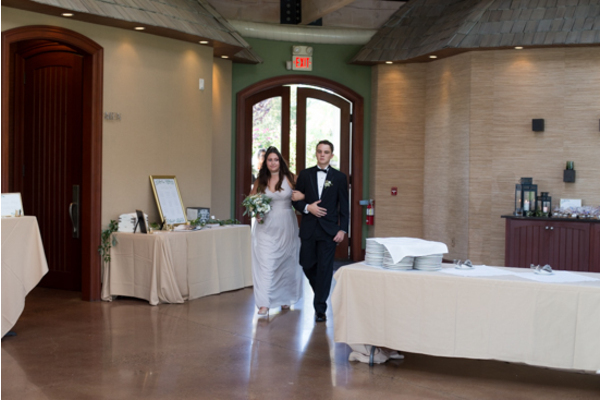 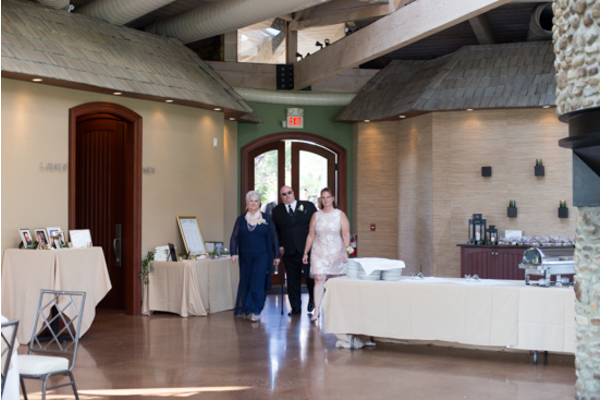 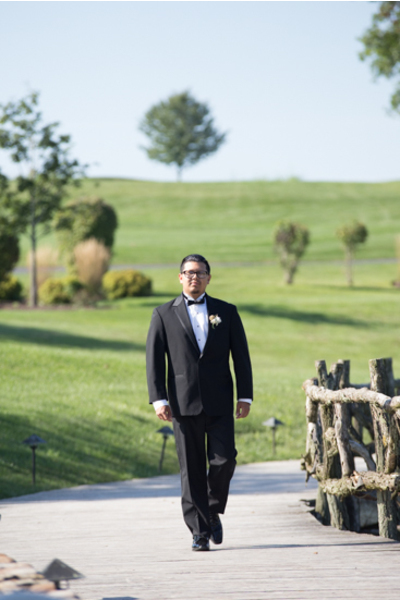 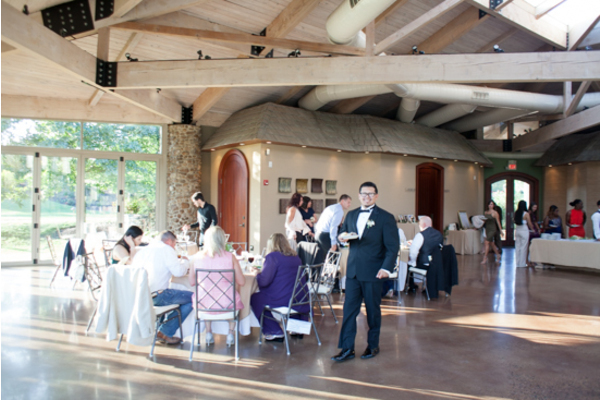 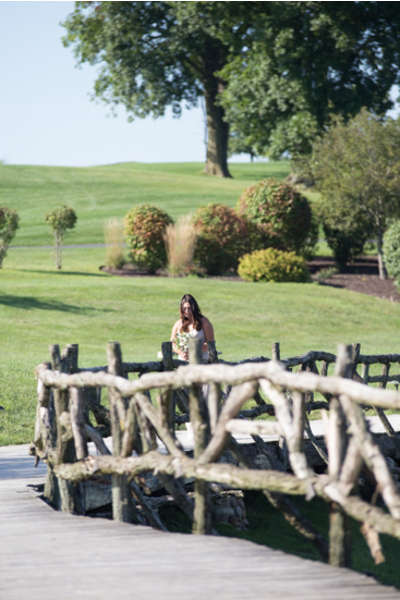 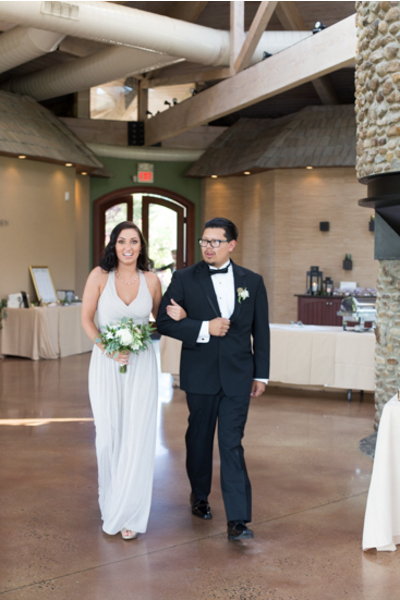 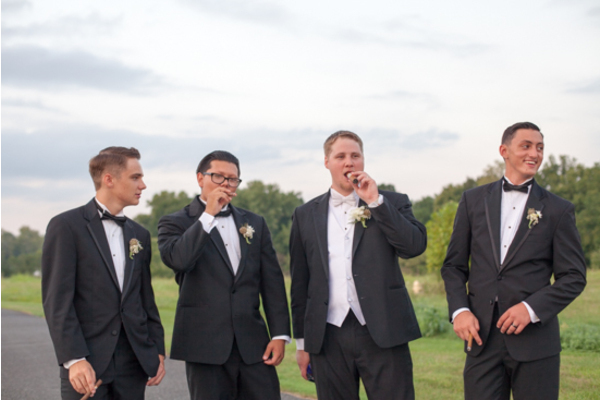 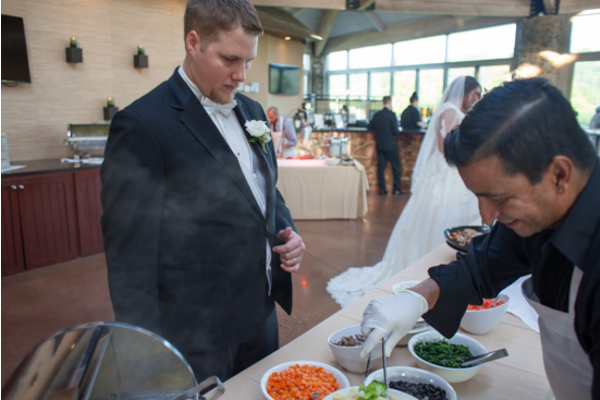 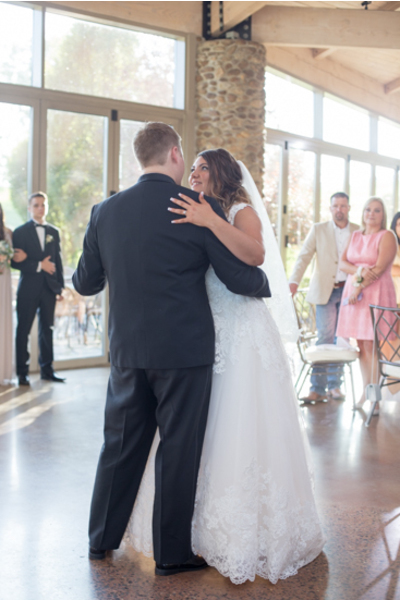 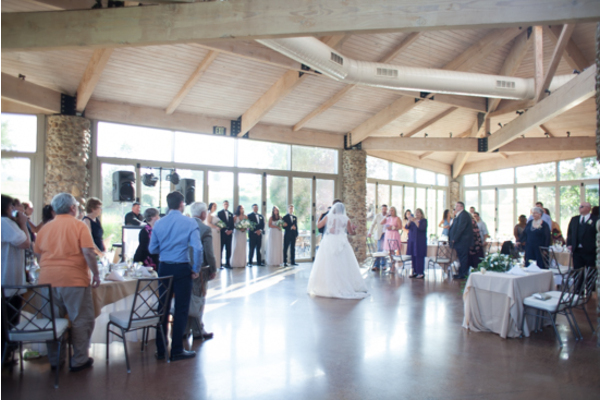 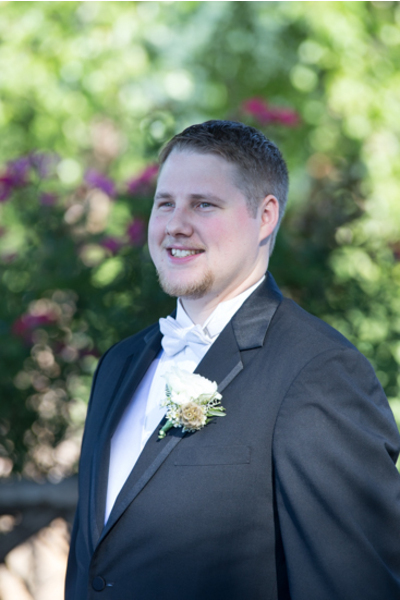 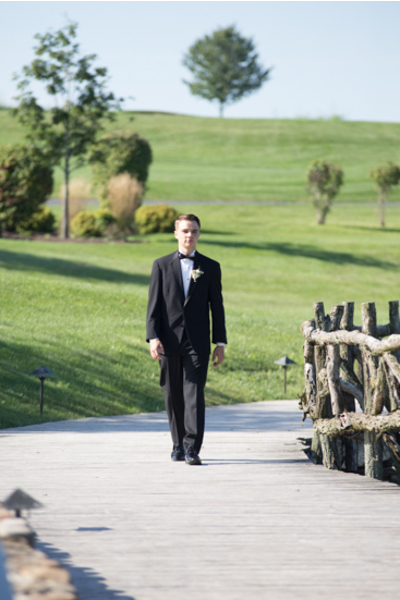 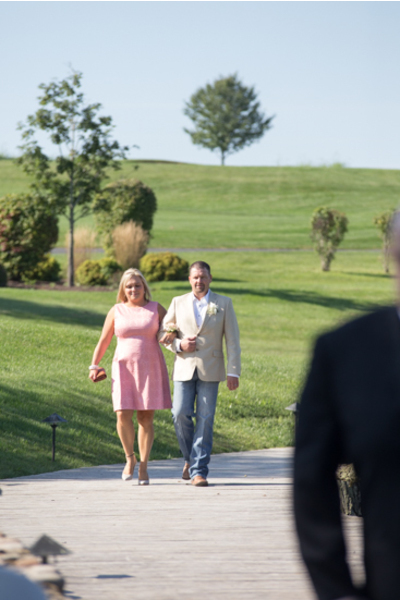 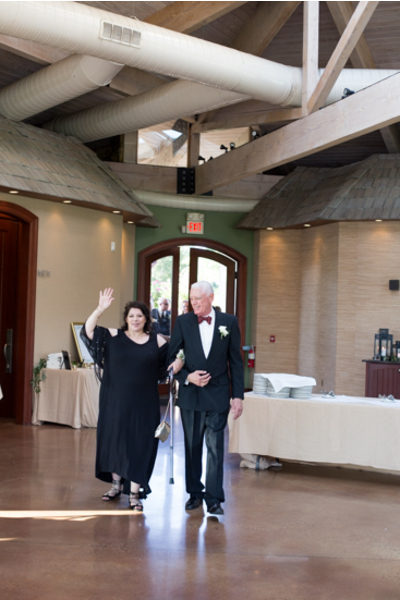 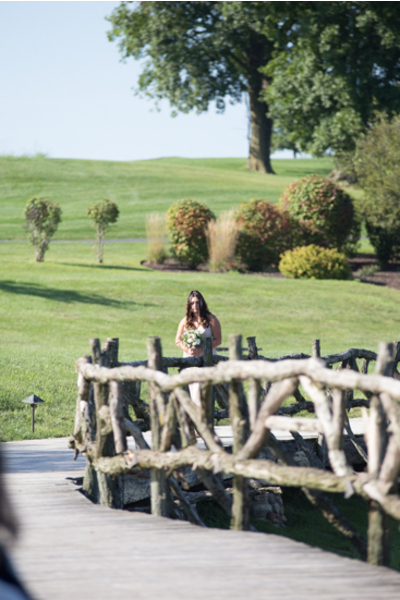 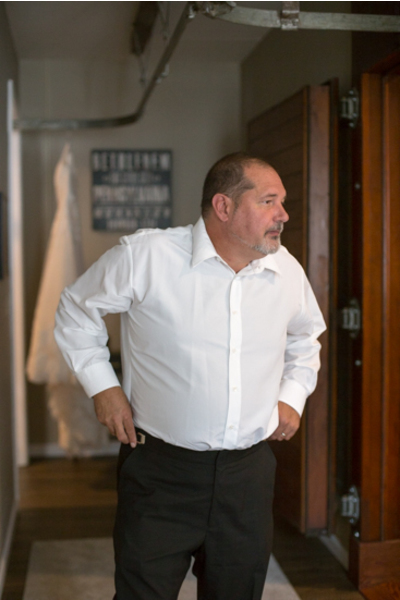 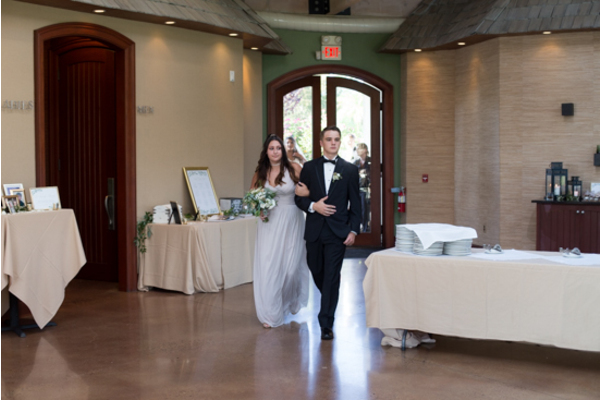 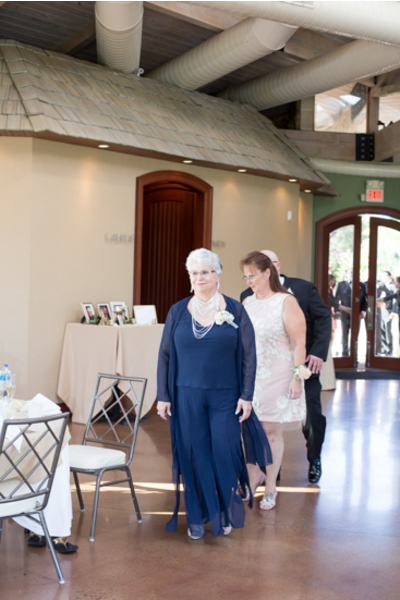 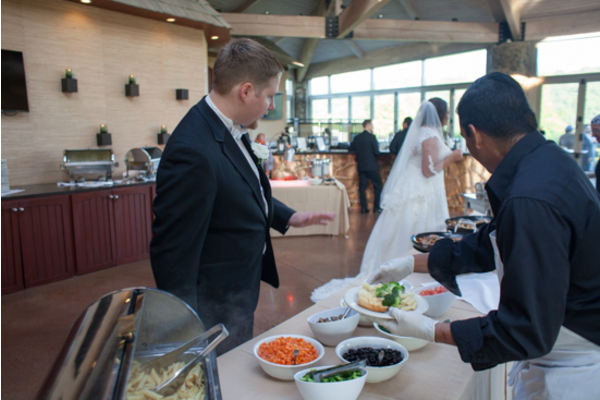 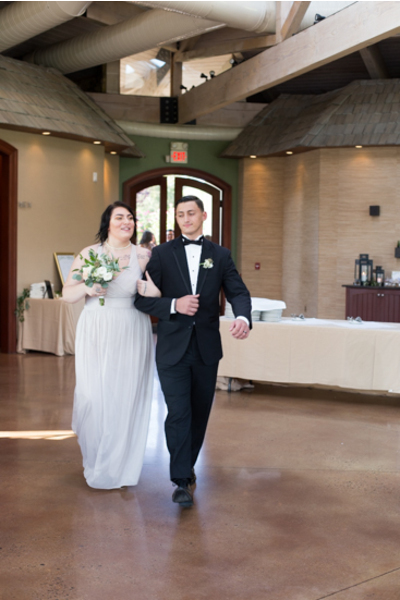 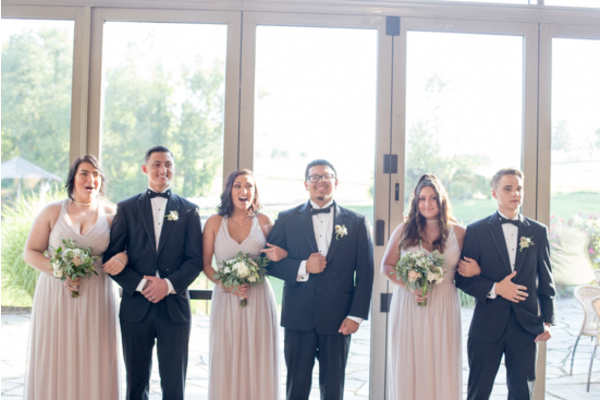 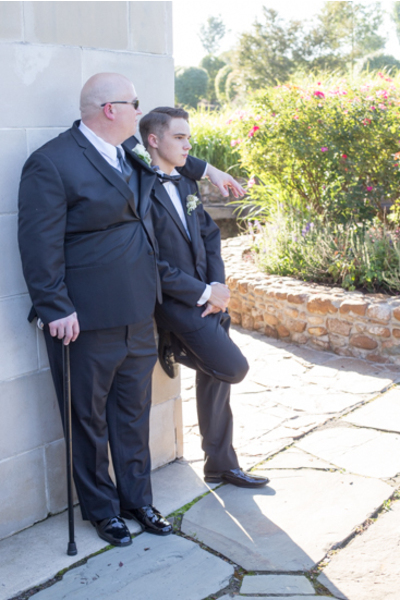 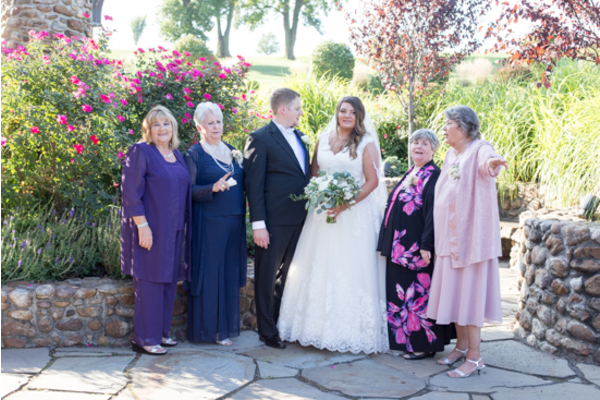 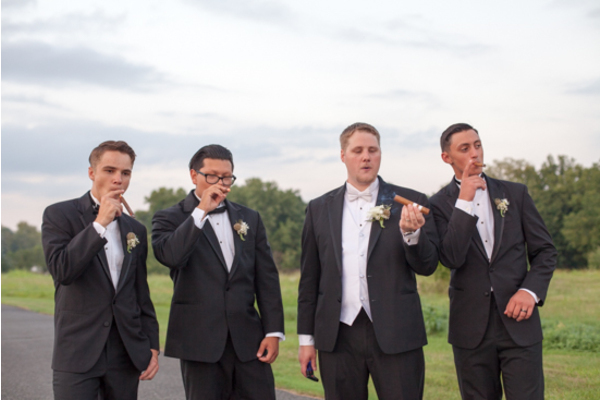 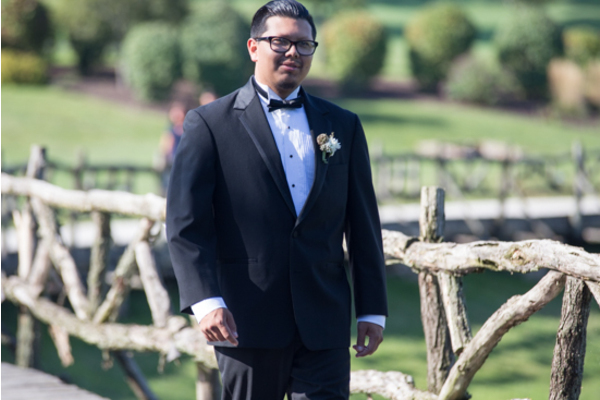 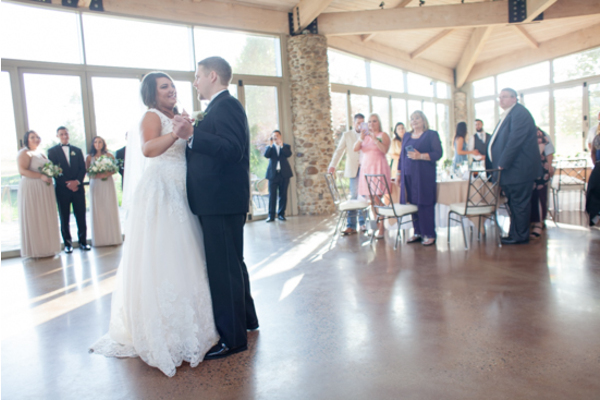 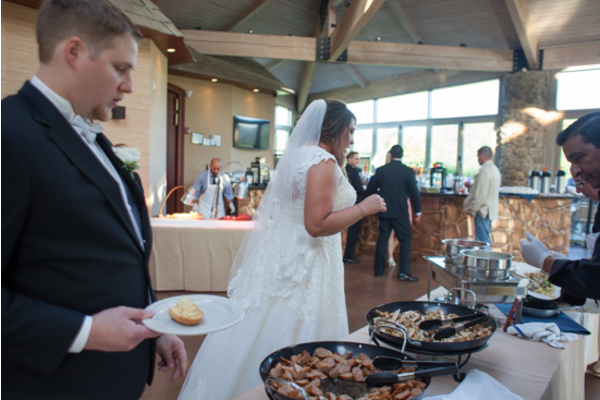 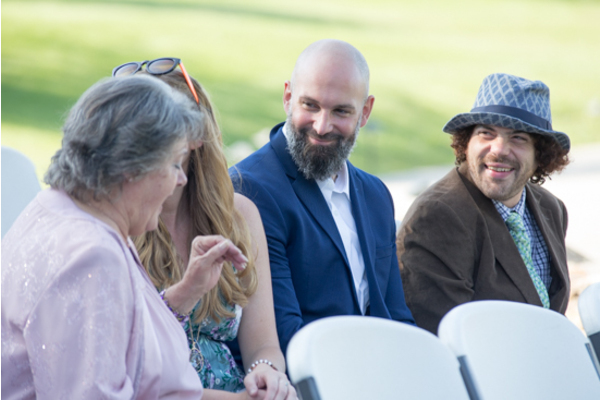 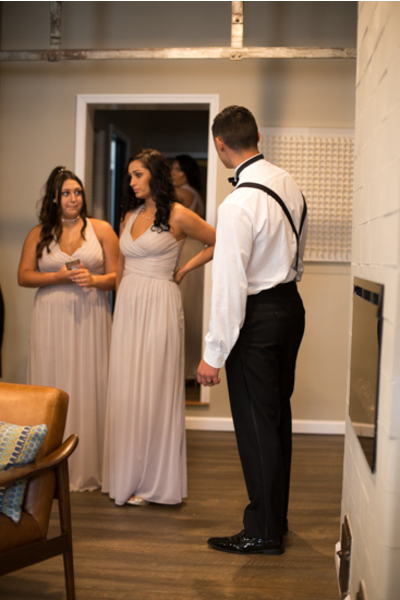 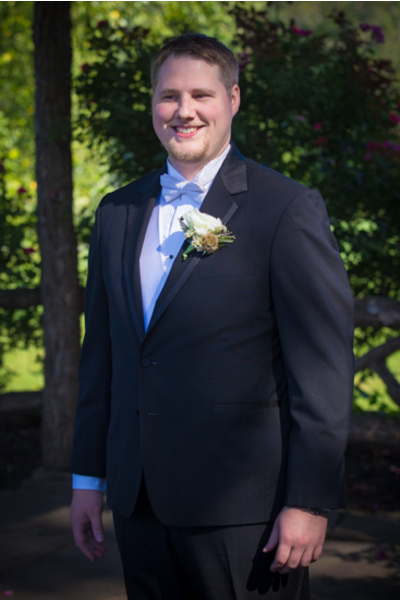 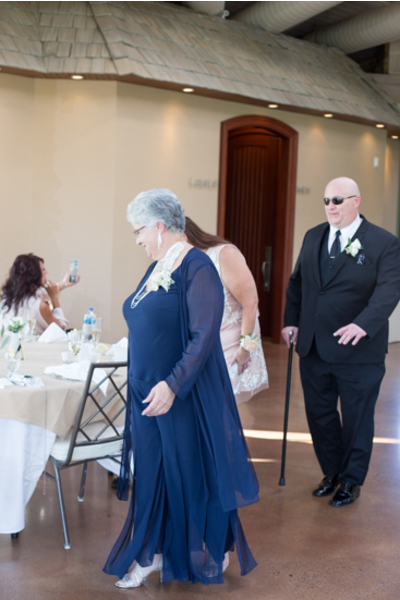 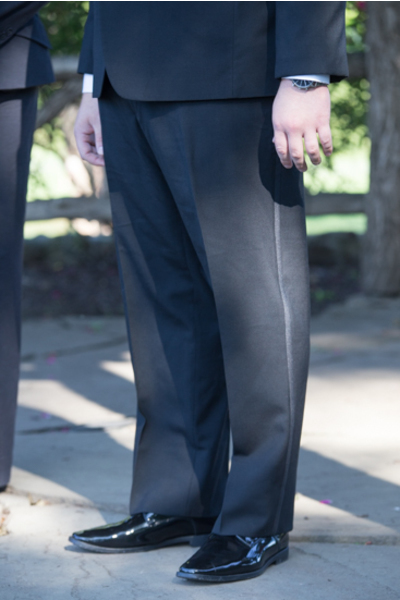 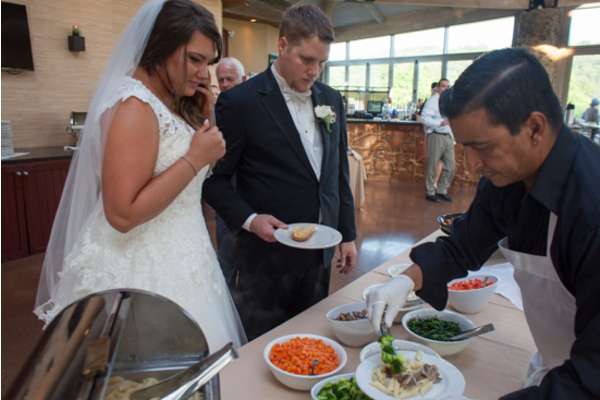 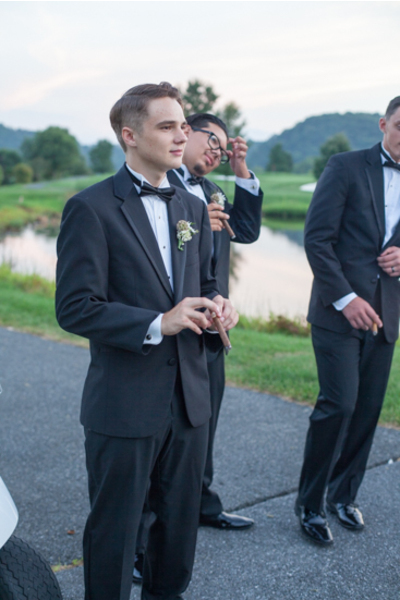 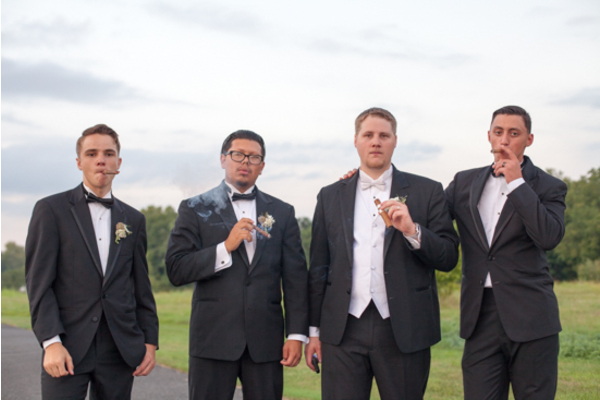 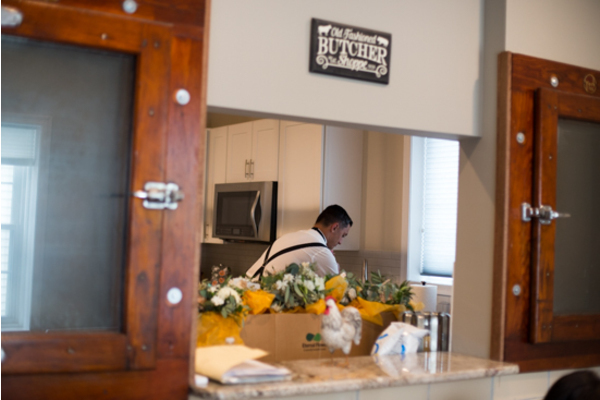 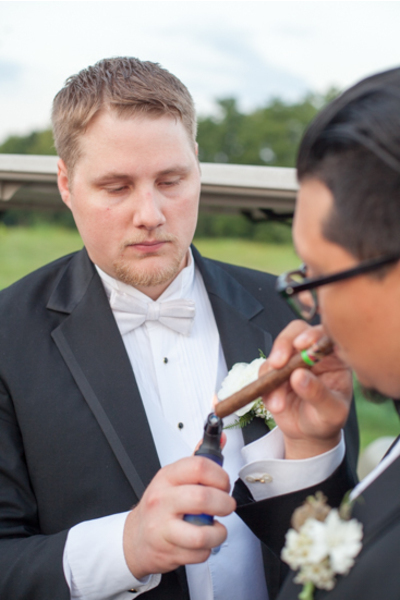 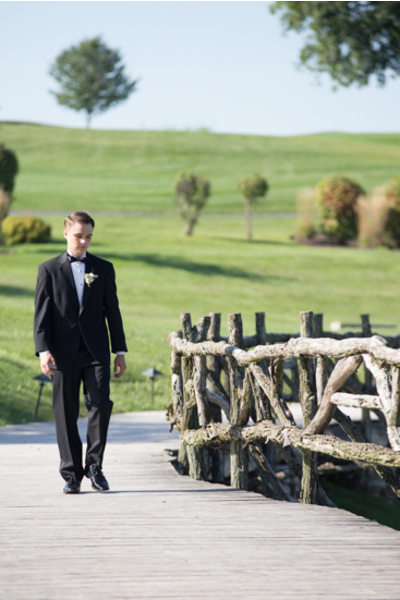 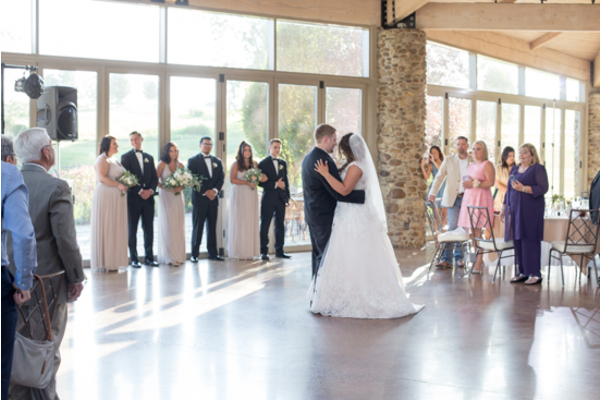 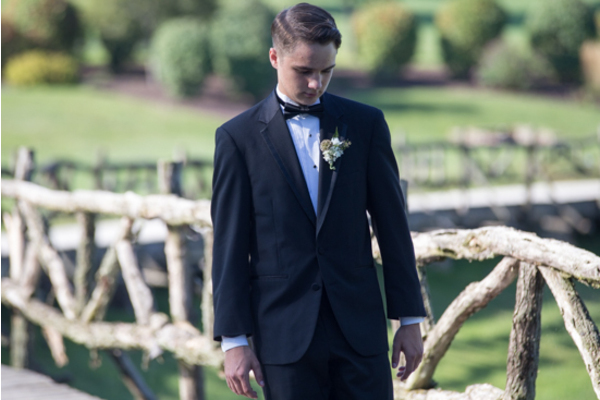 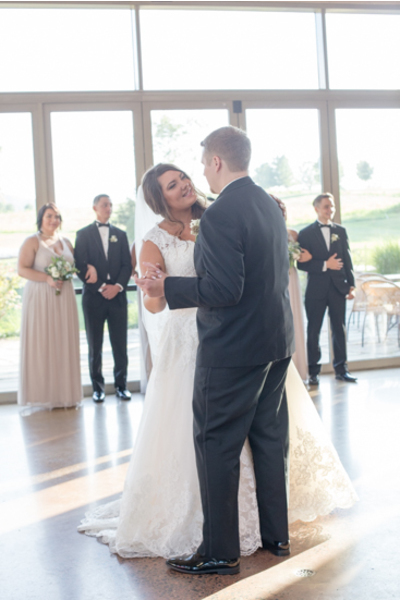 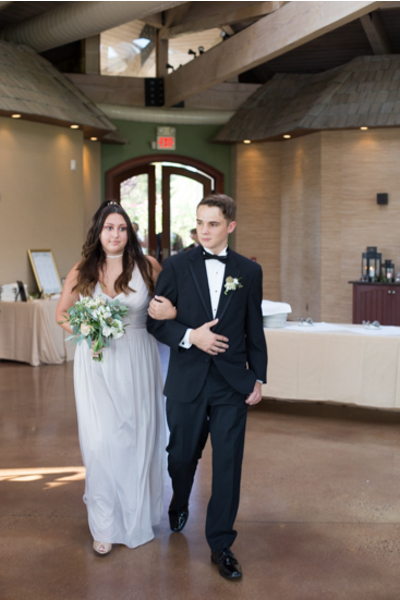 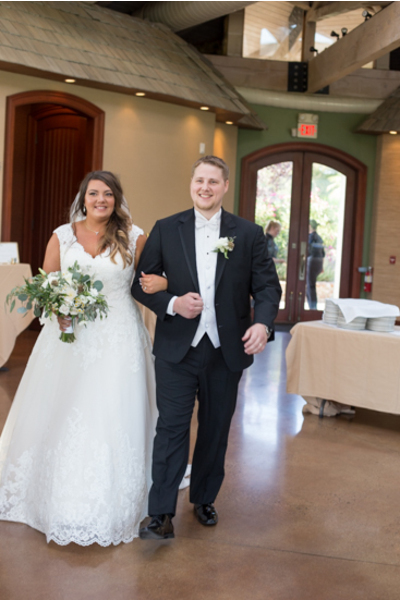 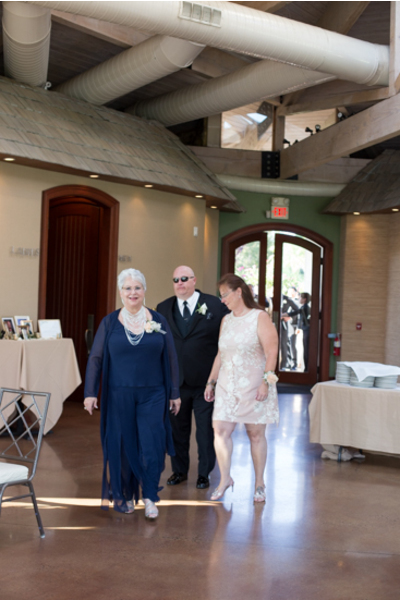 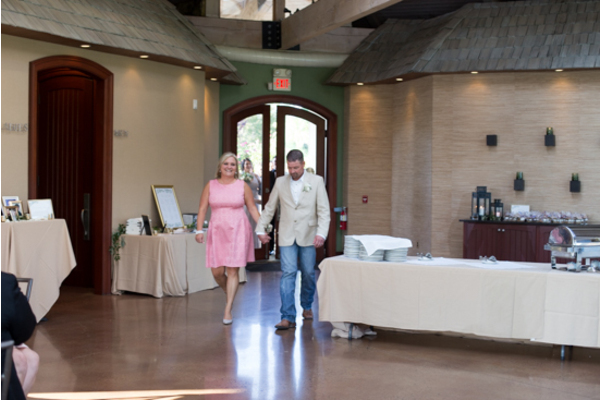 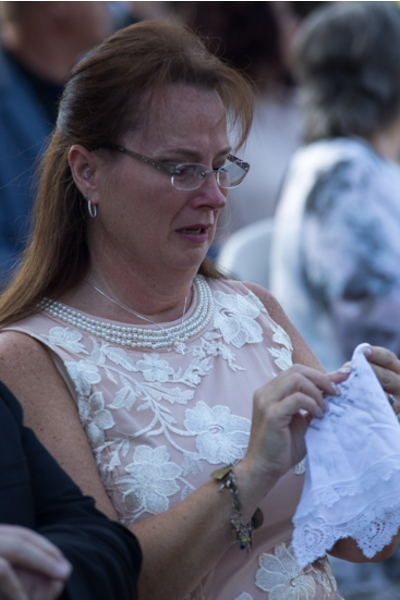 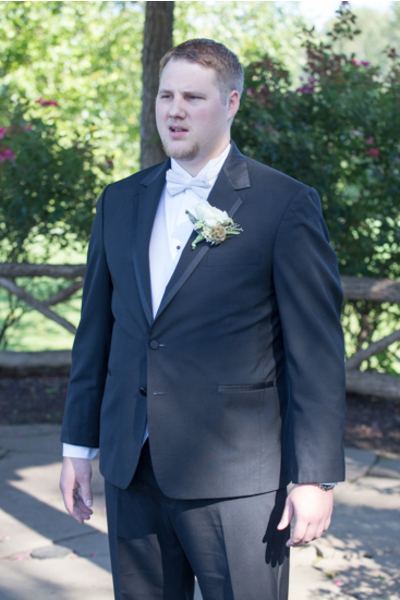 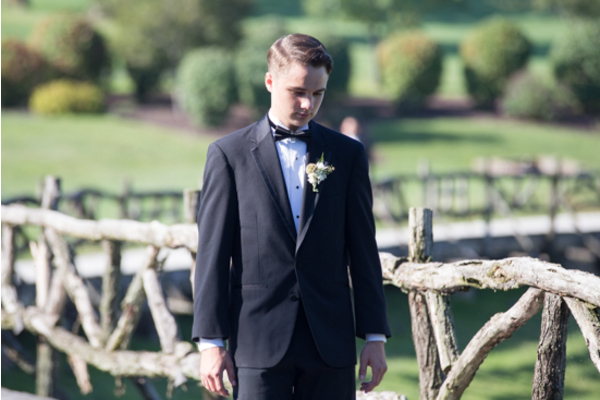 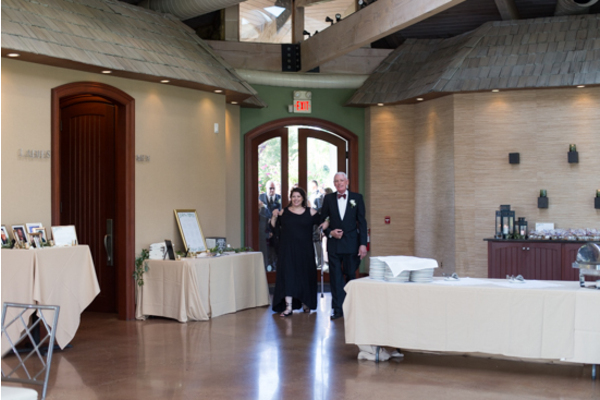 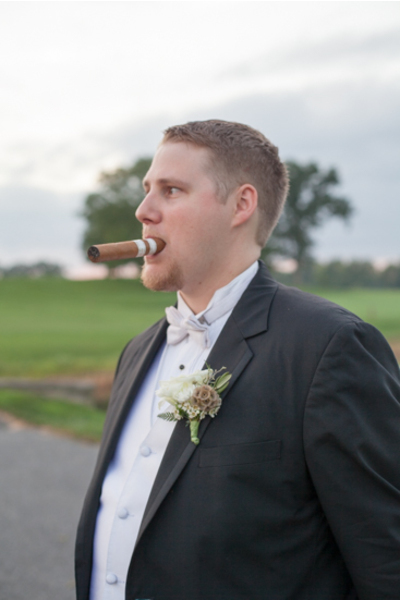 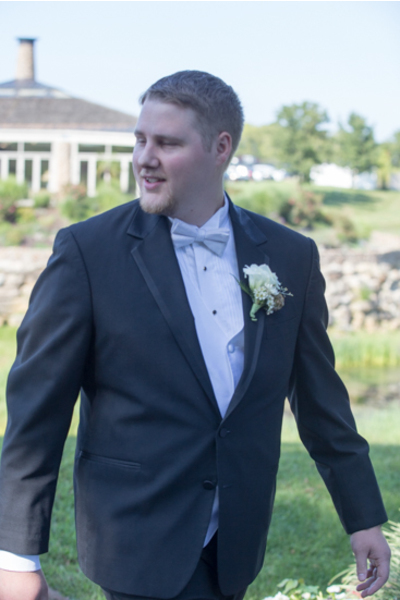 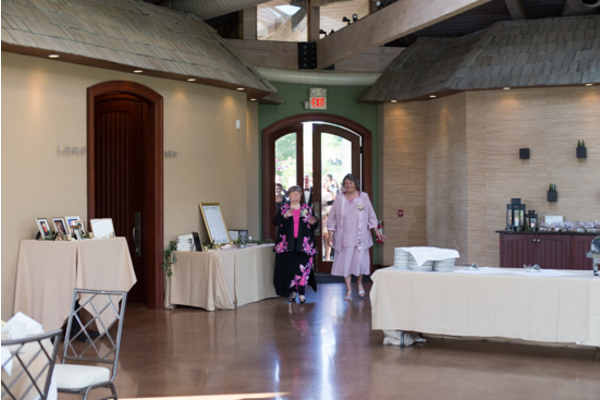 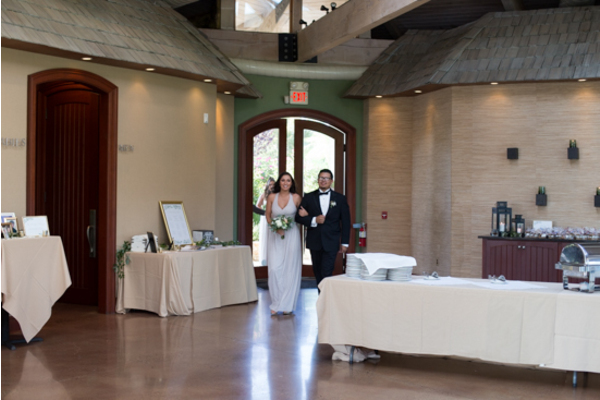 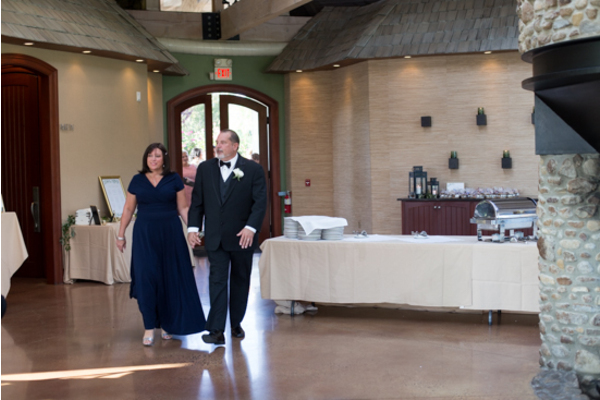 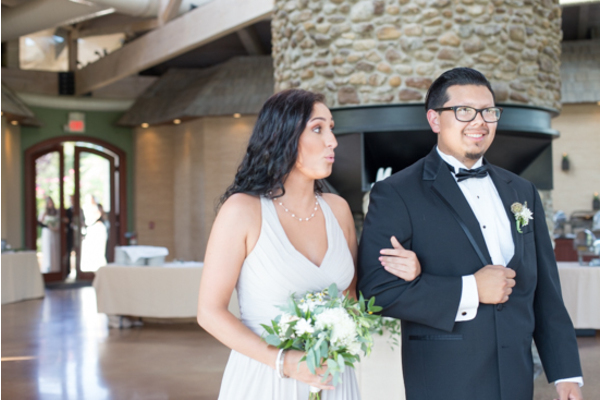 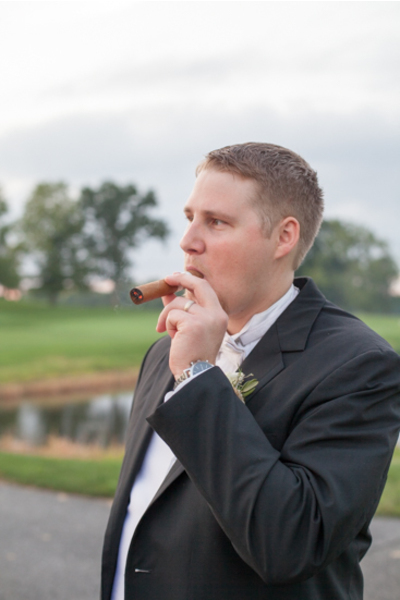 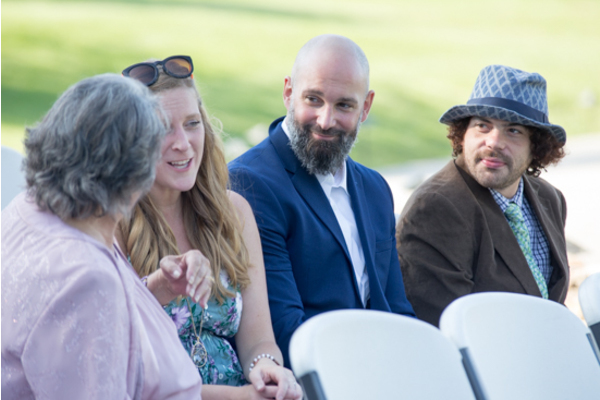 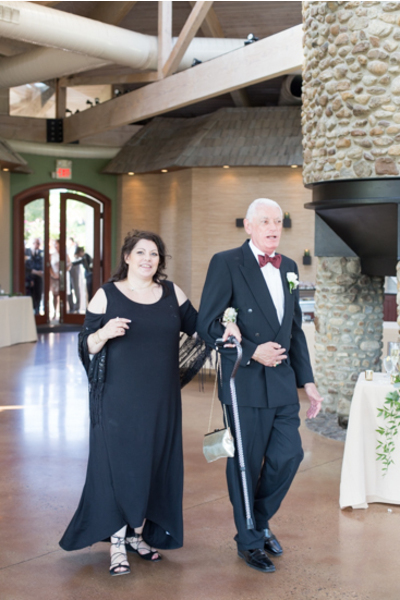 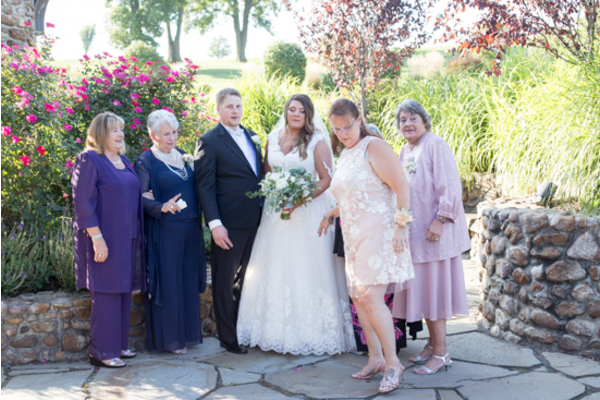 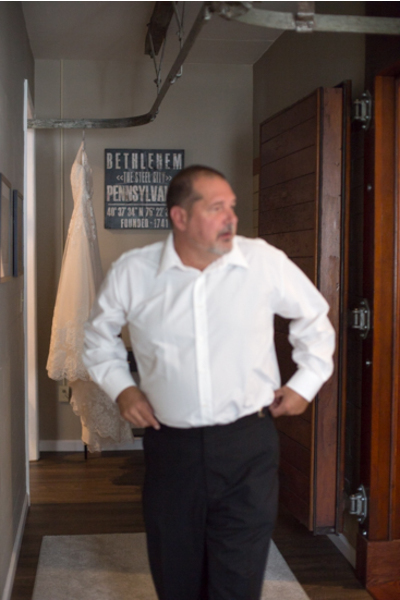 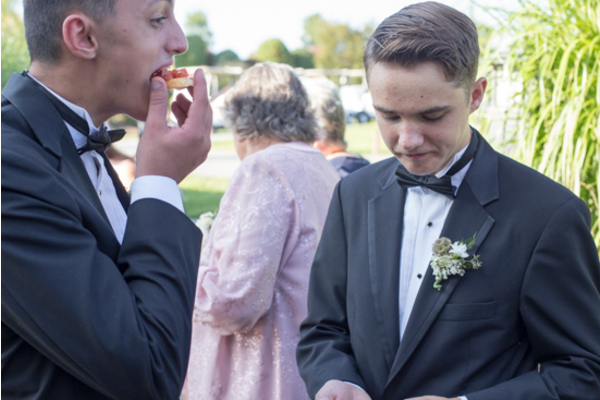 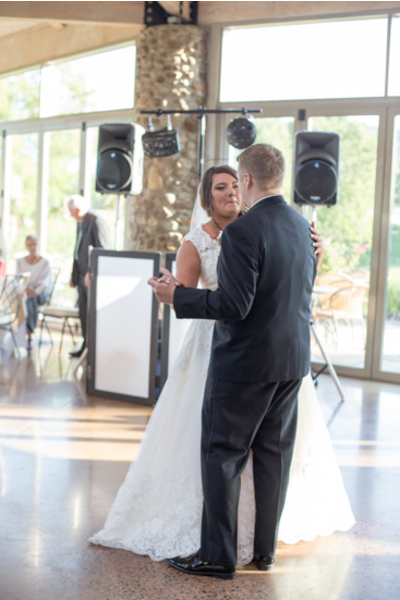 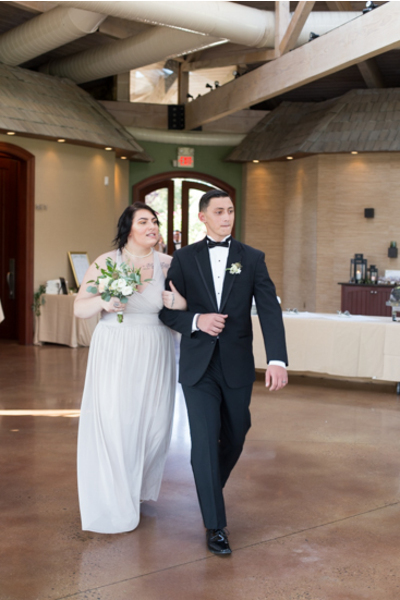 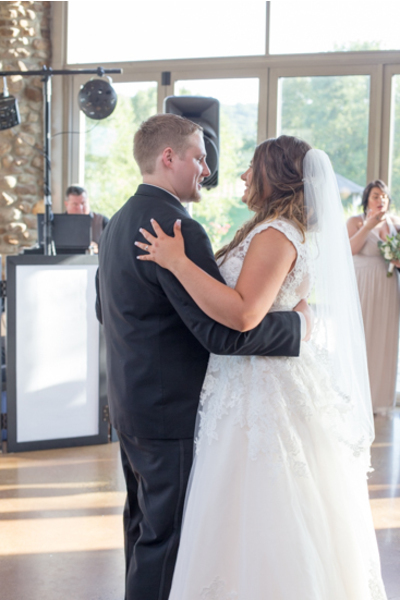 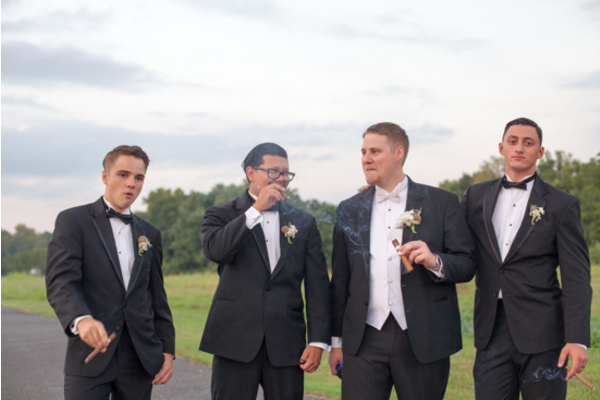 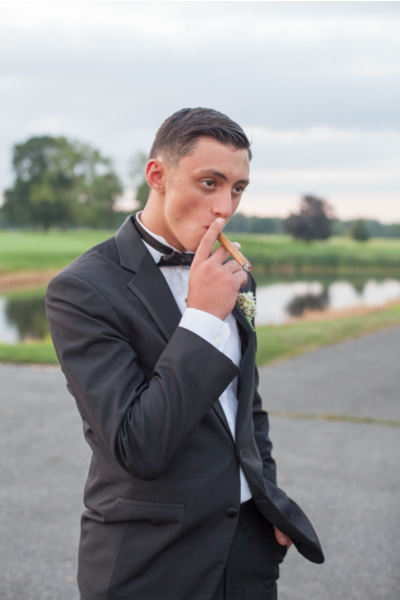 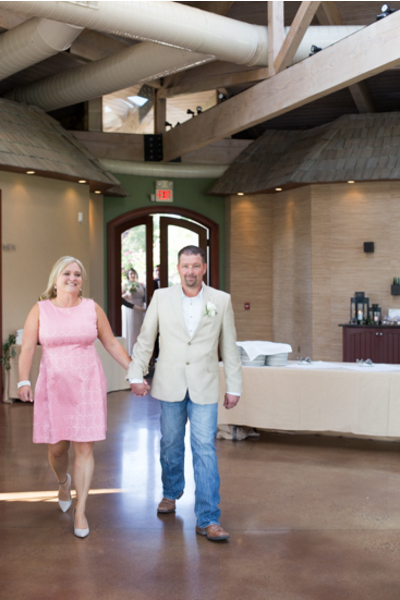 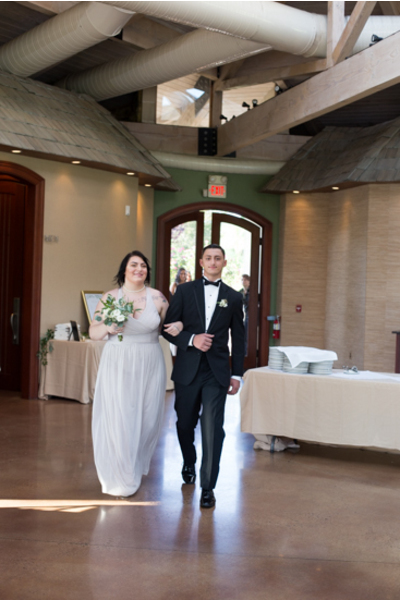 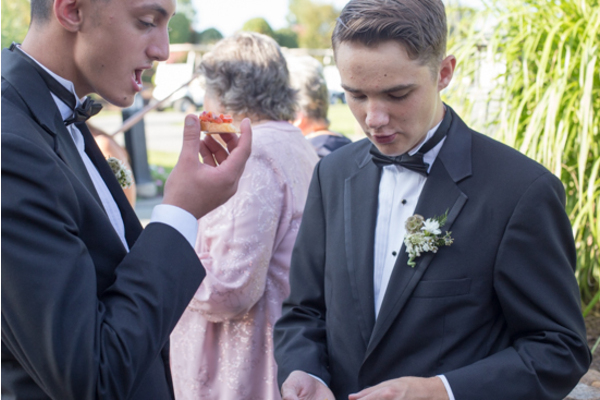 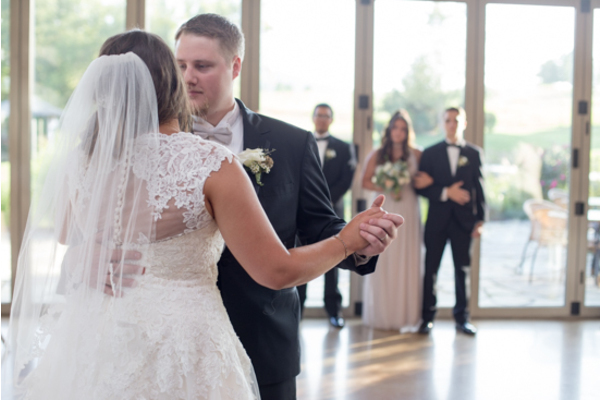 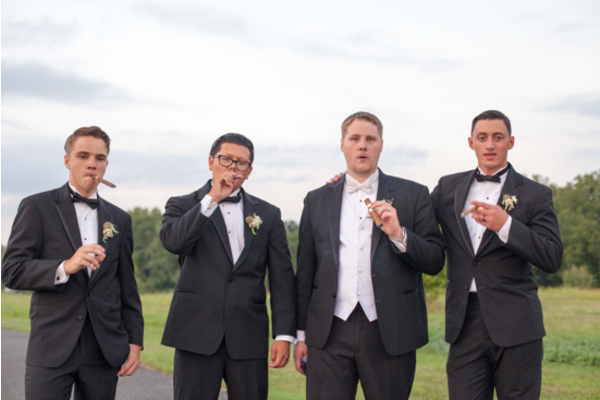 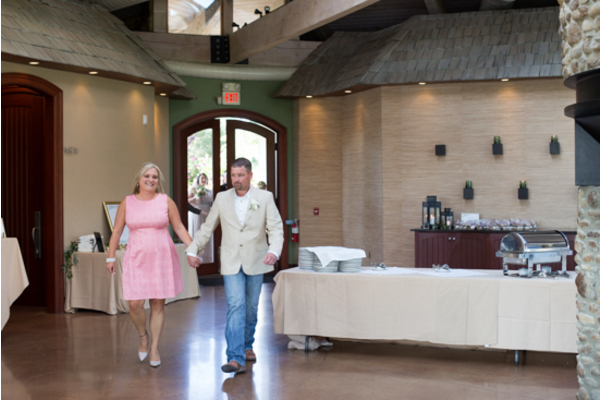 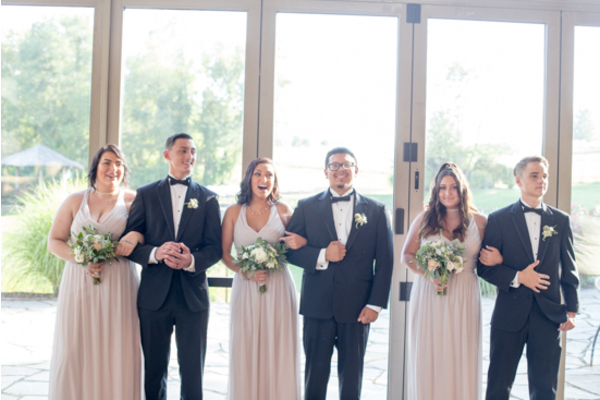 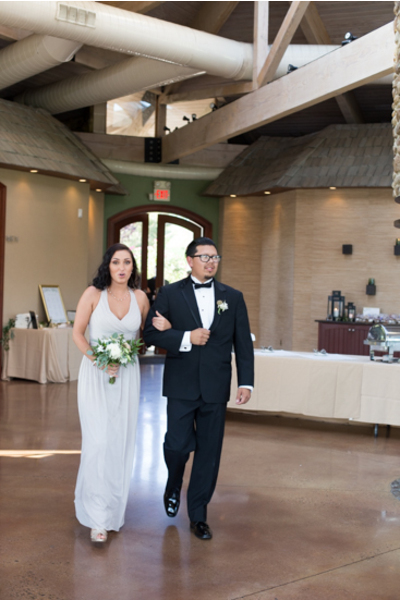 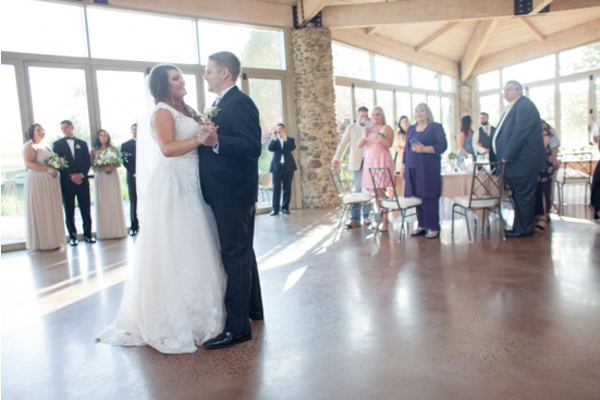 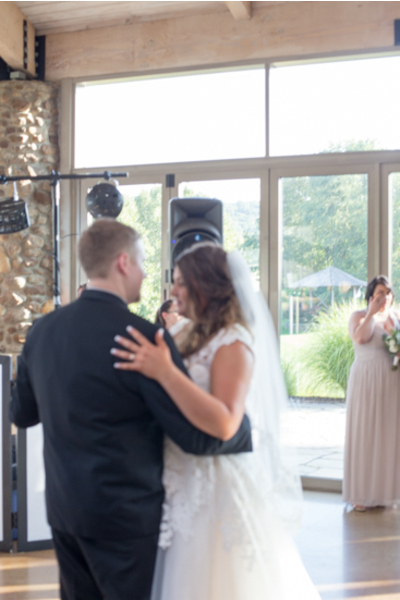 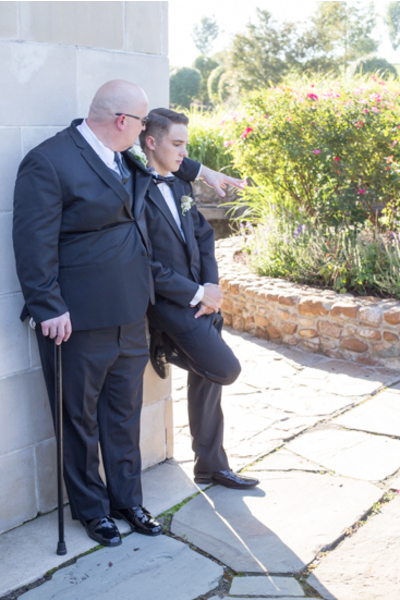 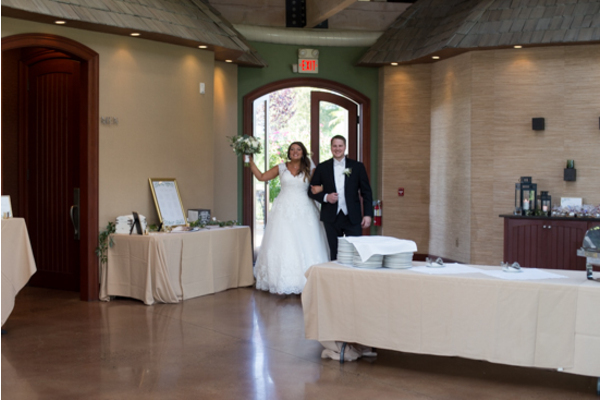 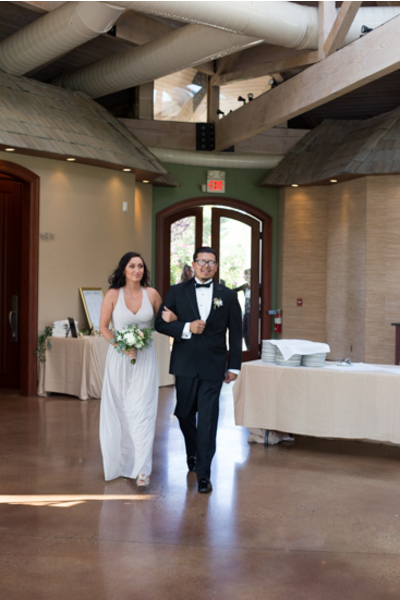 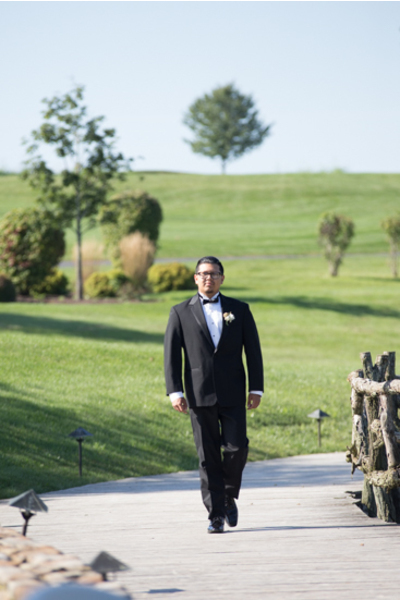 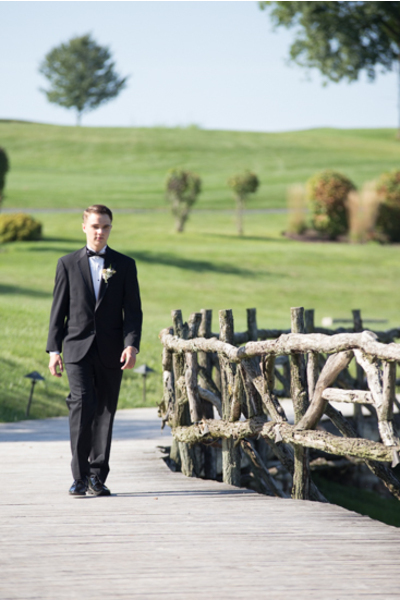 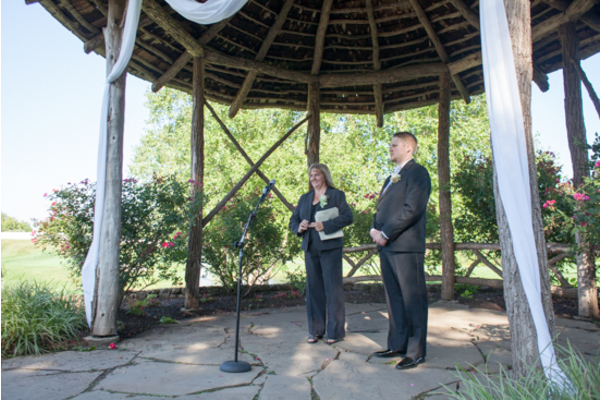 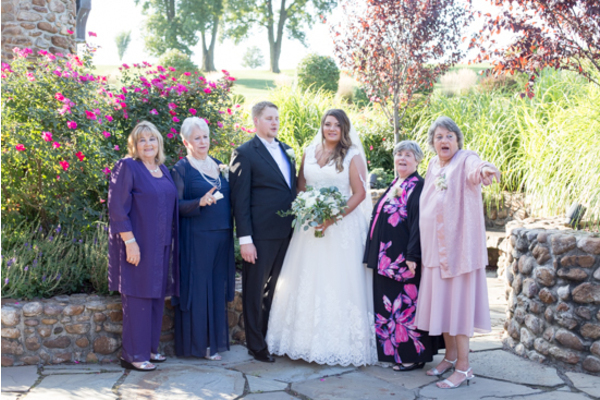 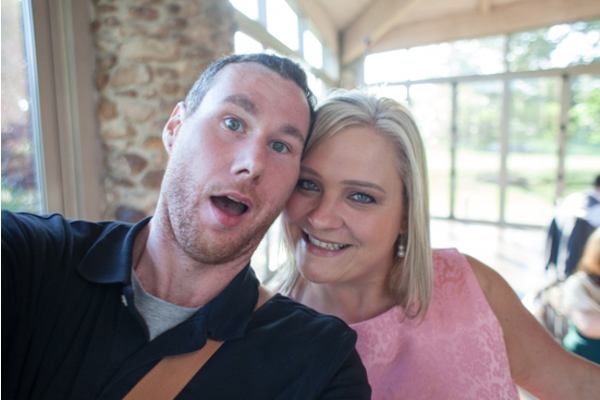 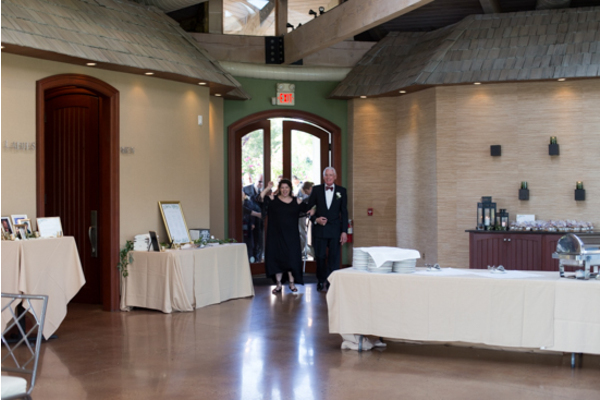 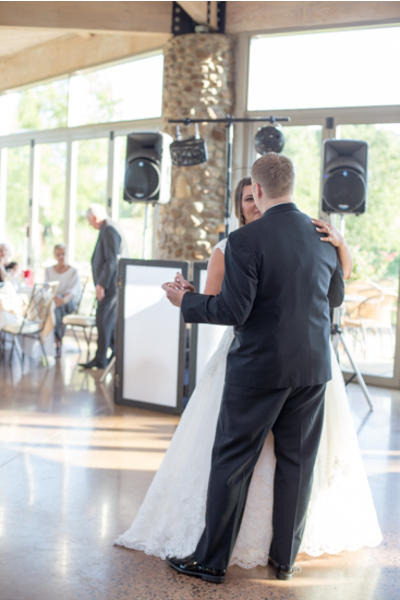 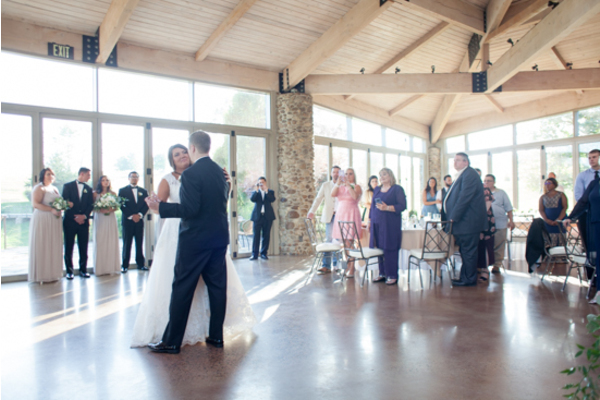 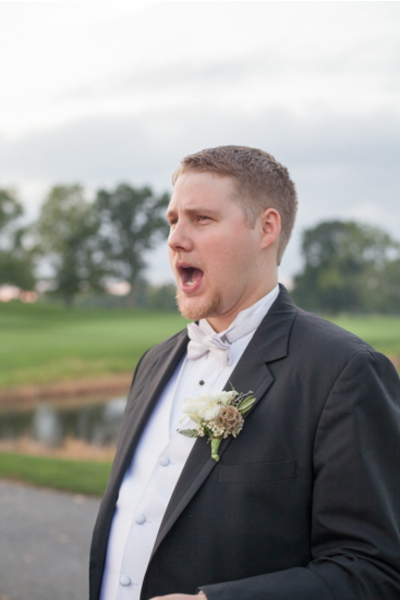 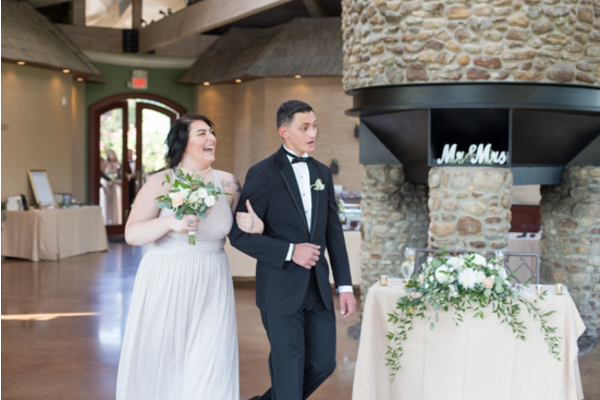 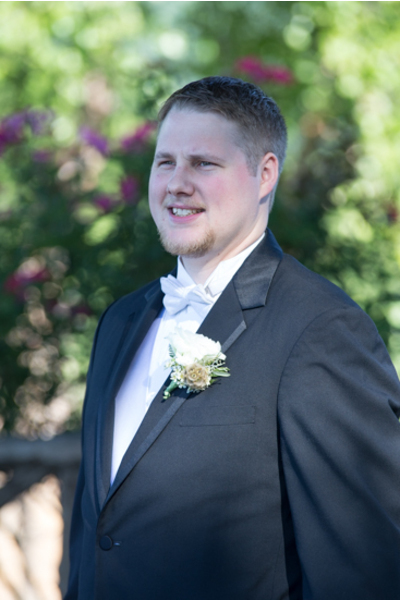 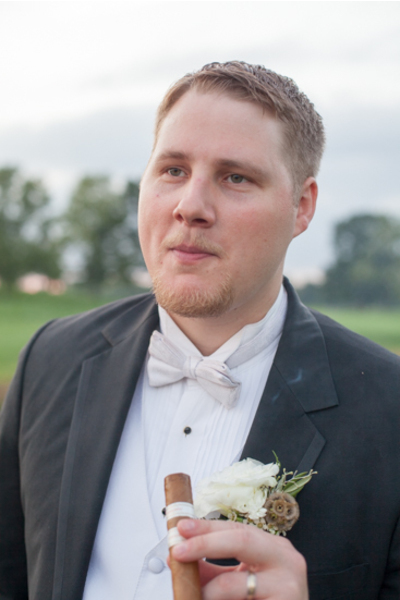 Tyler’s face said it all as Shannon walked down the aisle which was all photographed by our PA Wedding Photographer! 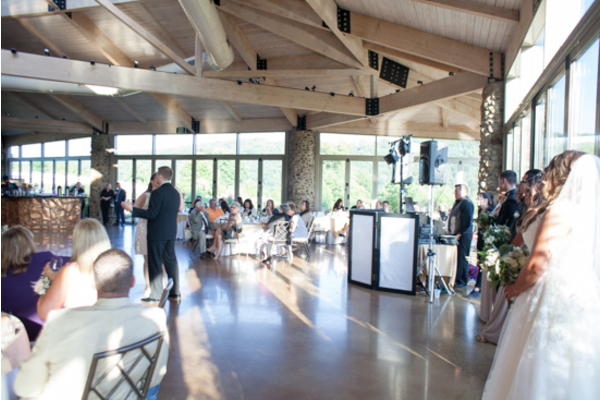 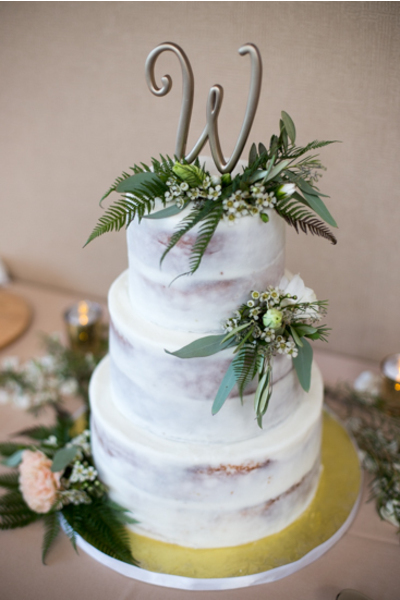 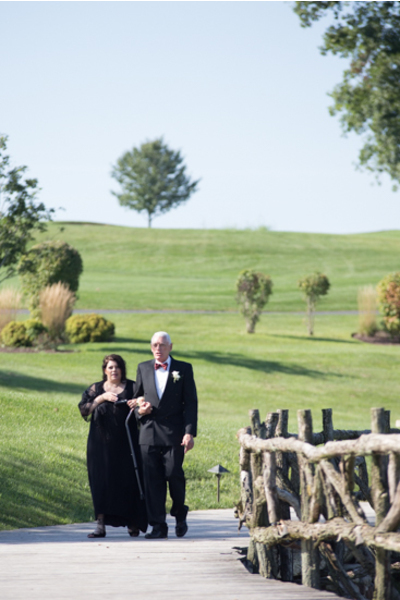 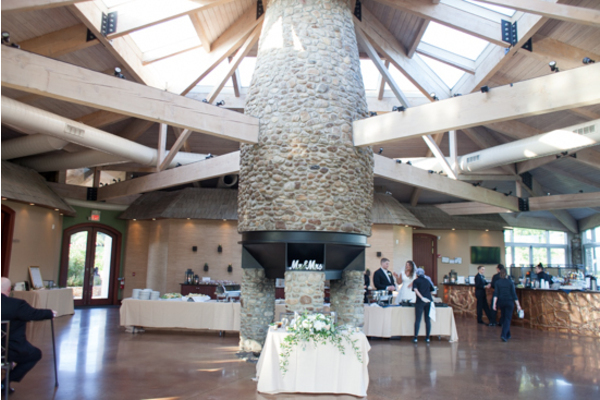 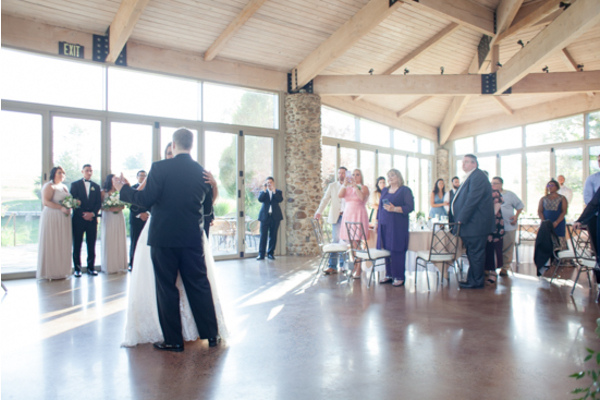 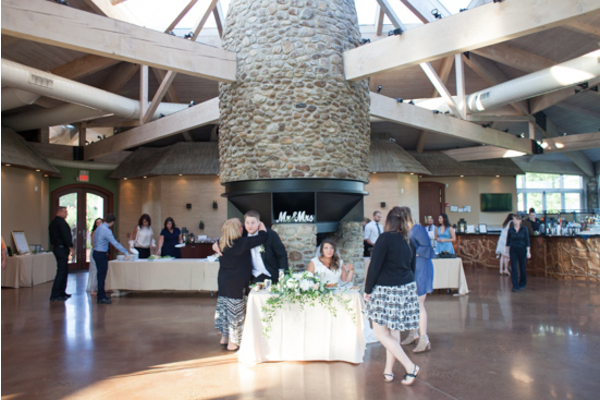 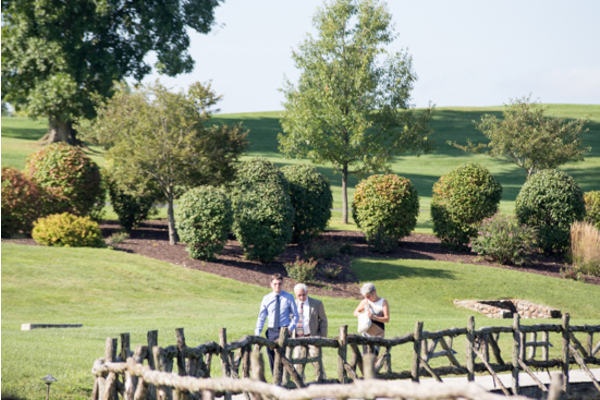 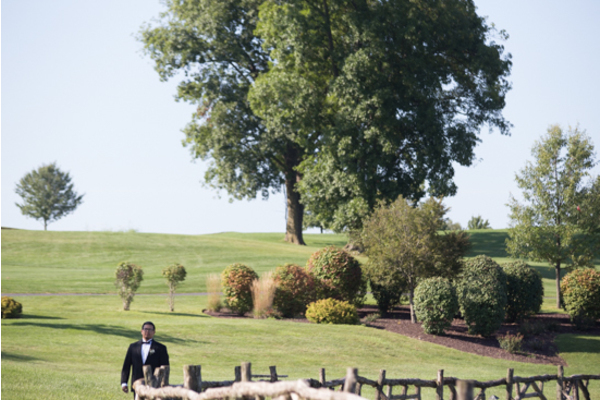 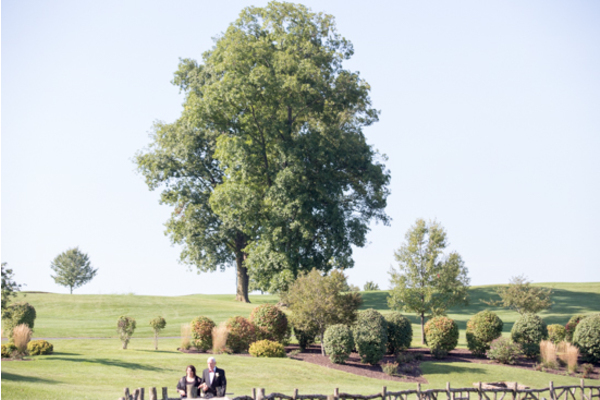 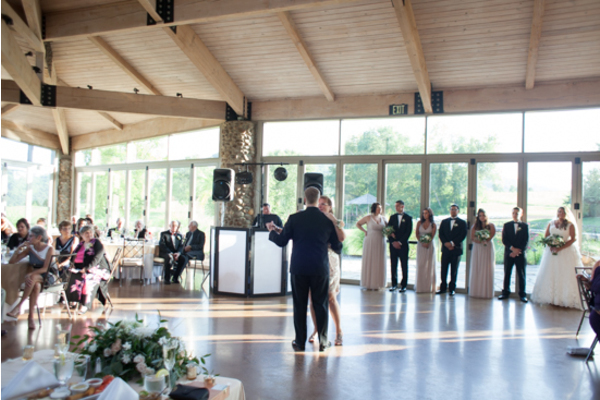 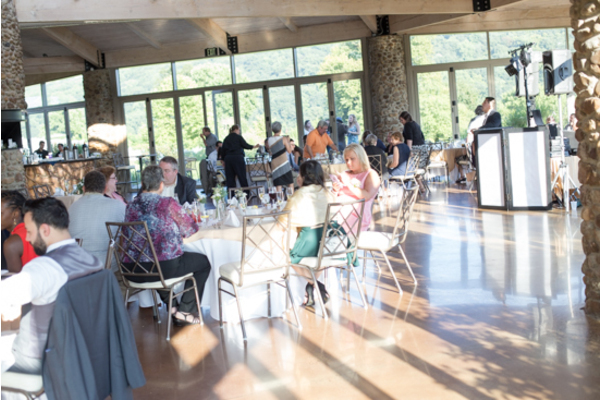 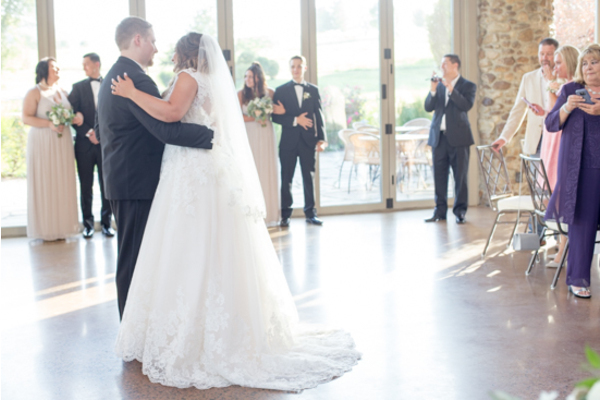 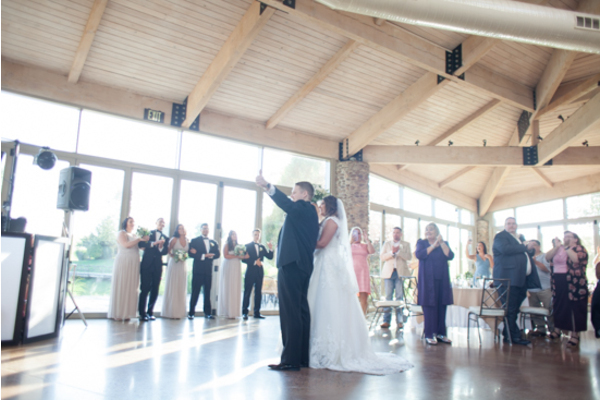 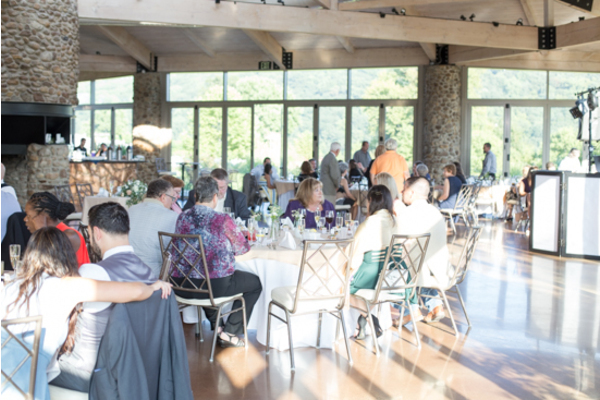 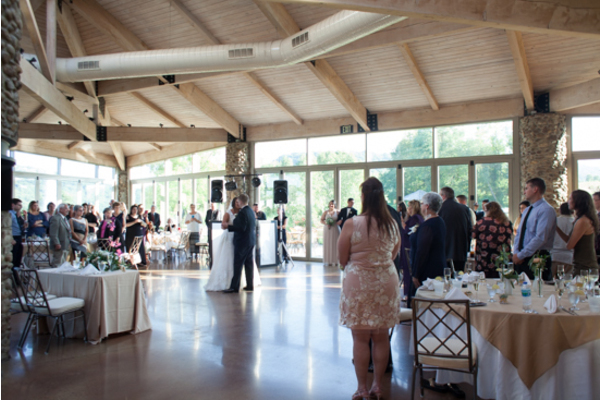 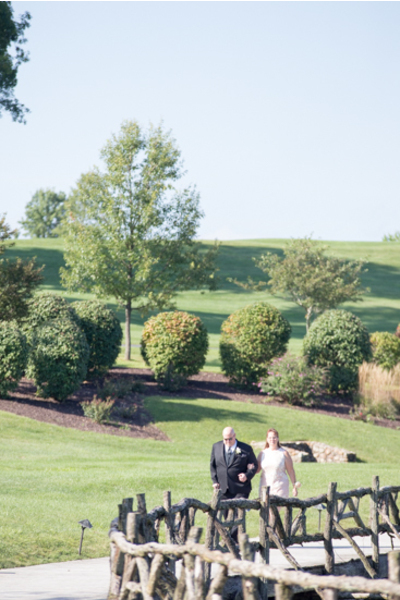 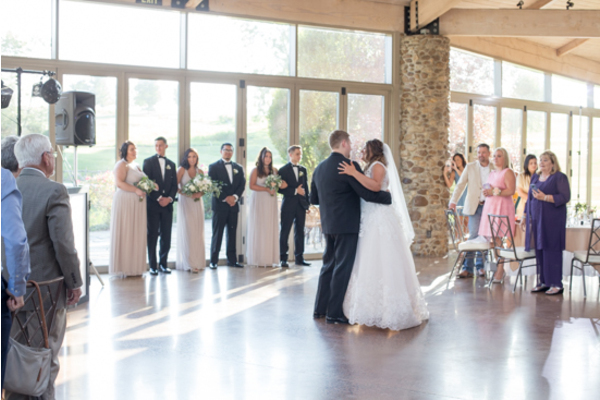 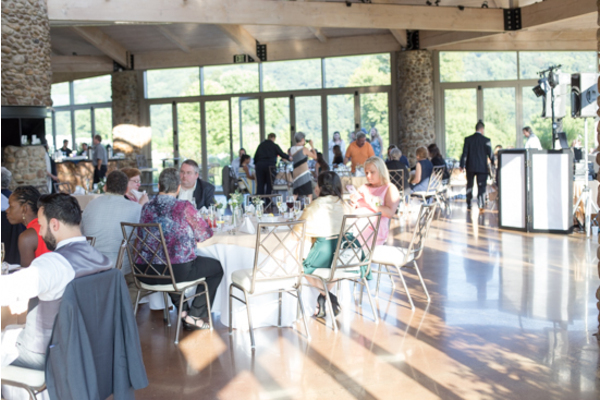 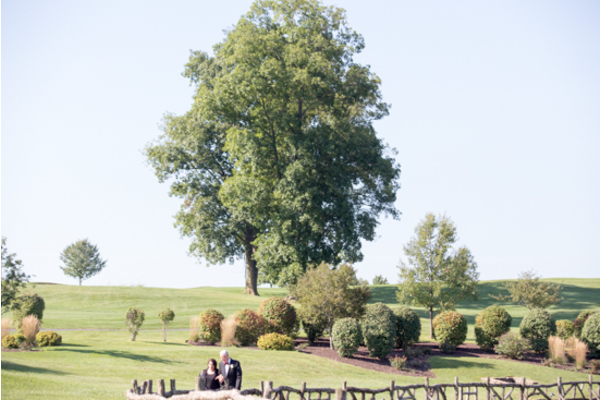 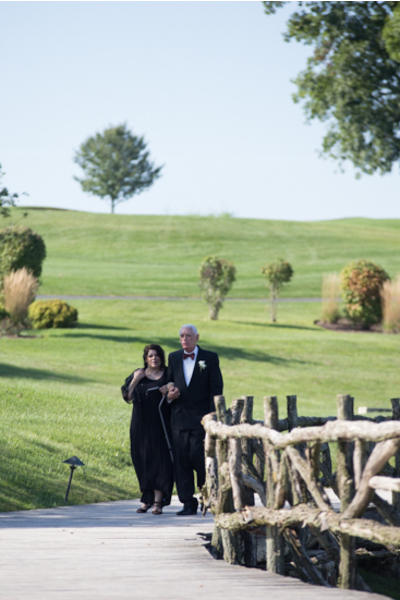 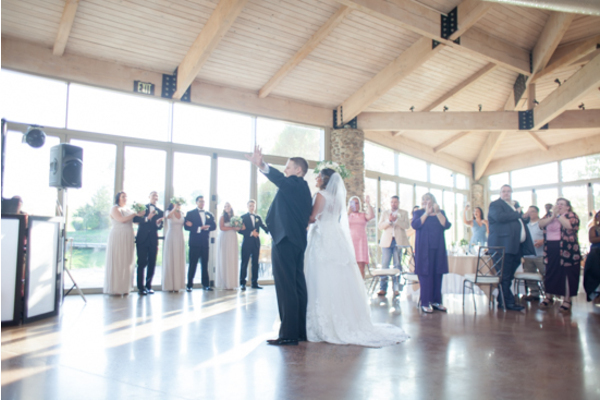 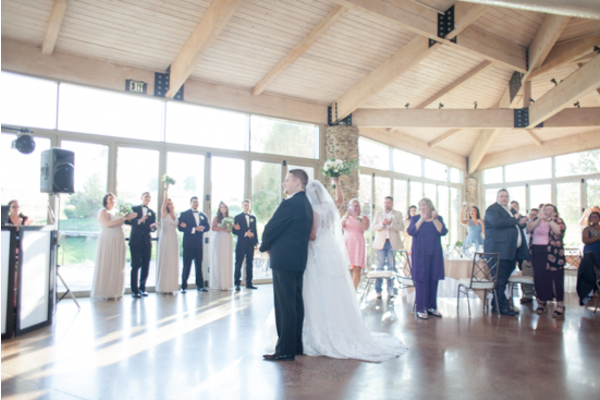 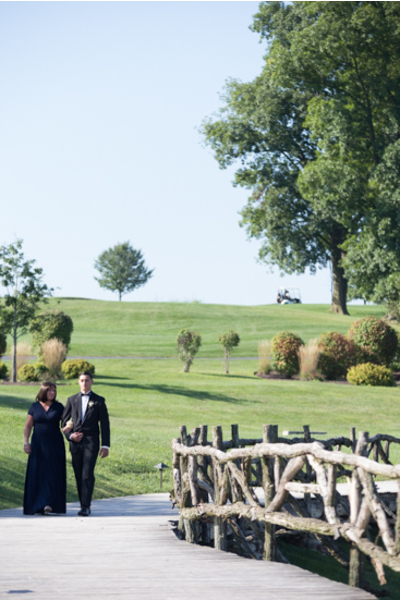 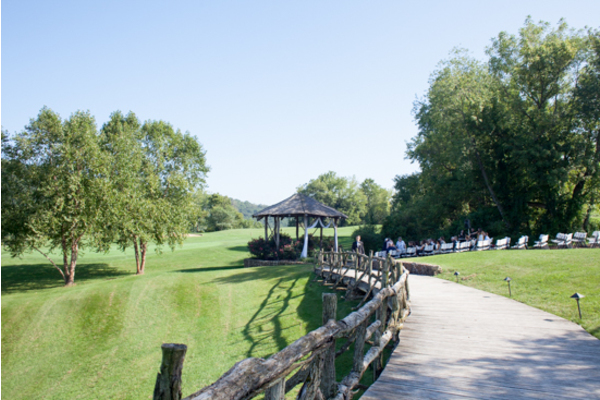 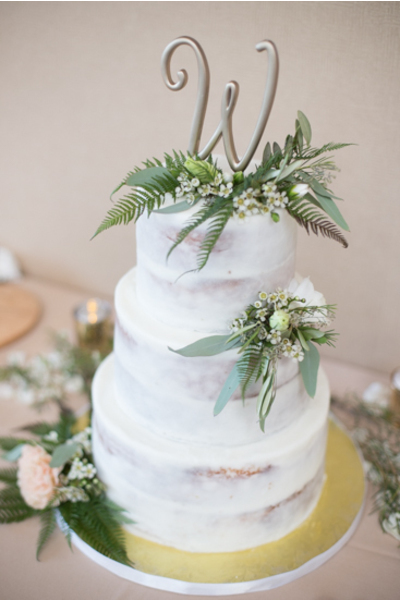 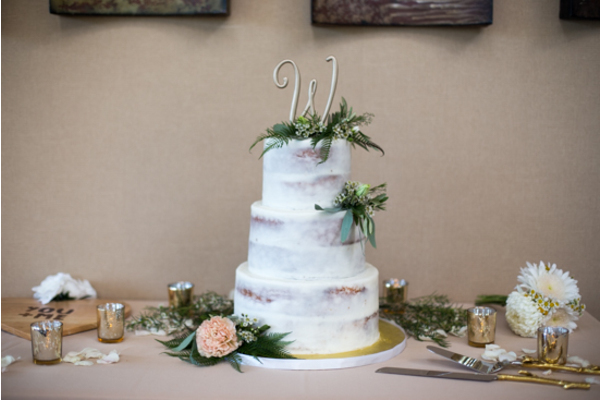 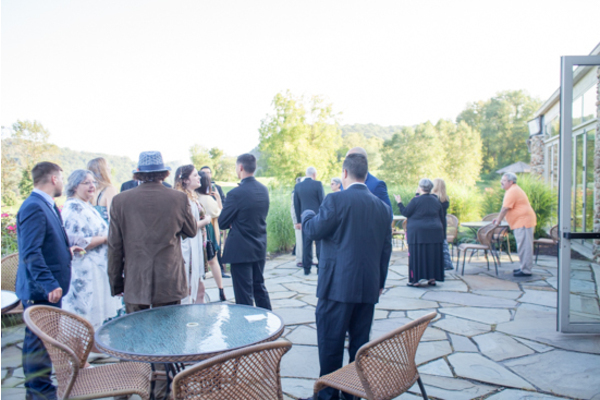 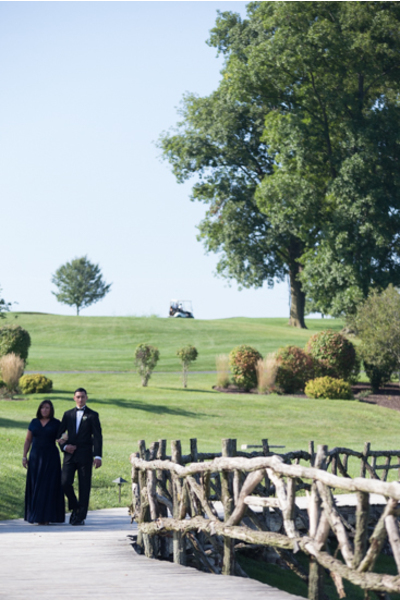 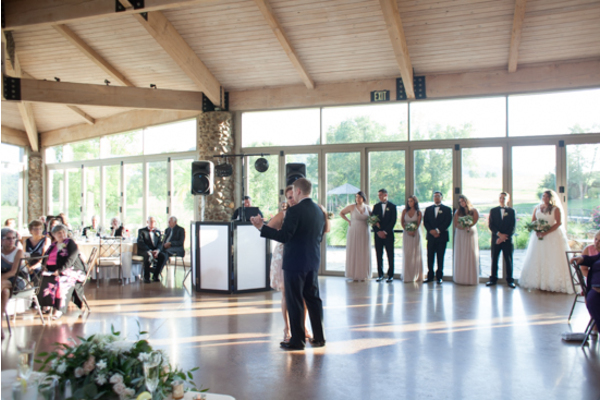 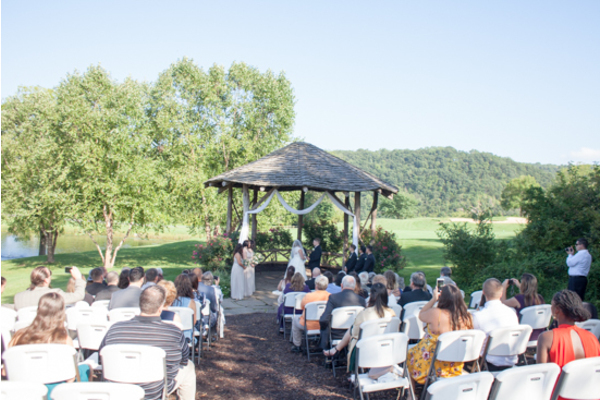 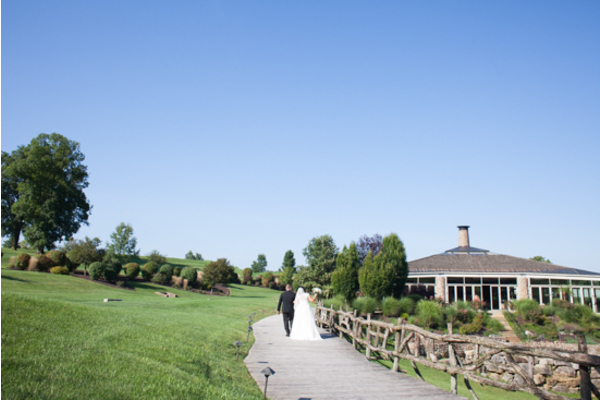 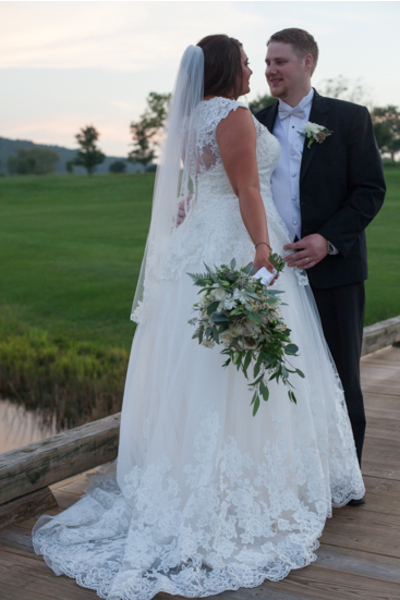 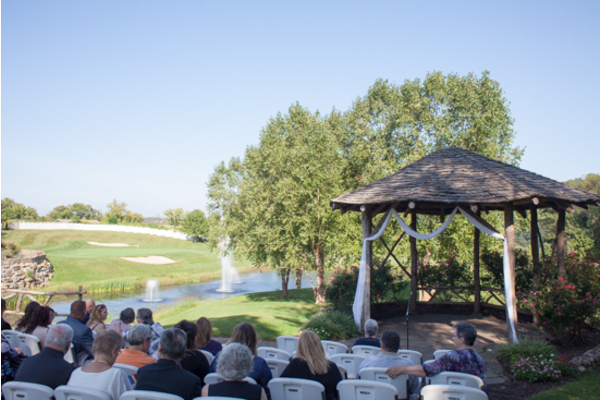 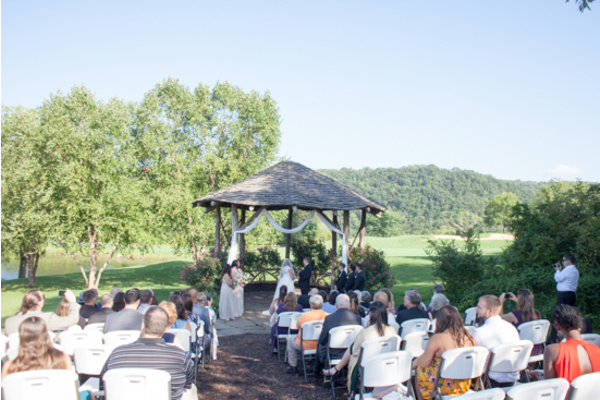 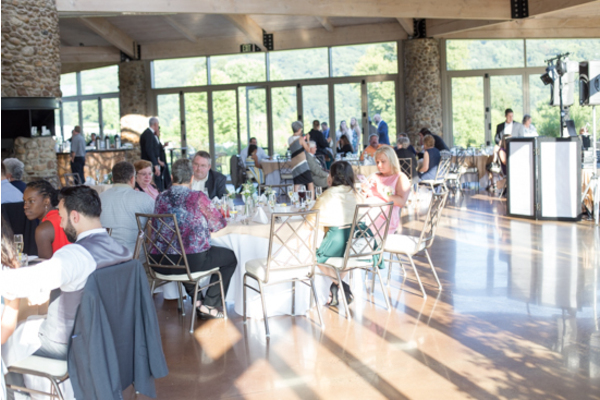 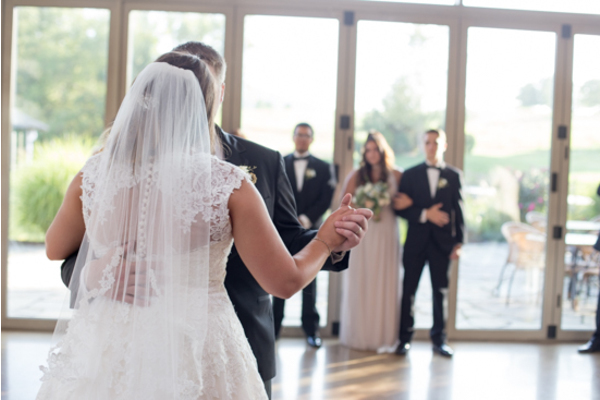 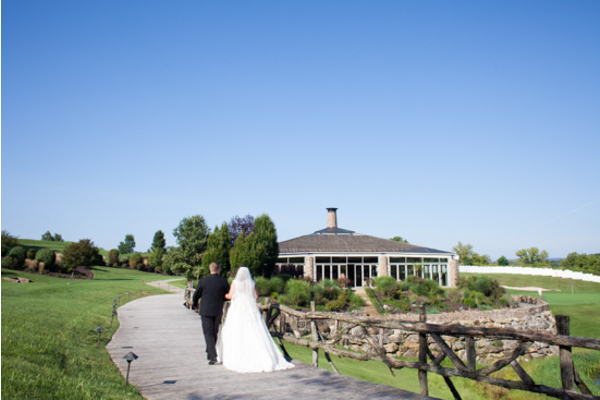 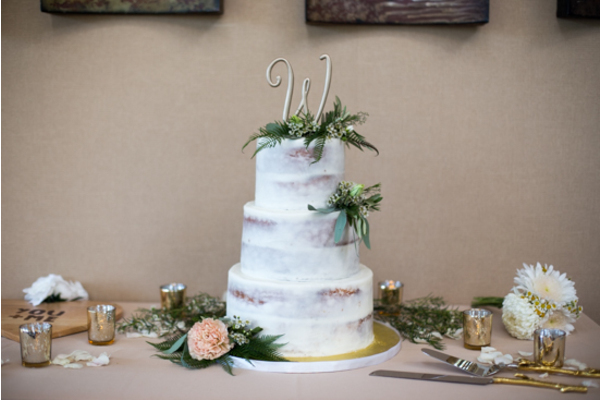 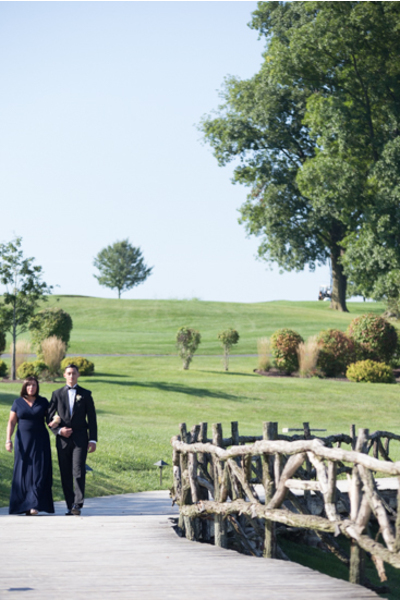 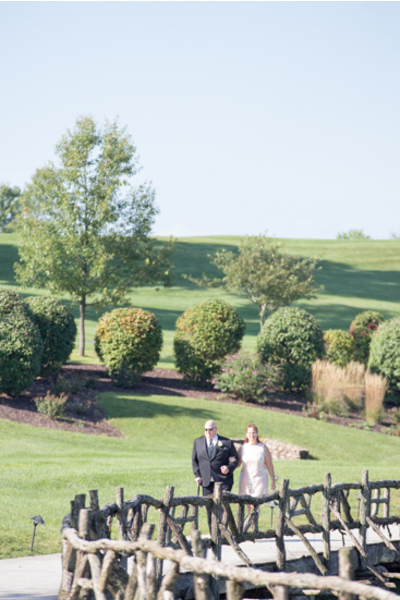 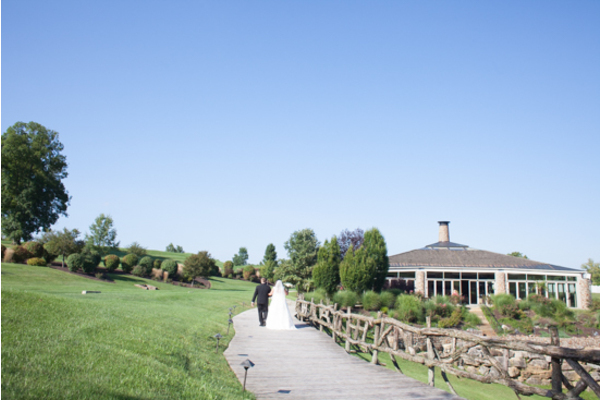 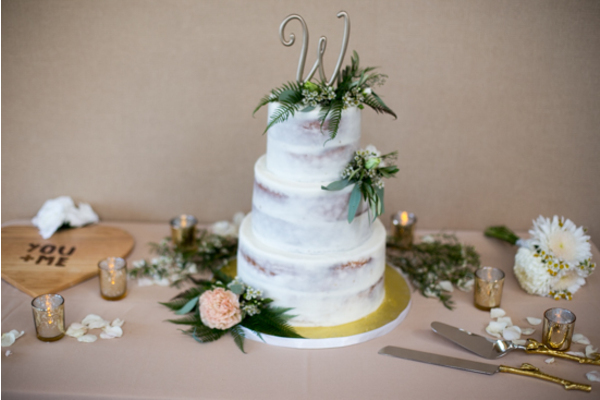 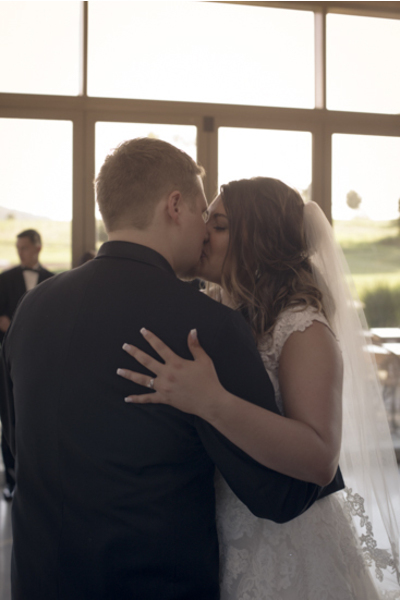 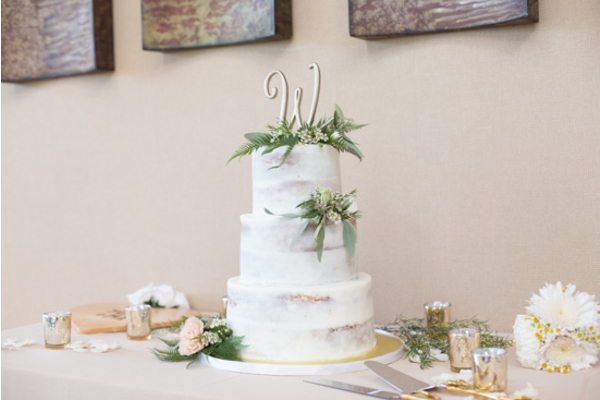 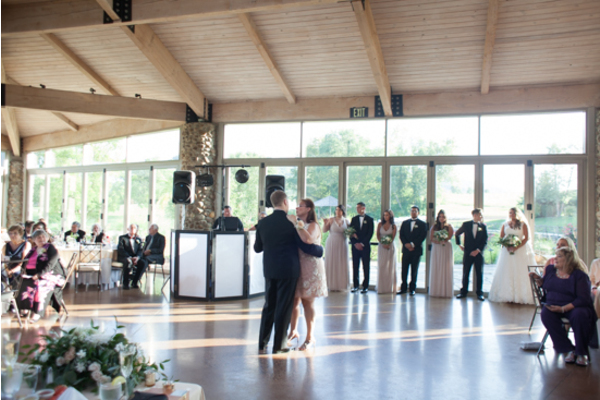 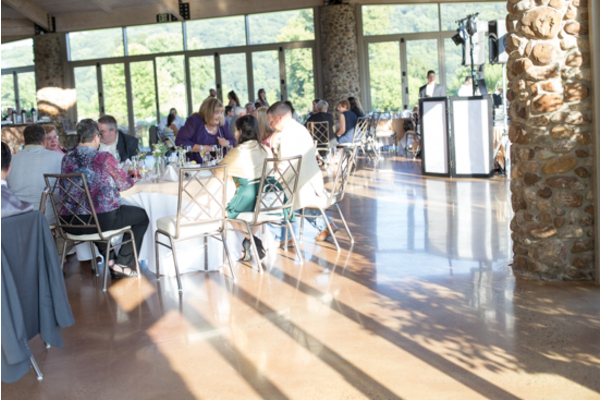 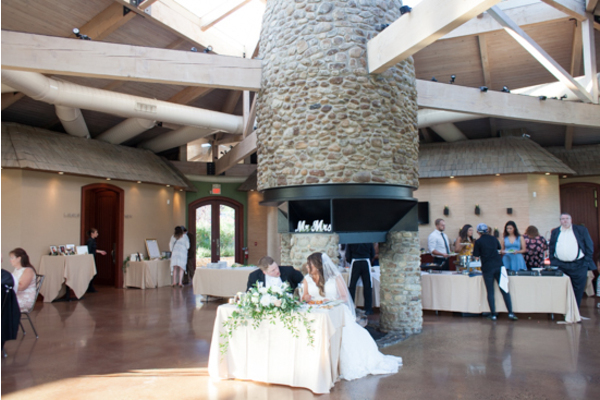 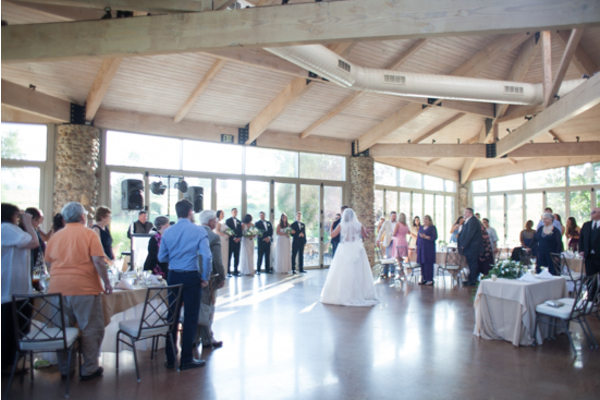 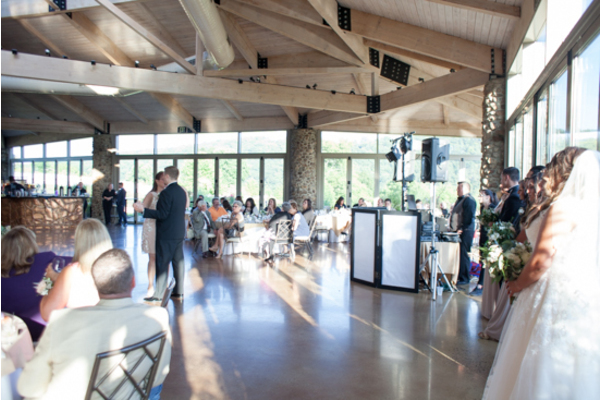 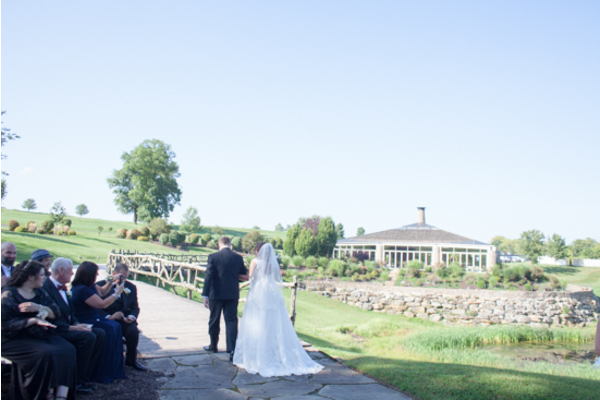 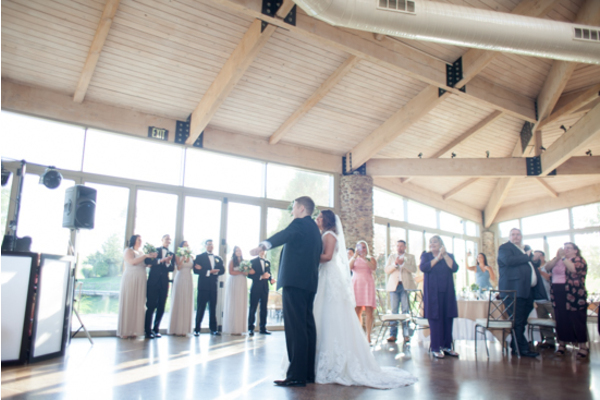 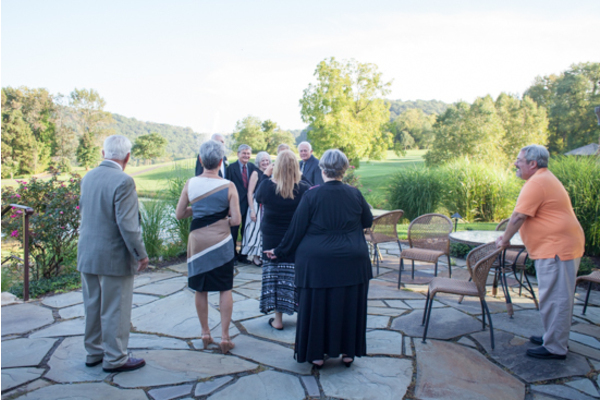 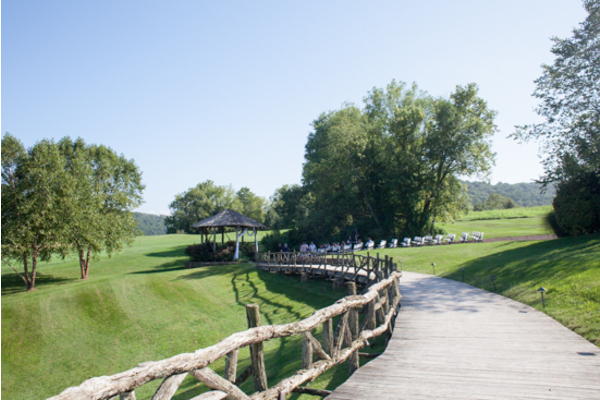 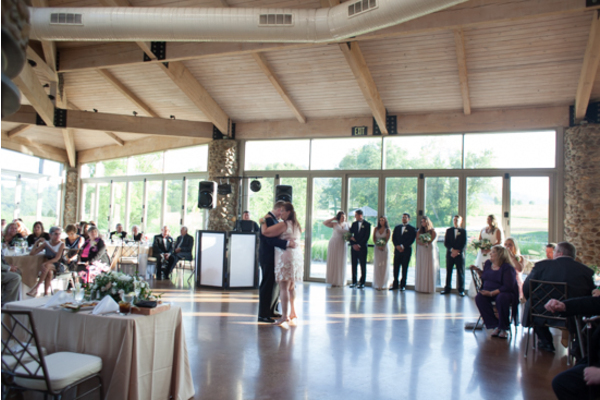 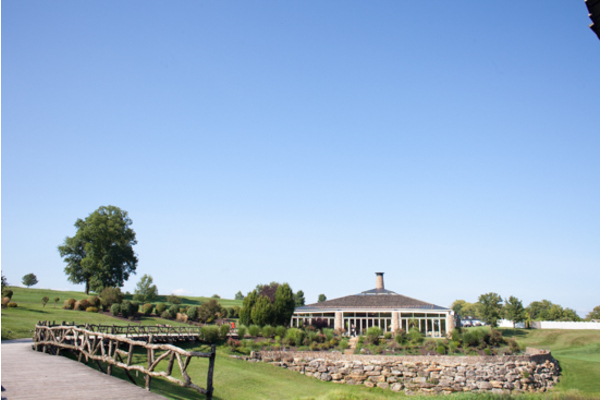 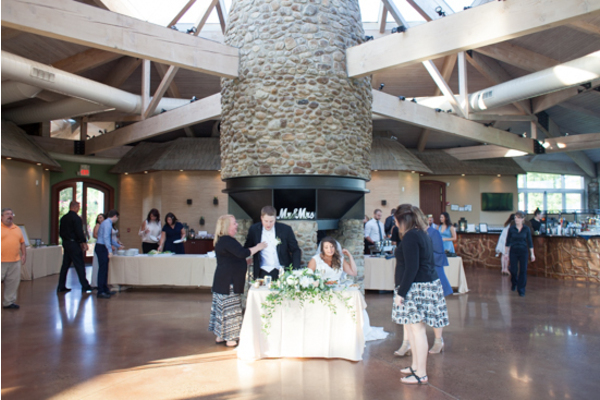 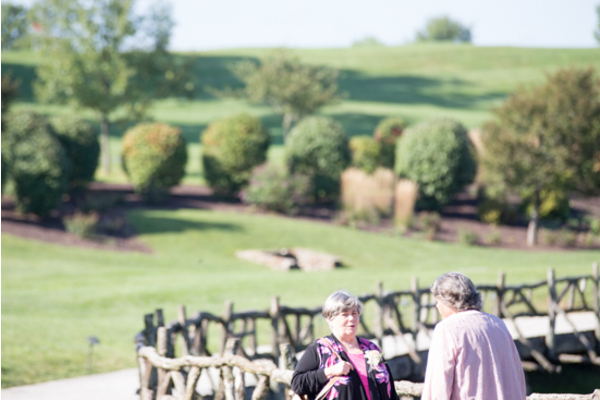 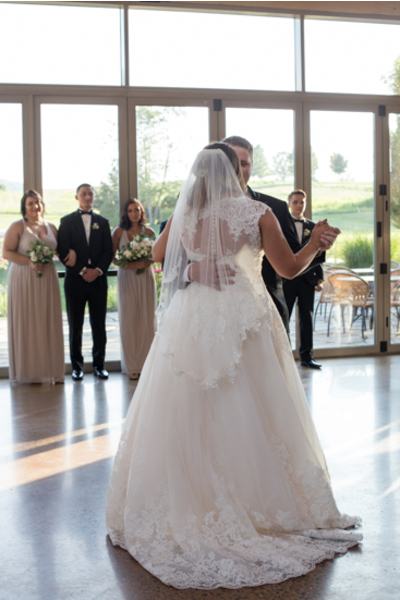 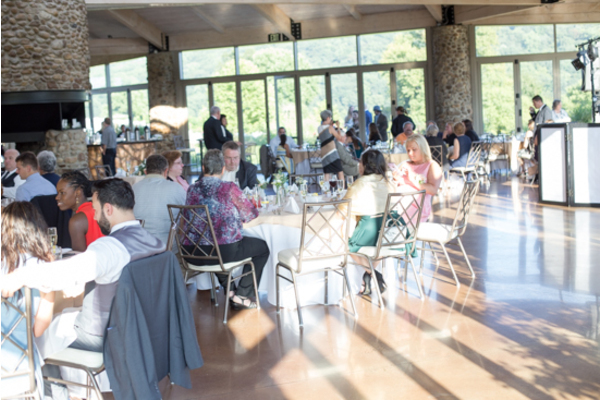 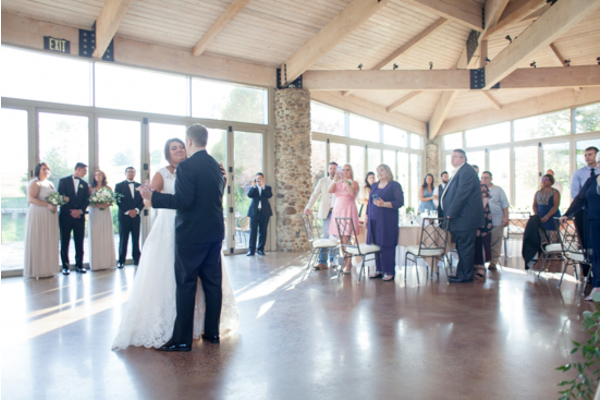 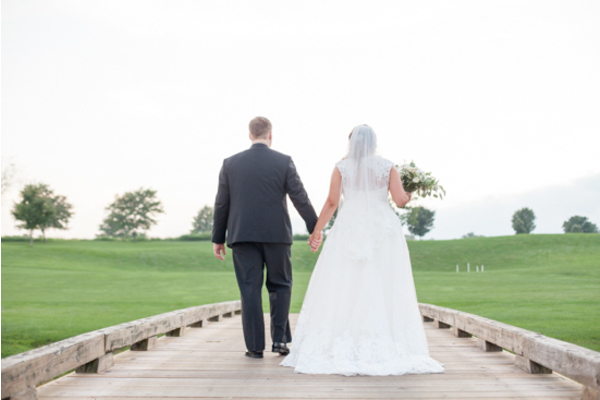 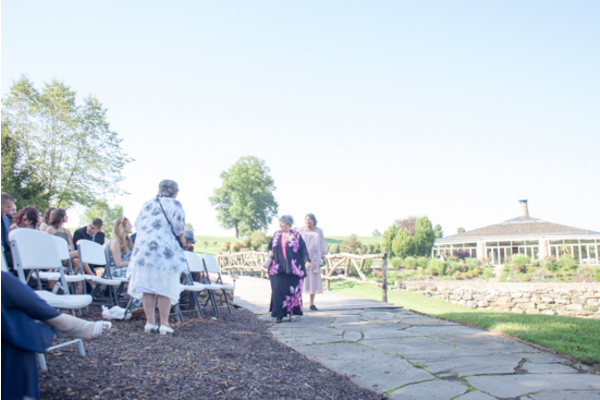 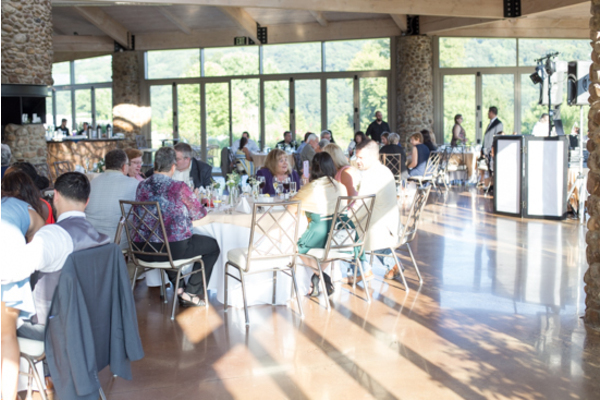 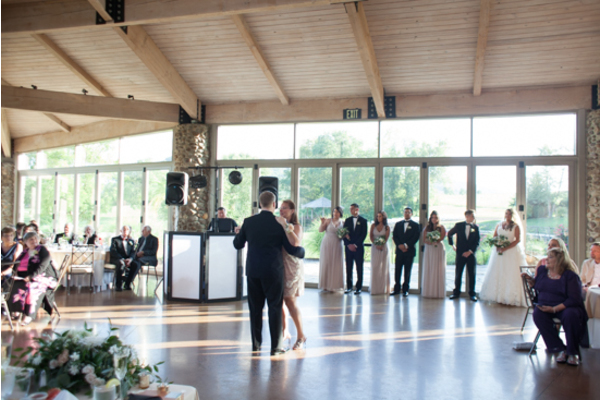 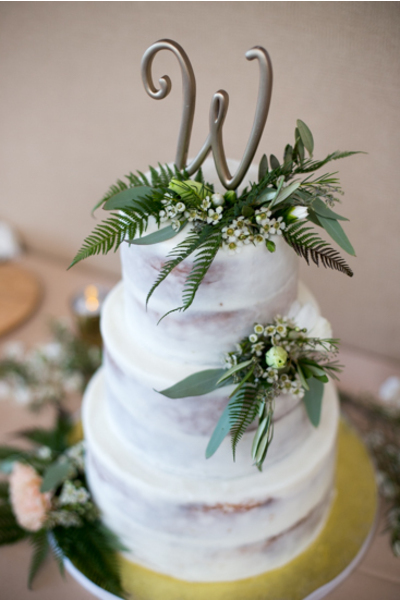 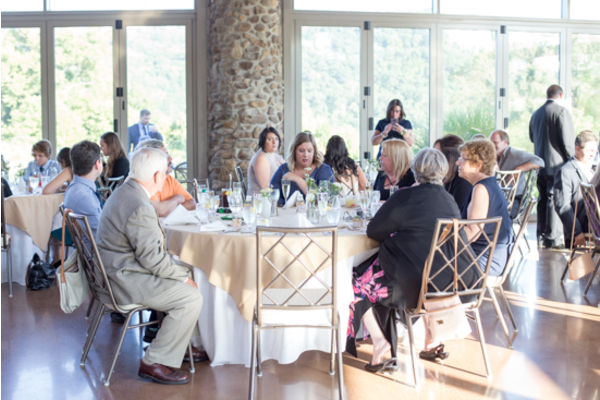 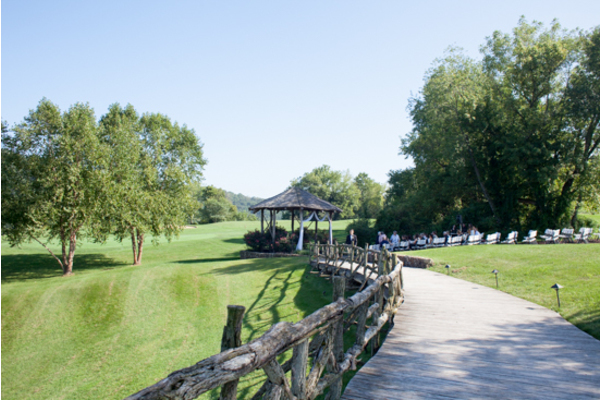 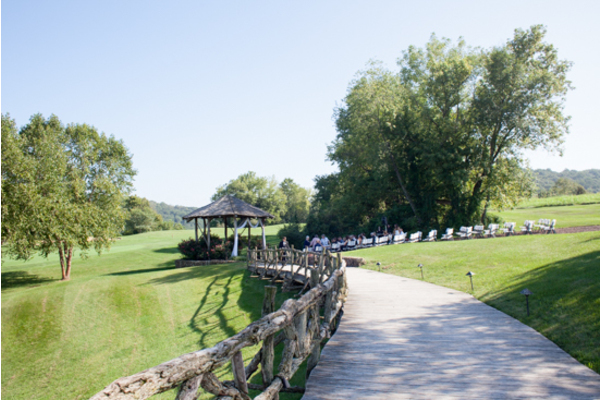 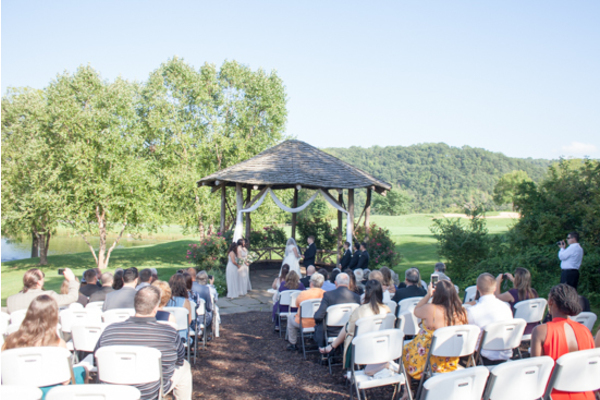 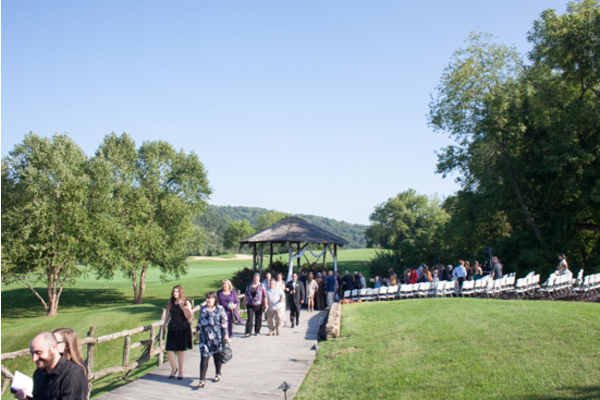 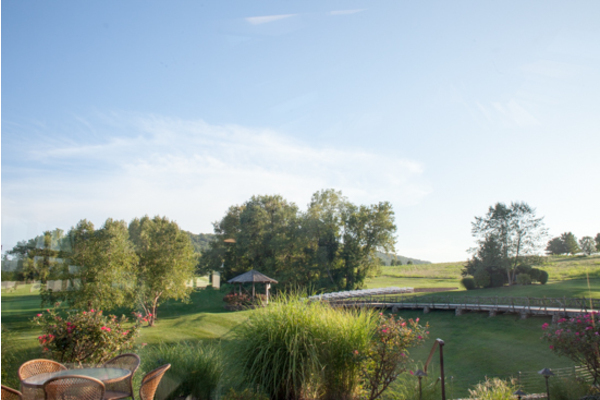 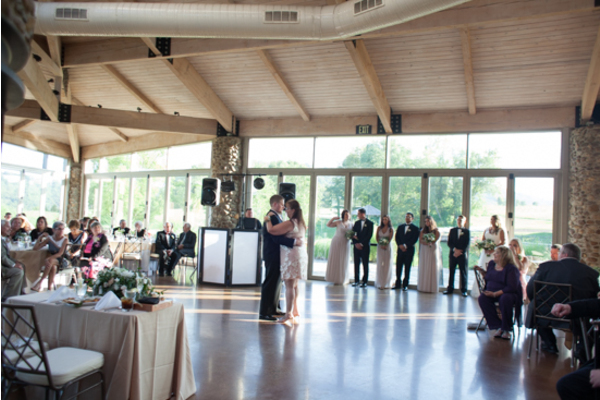 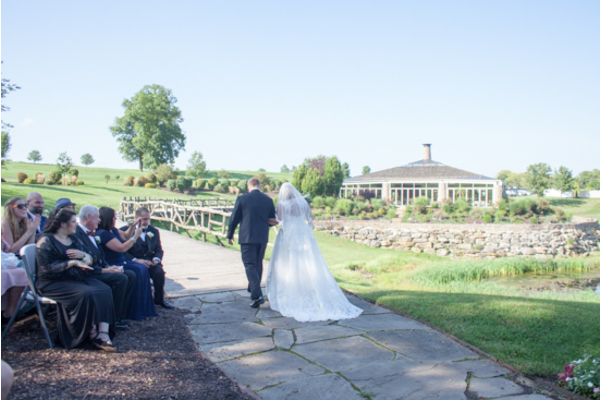 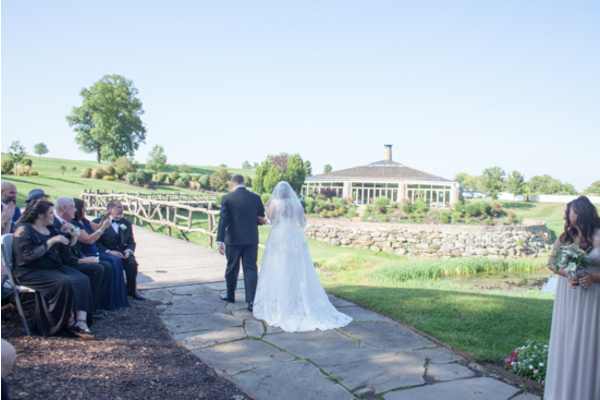 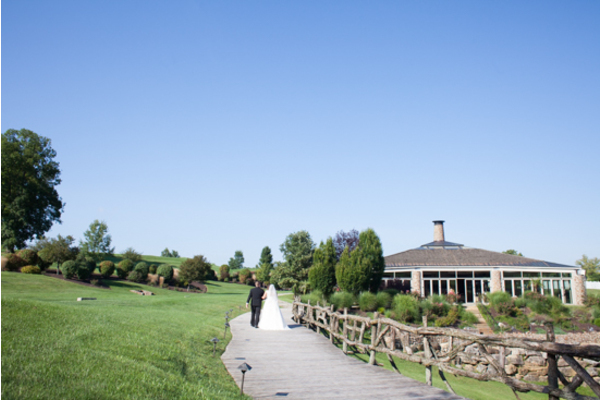 The rolling hills and greenery in the background made for an amazing backdrop for this wedding! 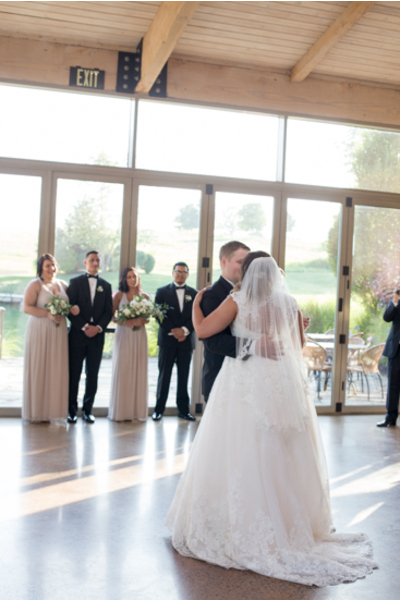 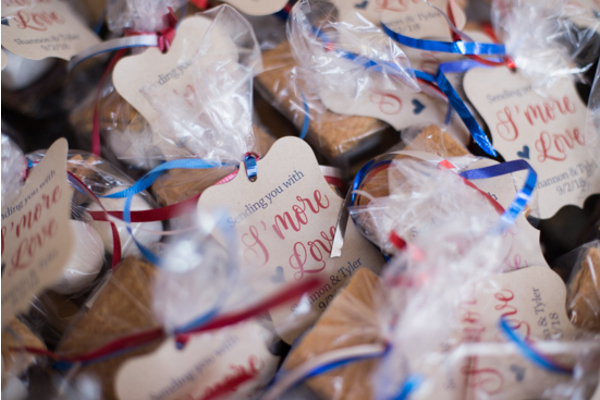 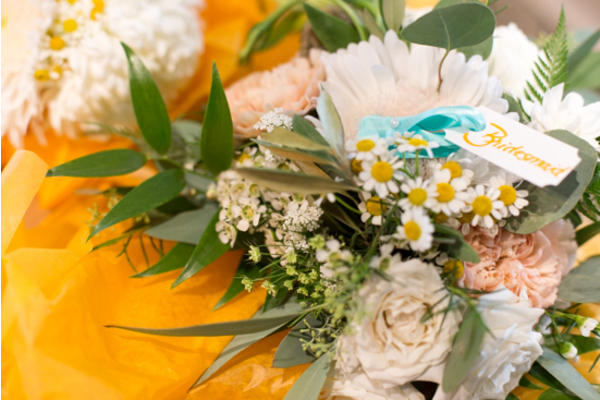 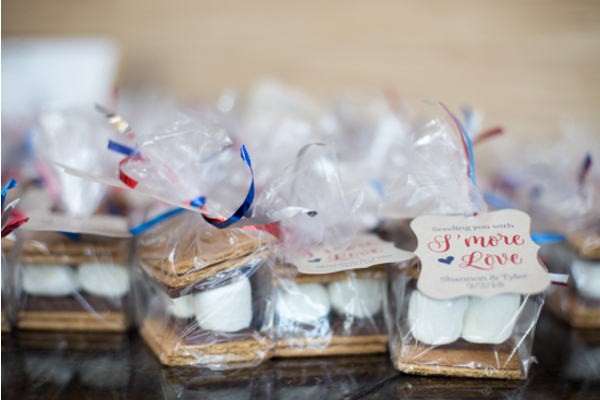 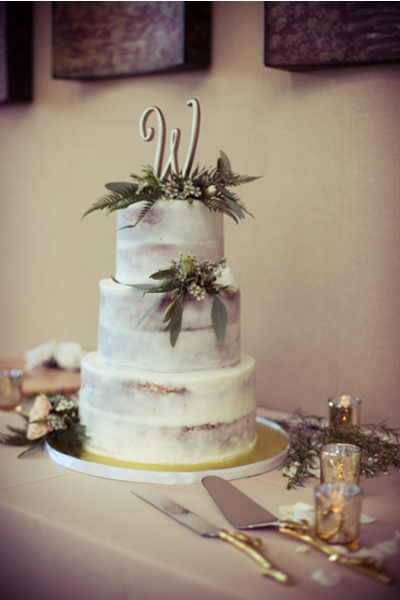 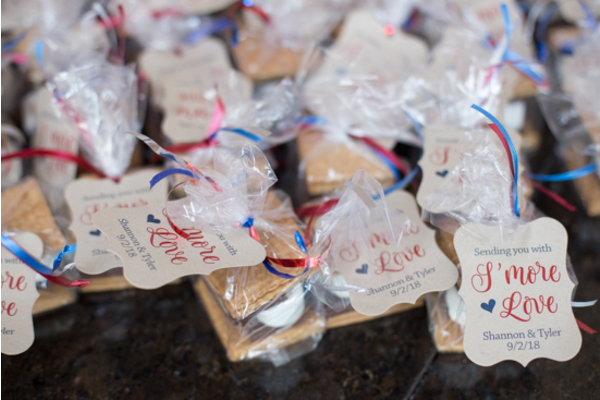 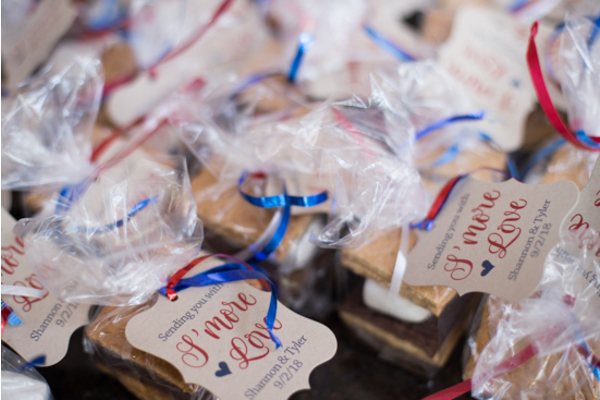 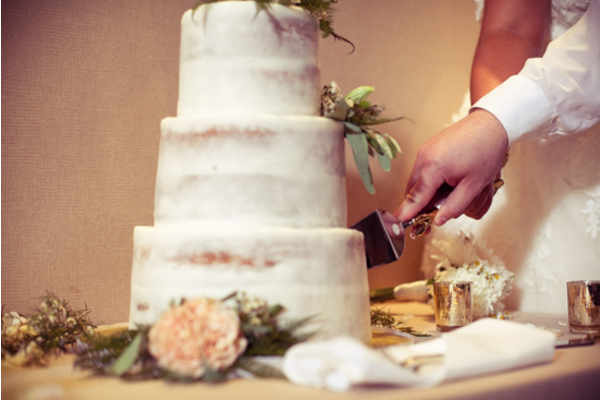 The couple said their “I Do’s” and then it was time to celebrate! 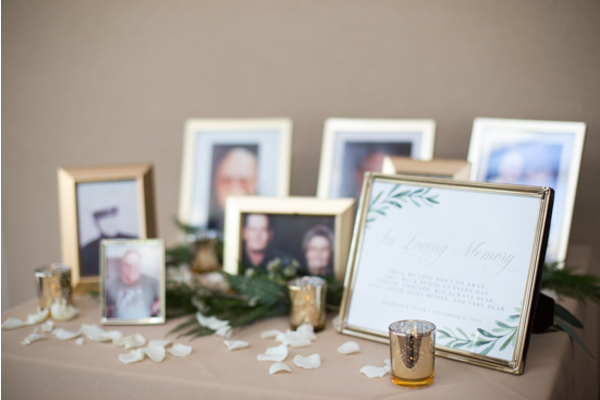 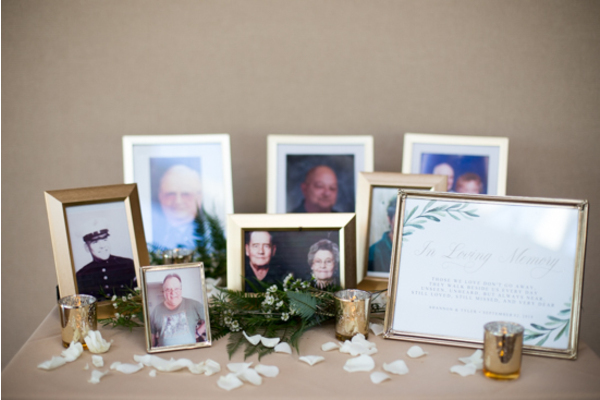 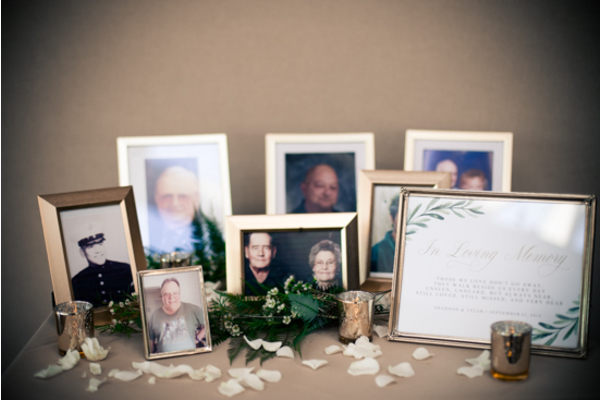 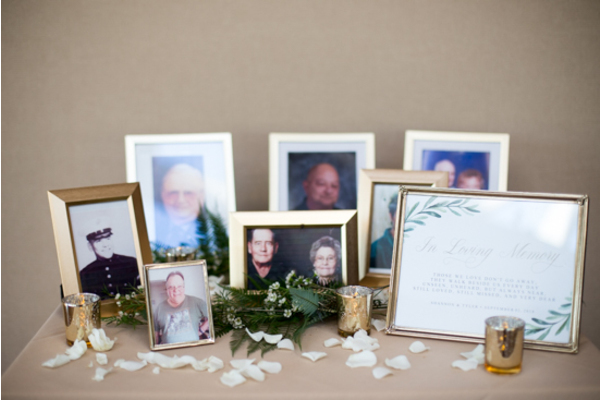 Before the reception, the bride and groom took family portraits outside that came out great and they will have these forever for keepsakes! 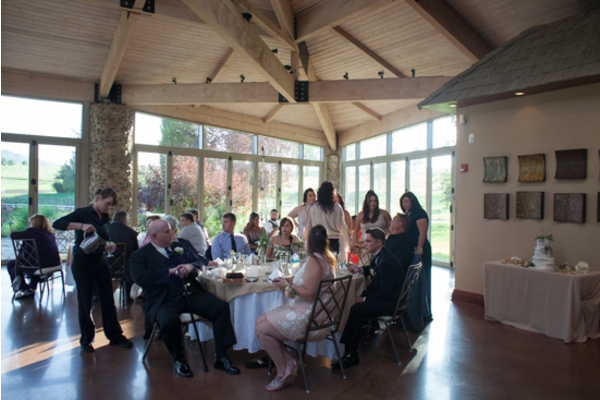 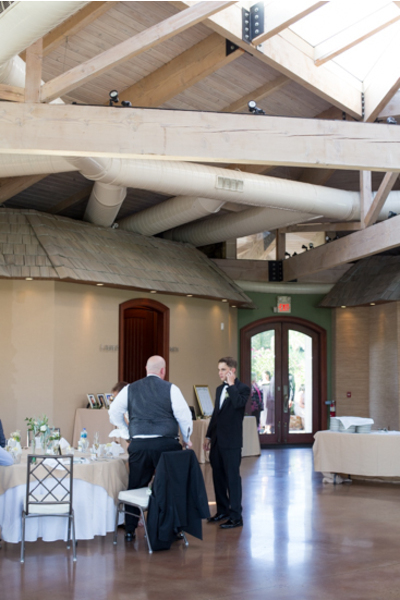 Inside, out PA Wedding DJ announced the bridal party as they entered the room followed by the newly Mr & Mrs. 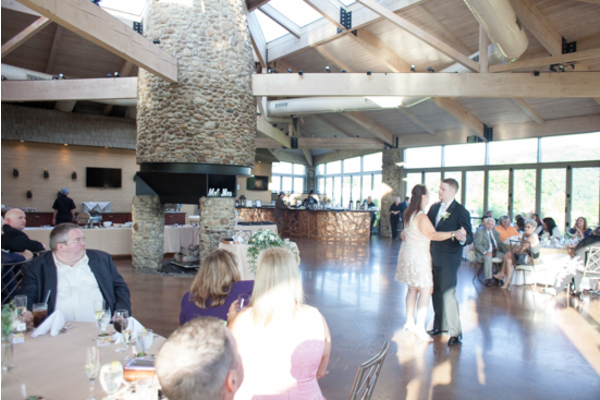 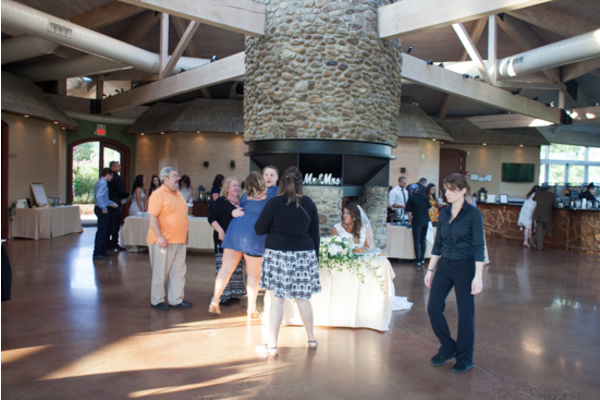 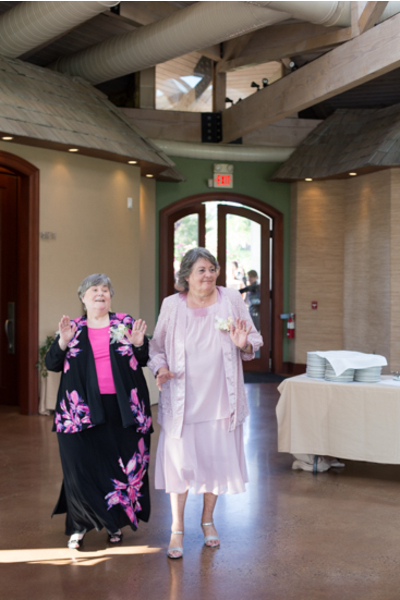 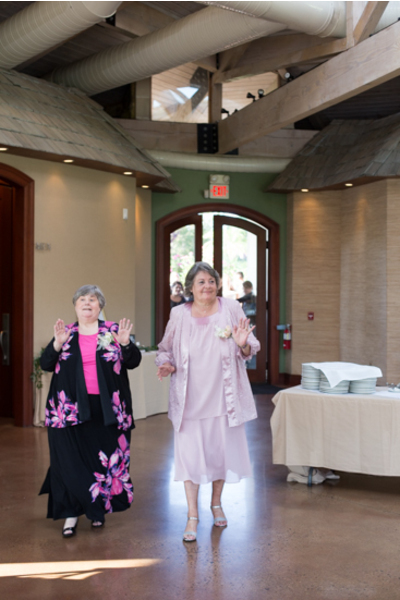 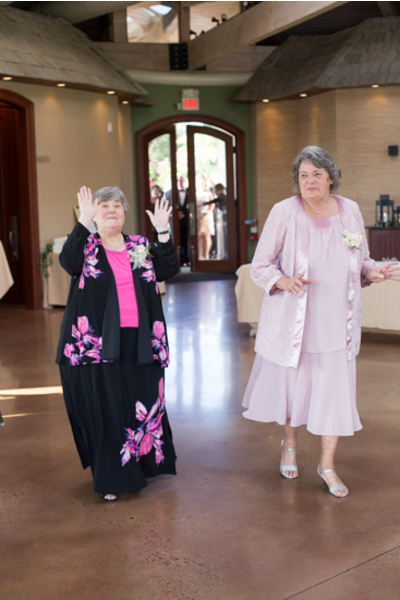 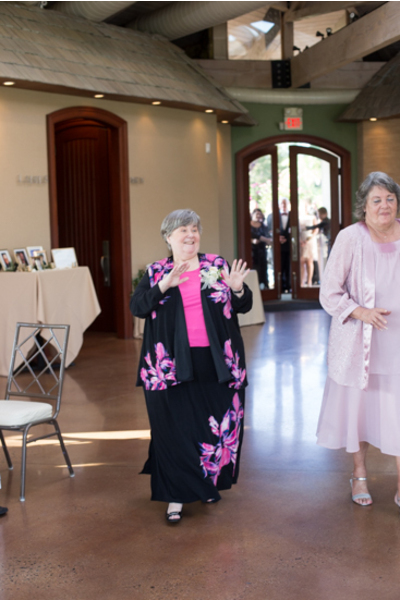 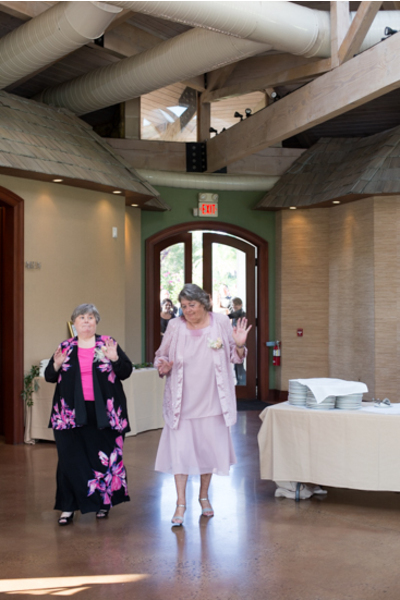 The dance floor was packed all night long and guests had so much fun. 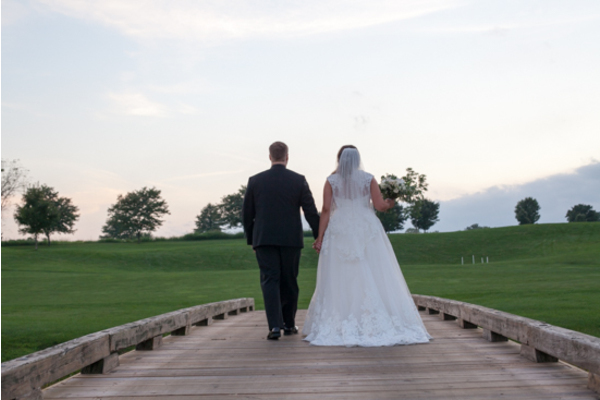 Meanwhile, the bridal party stepped out for a quick sunset photo shoot! 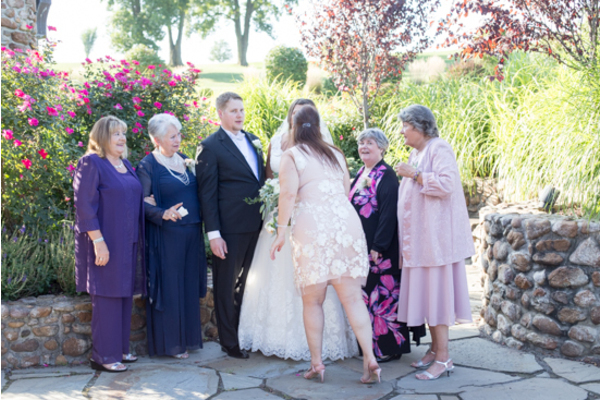 When everyone was back inside it was time for cake cutting. 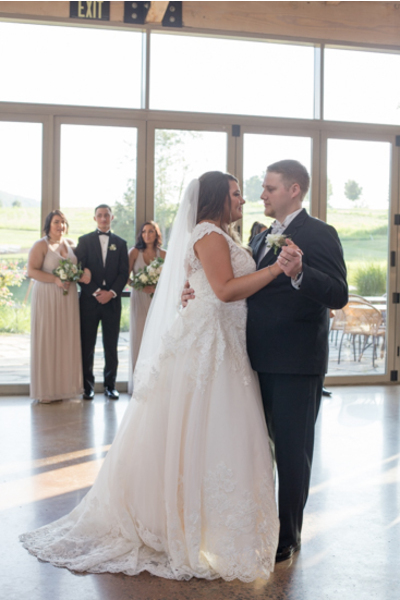 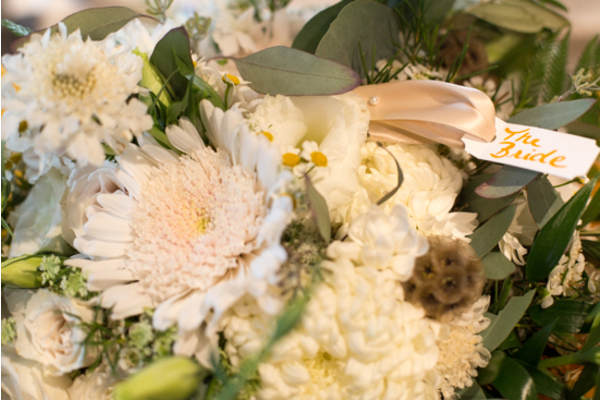 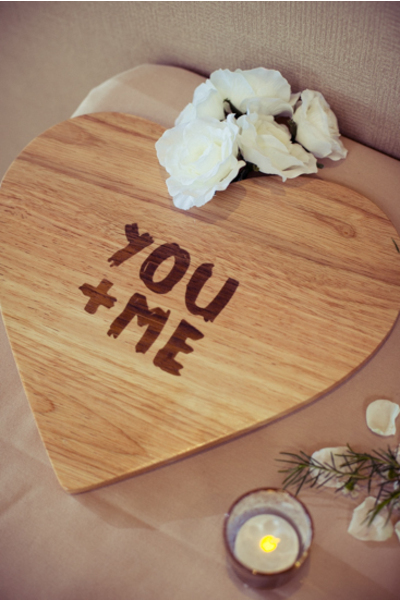 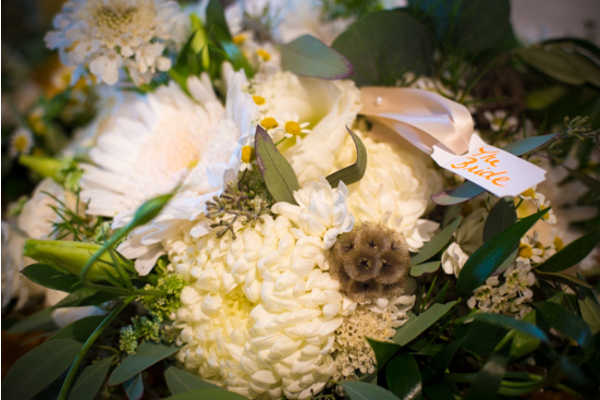 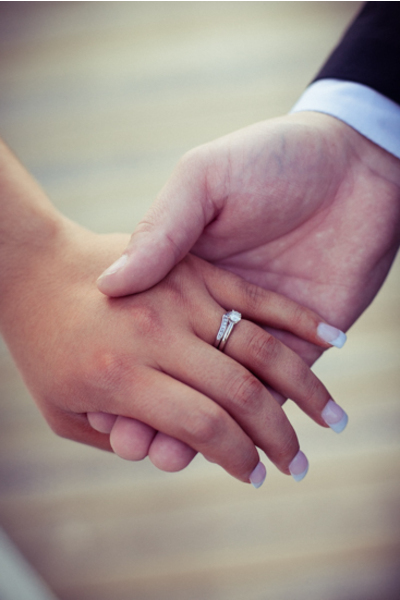 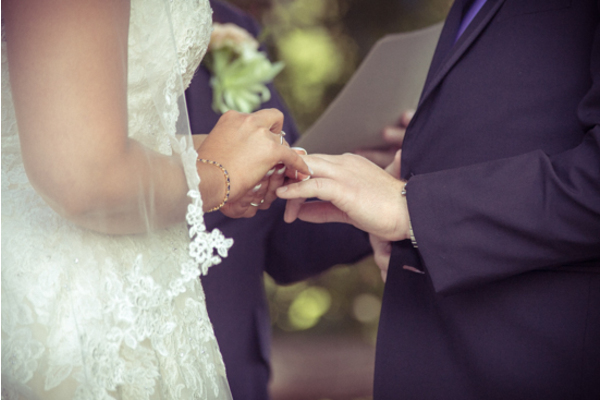 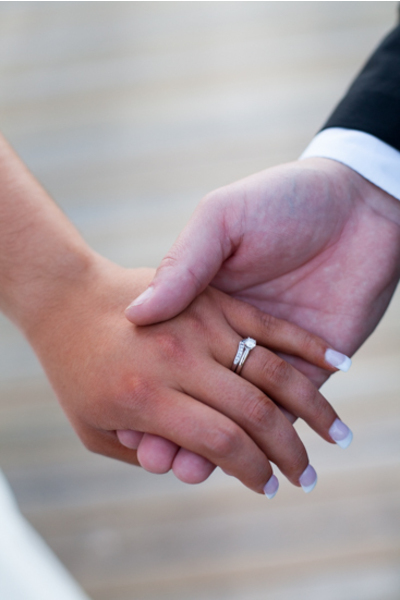 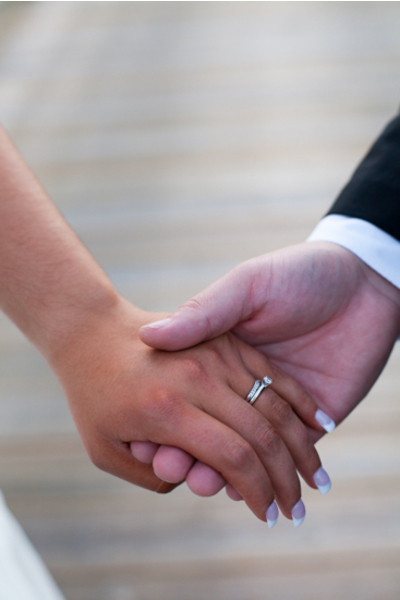 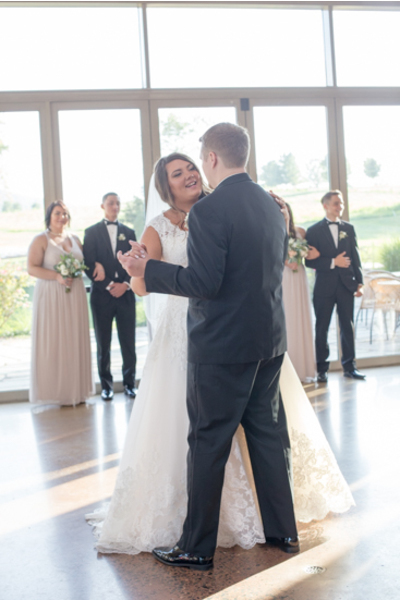 Congratulations, again, to Shannon and Tyler, we wish you both love and happiness as your new journey begins together!